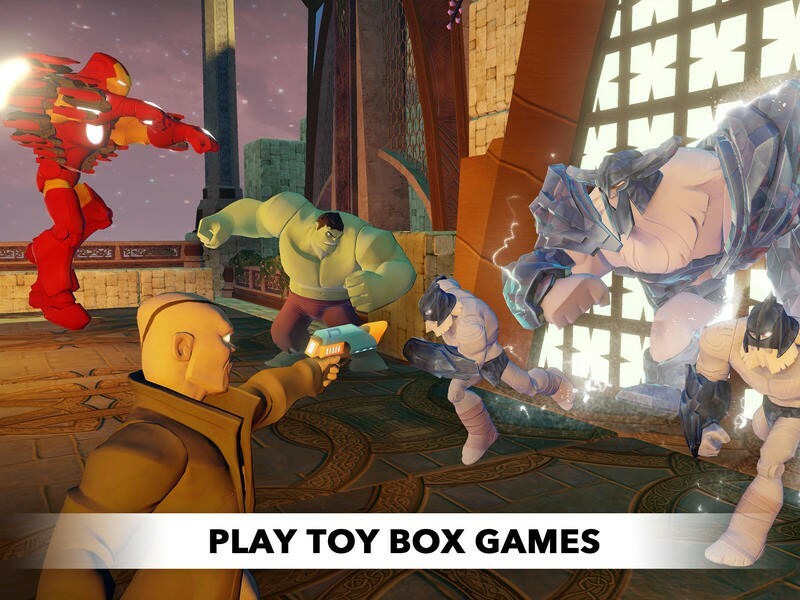 Disney released Disney Infinity: Toy Box 2.0 free for download on Thursday for the iPad and iPhone. 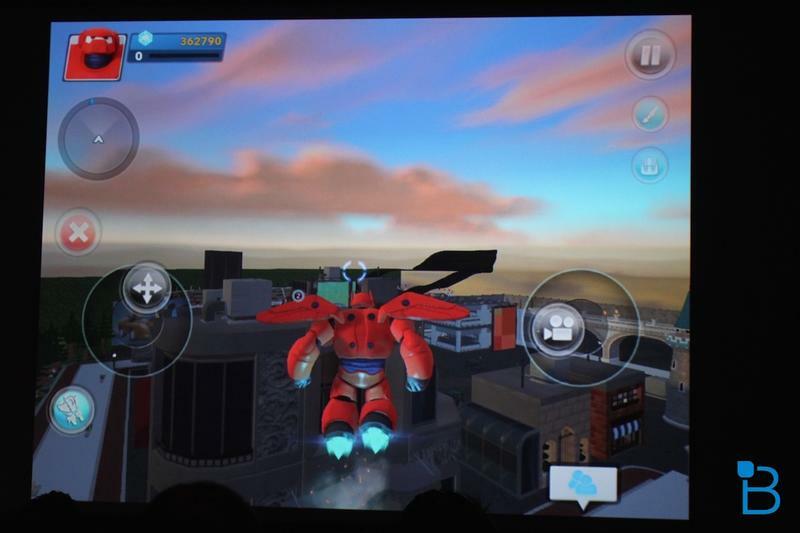 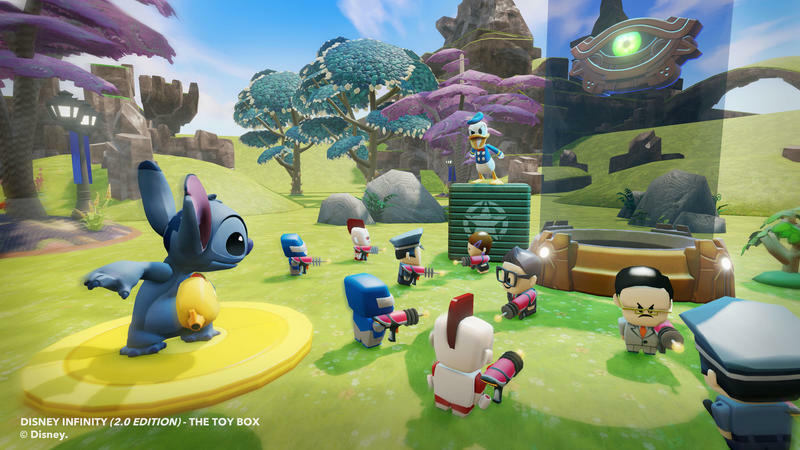 The app brings the Toy Box 2.0 features found in Disney Infinity to mobile devices, including new multiplayer functionality. 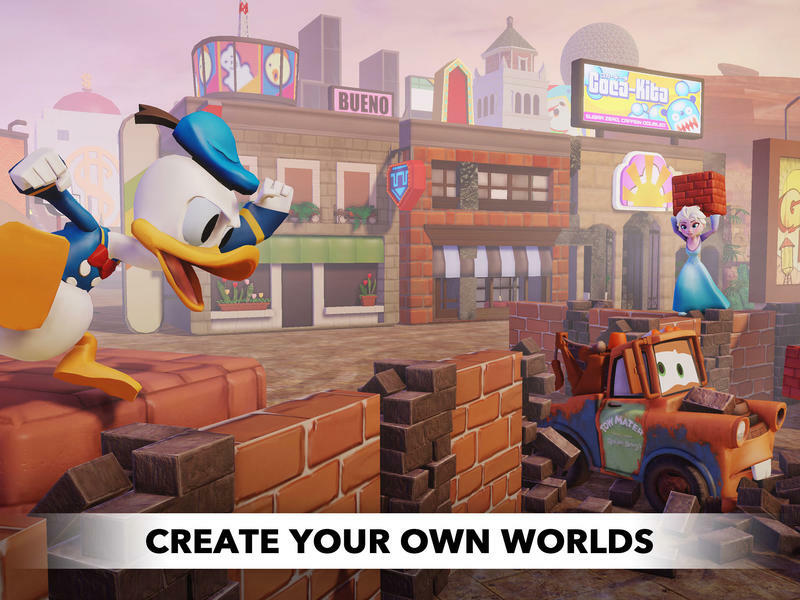 The game is built on iOS 8’s Metal graphics engine, which allows for greater functionality and richer experience than on past mobile apps for Disney Infinity, though it will vary on what iOS device you are running. 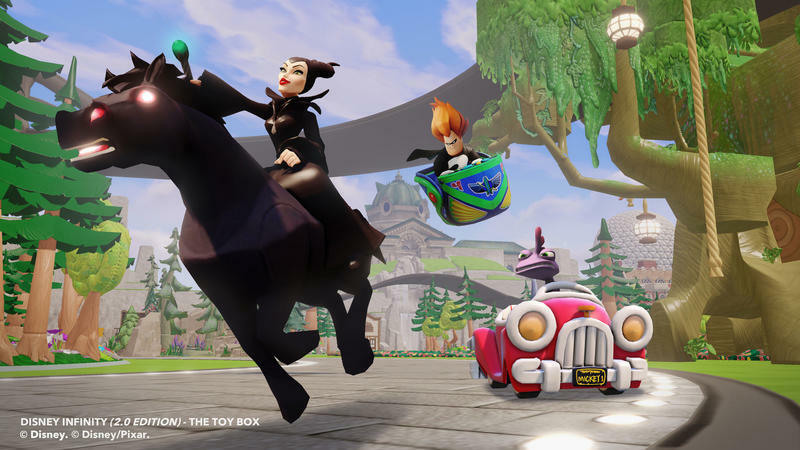 Toy Box 2.0 now will allow users to edit toy box worlds more easily (with more robust tools) that can be played and explored on your PC, console, or mobile devices, including being able to build these virtual worlds alongside your friends. 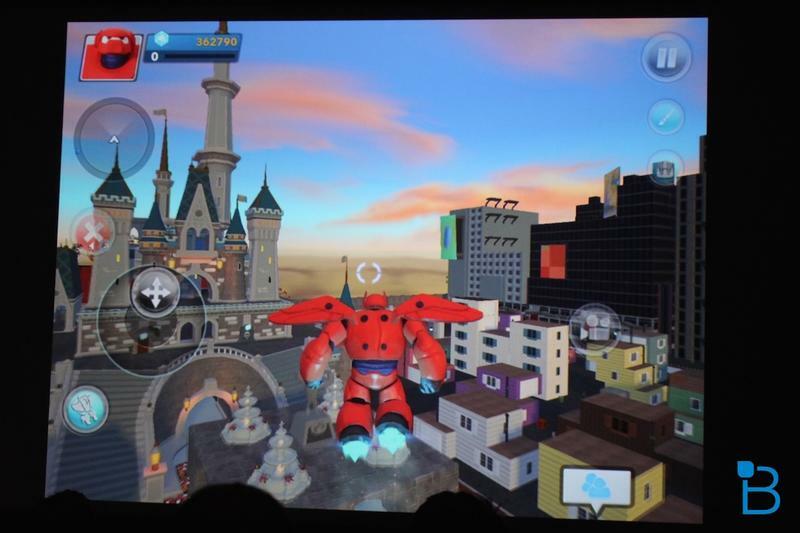 You can even play Toy Box games on mobile devices! 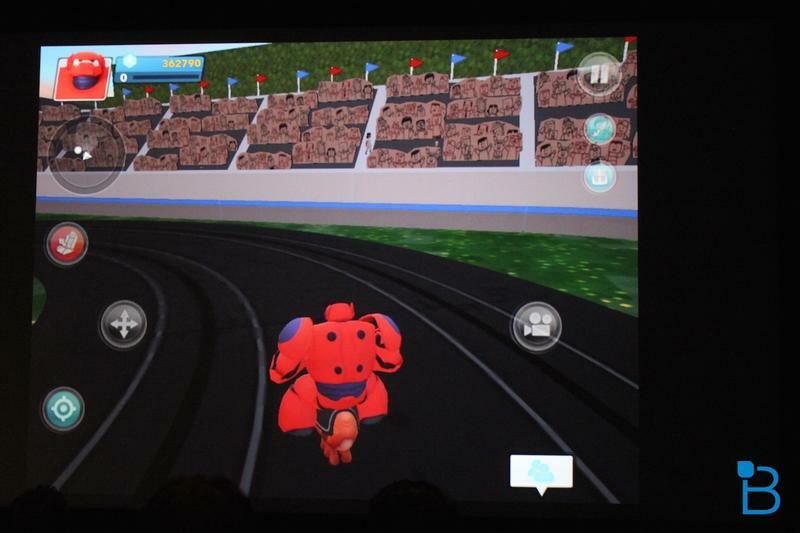 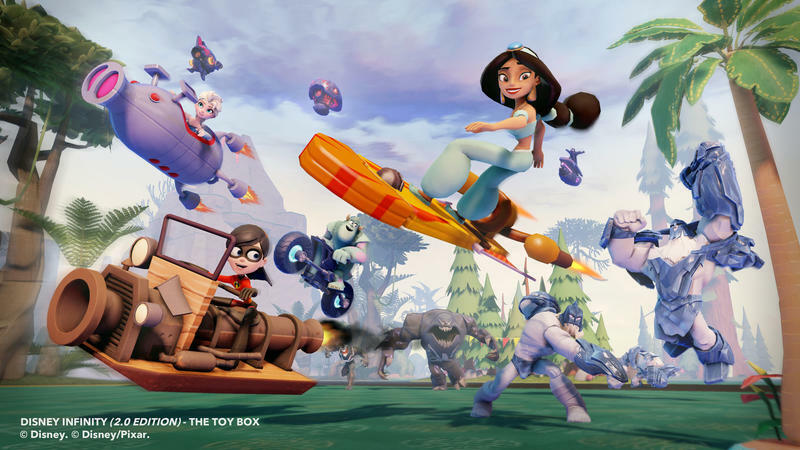 We briefly demoed Toy Box 2.0 last year at Disney’s Mobile Showcase and it looked and performed better than its OpenGL version. 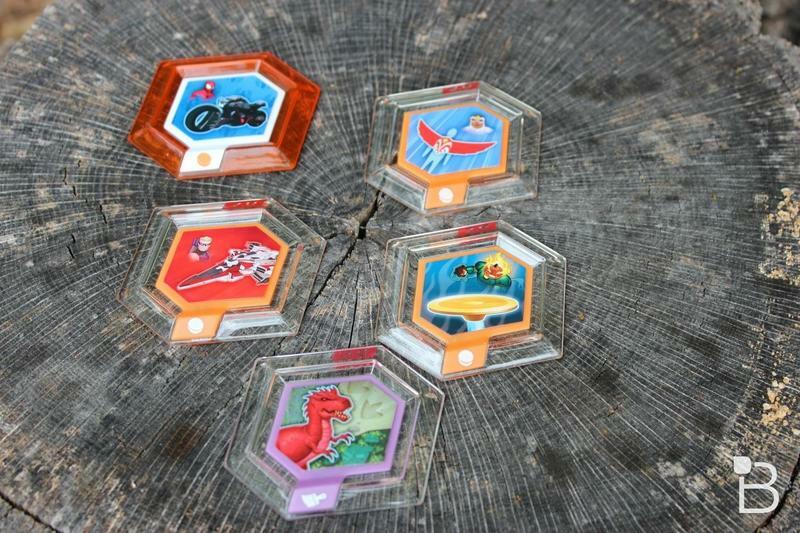 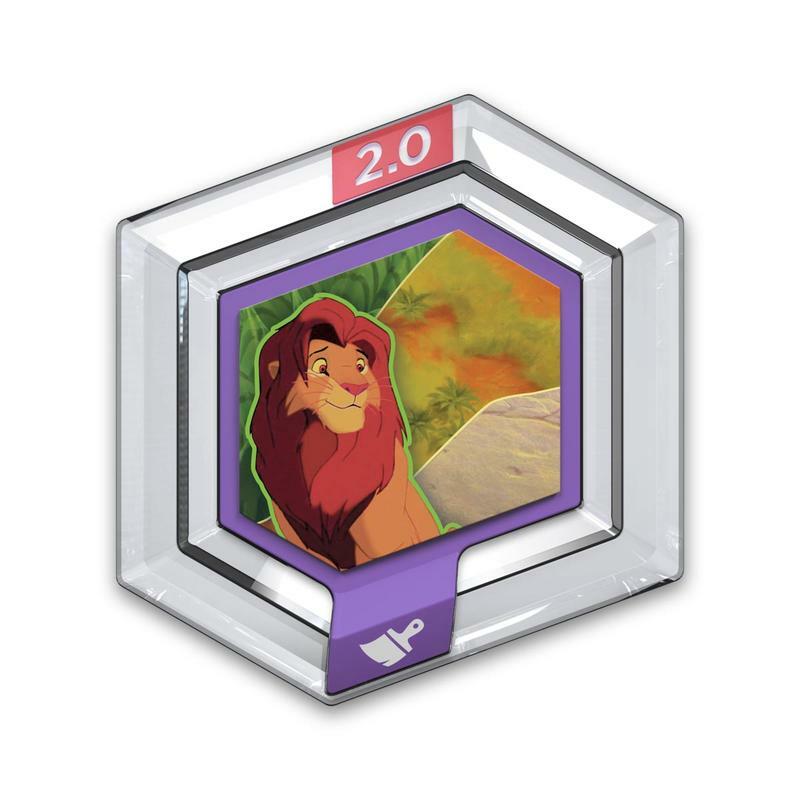 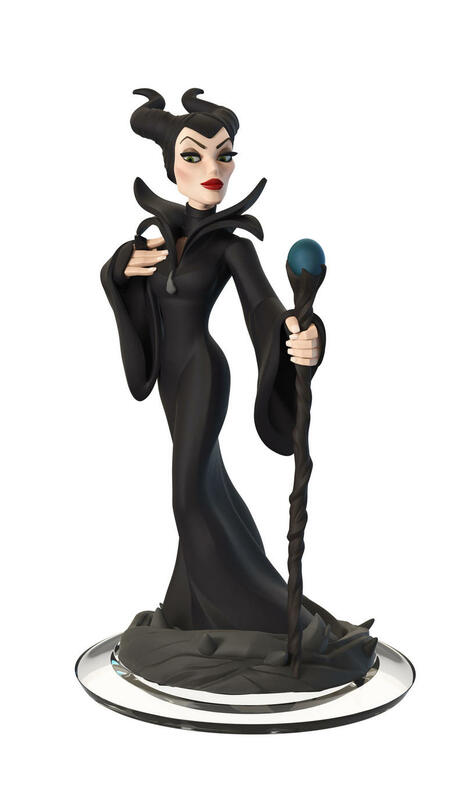 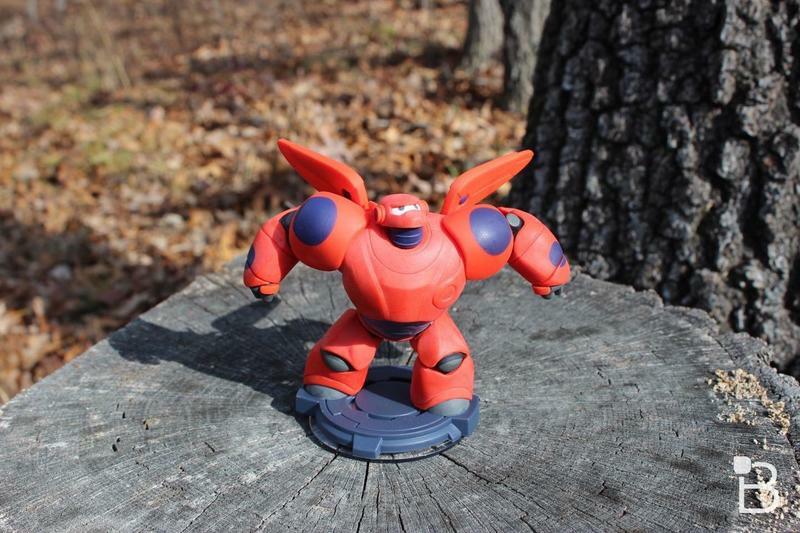 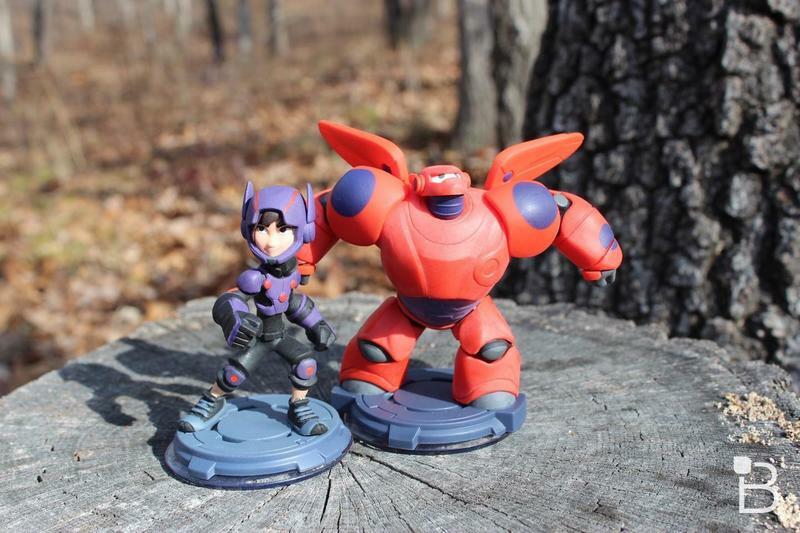 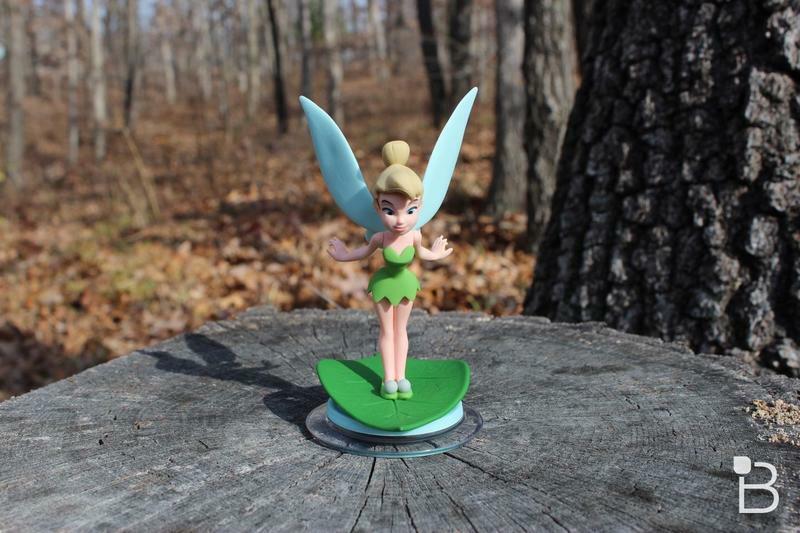 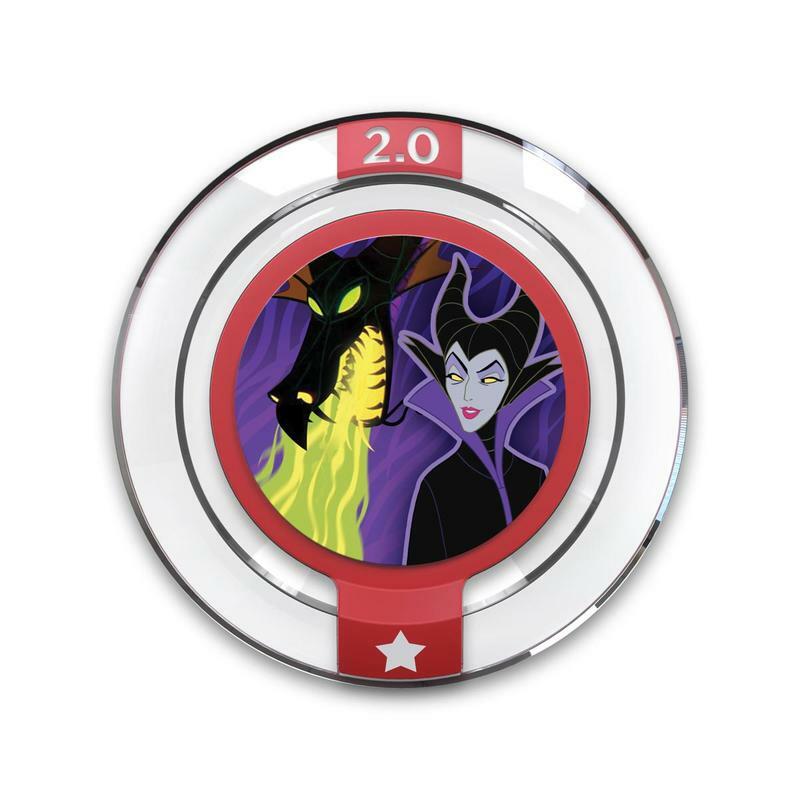 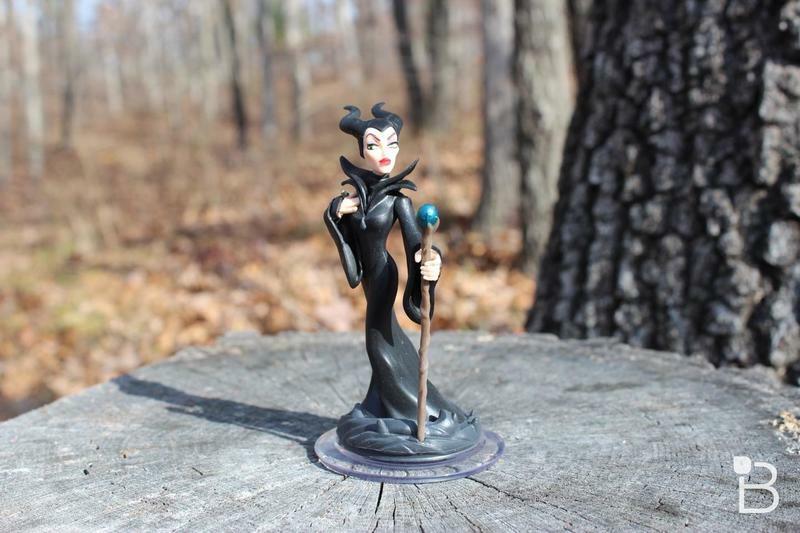 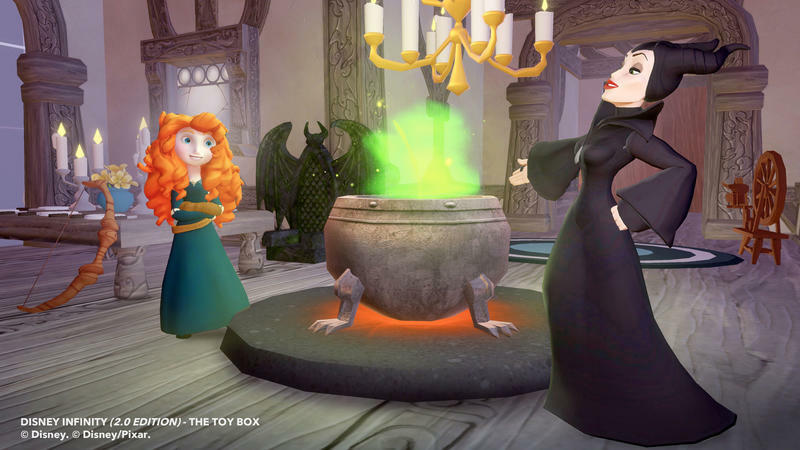 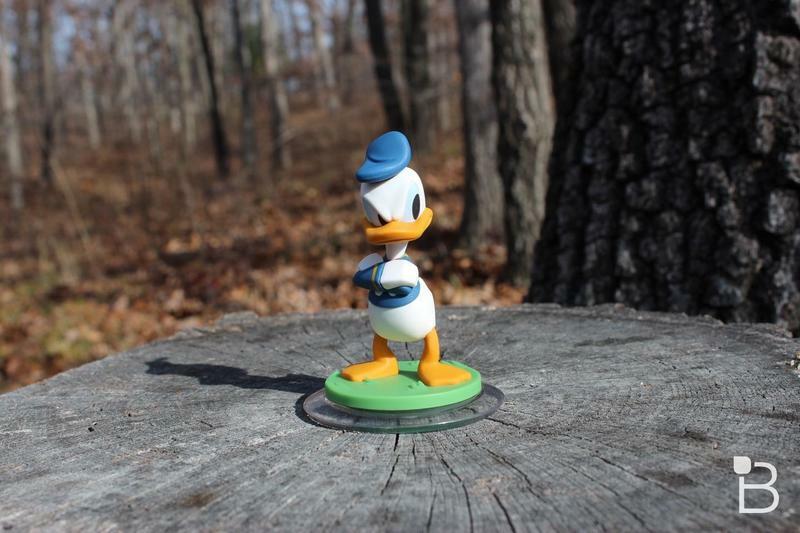 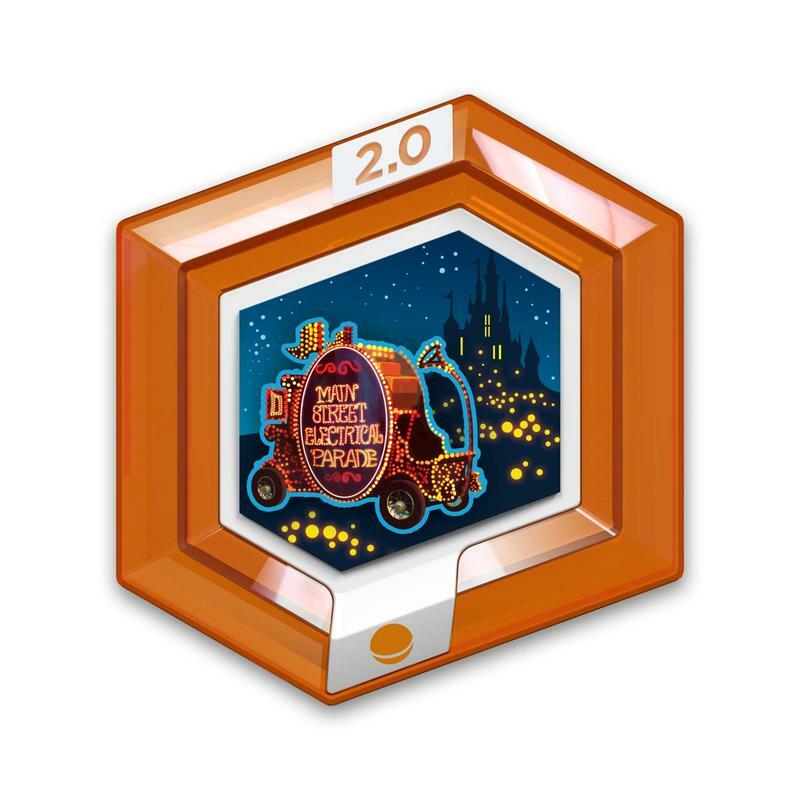 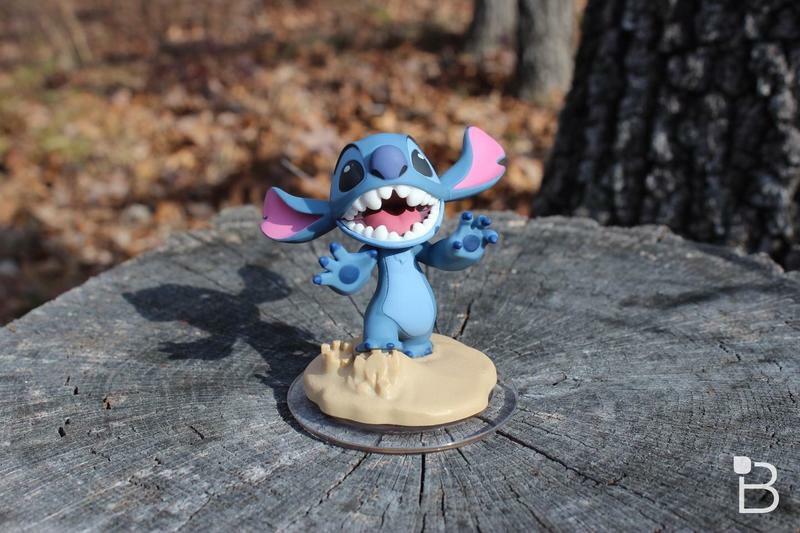 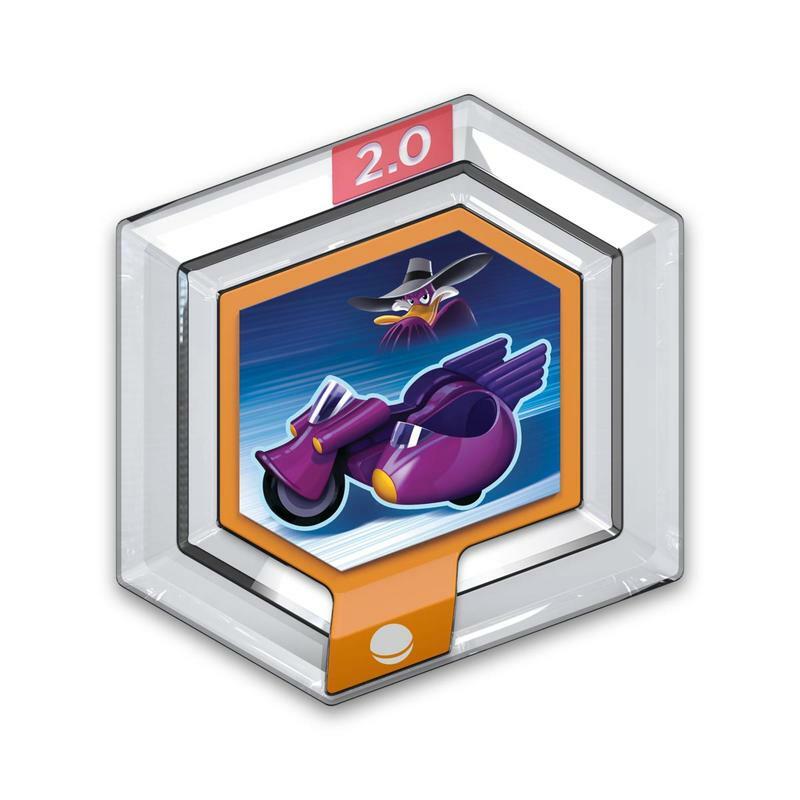 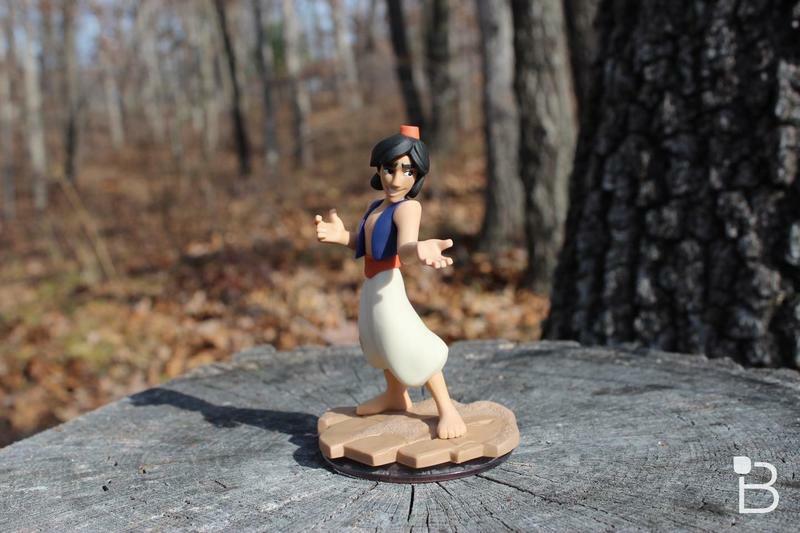 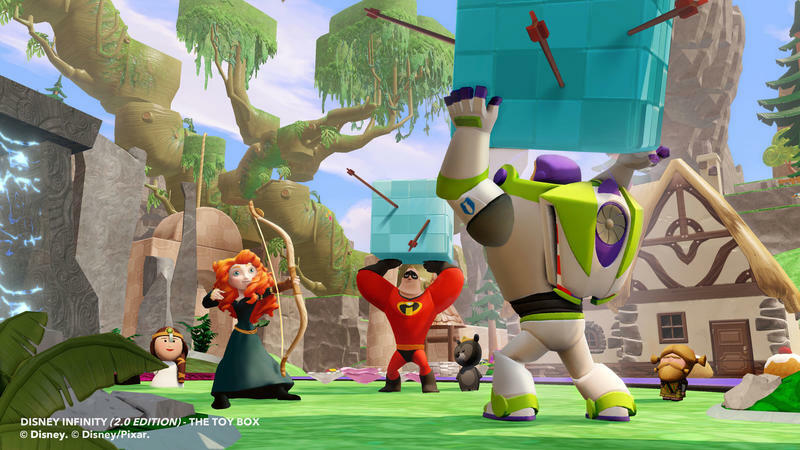 Take a look at the gallery below for more shots from Toy Box 2.0 and Disney Infinity 2.0. 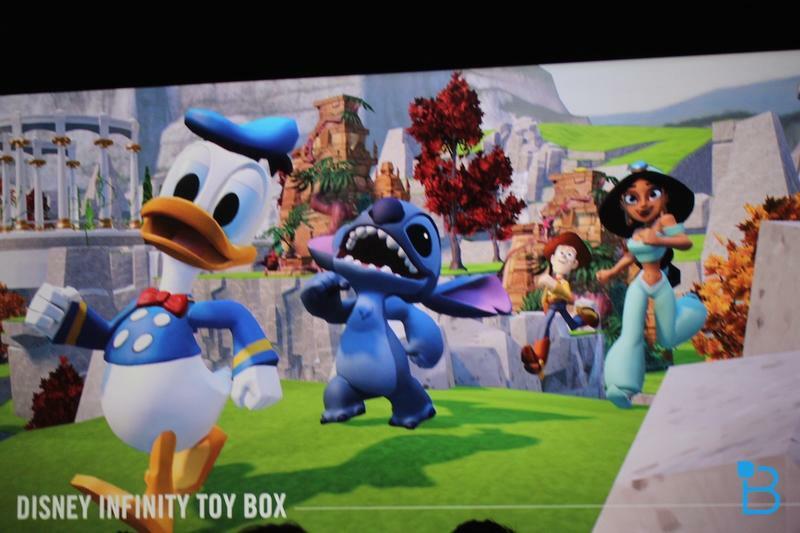 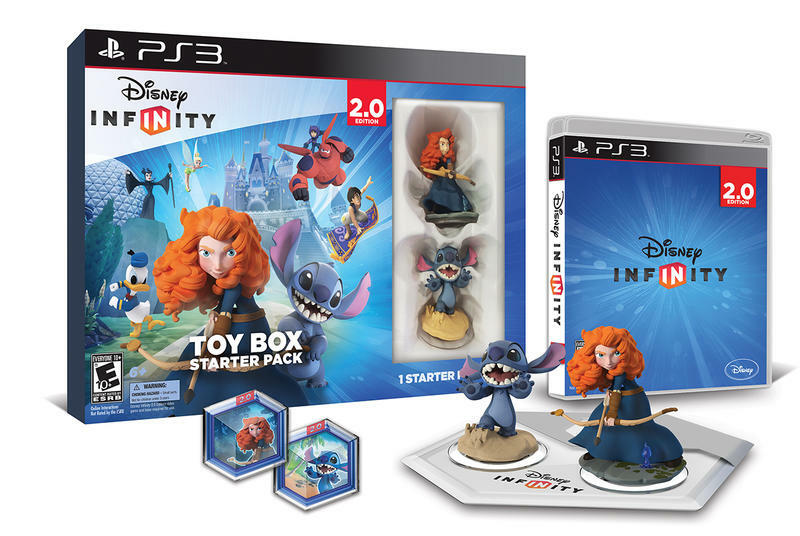 While Disney Infinity: Toy Box 2.0 is not nearly the full console/PC version it is much improved over the first version. 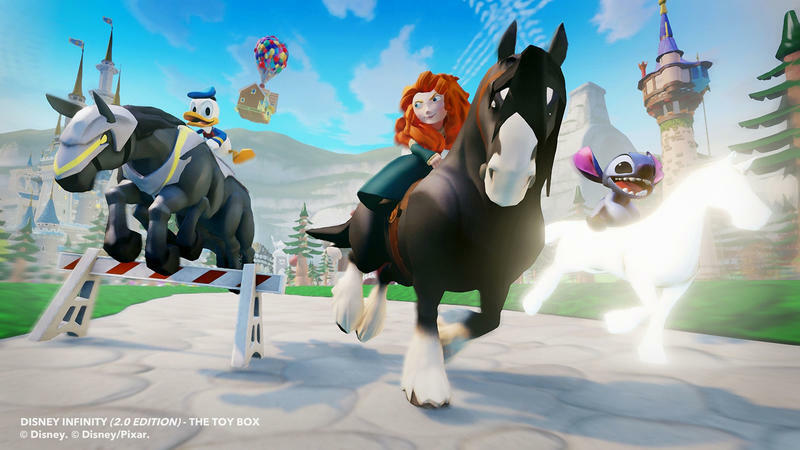 Though for now Toy Box 2.0 is only available on iOS devices. 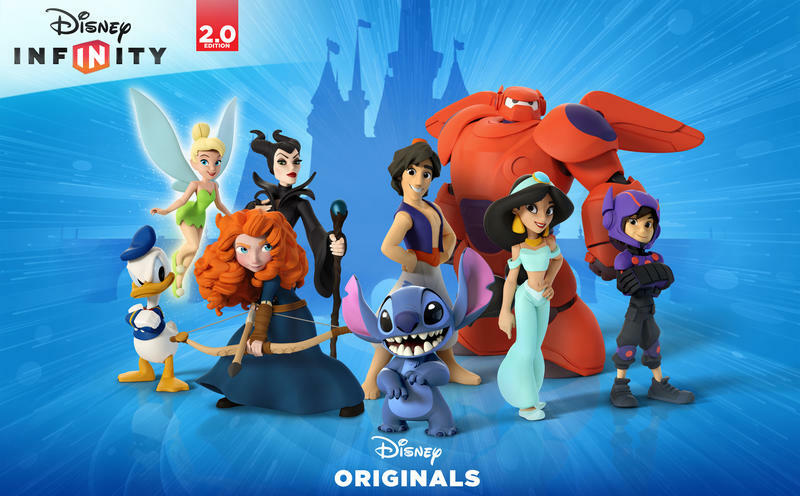 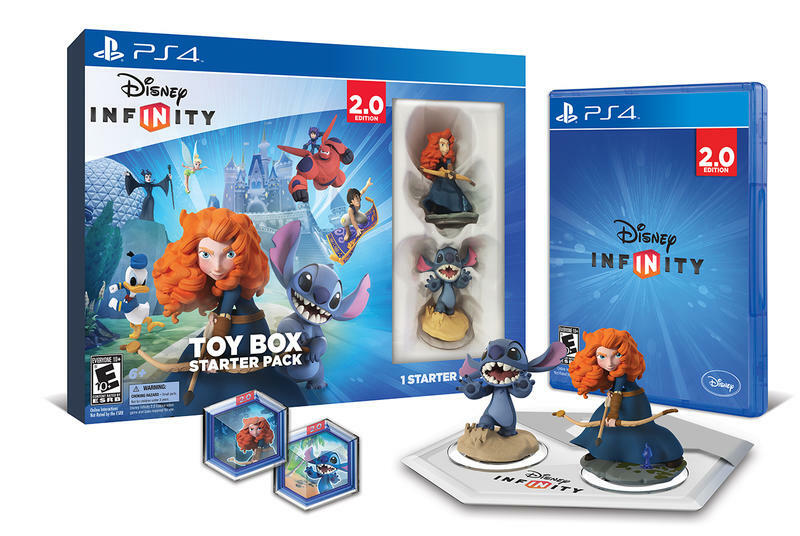 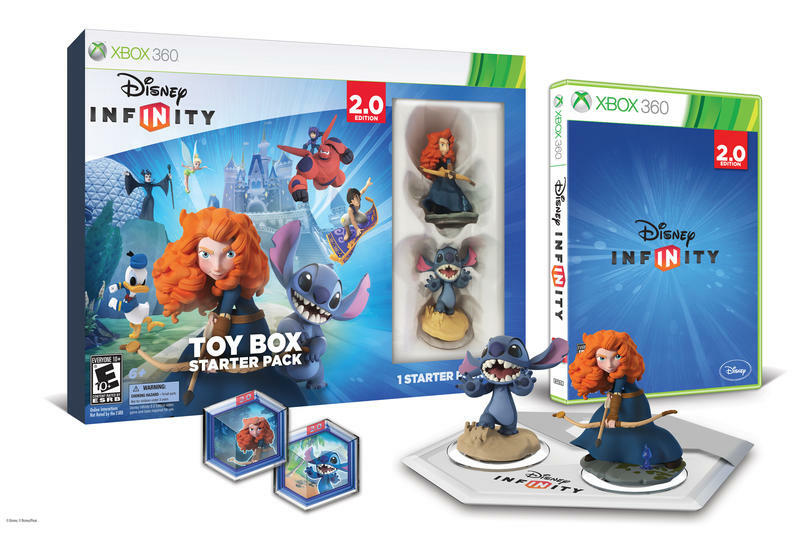 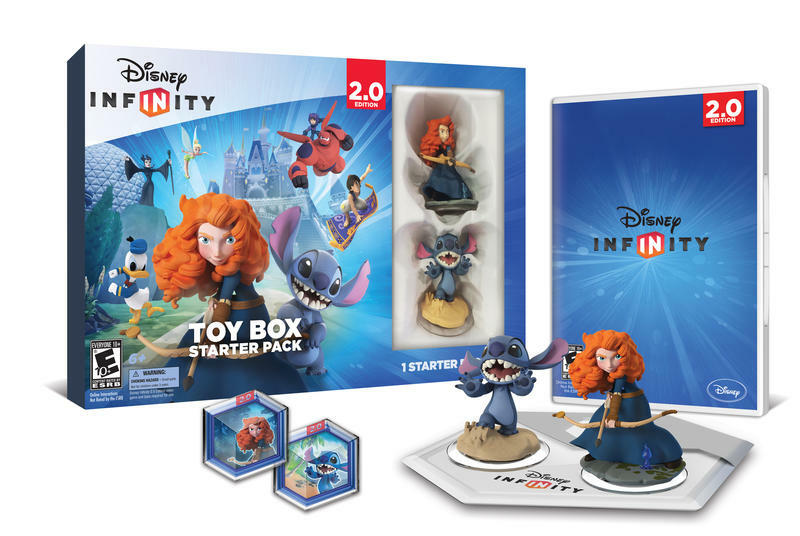 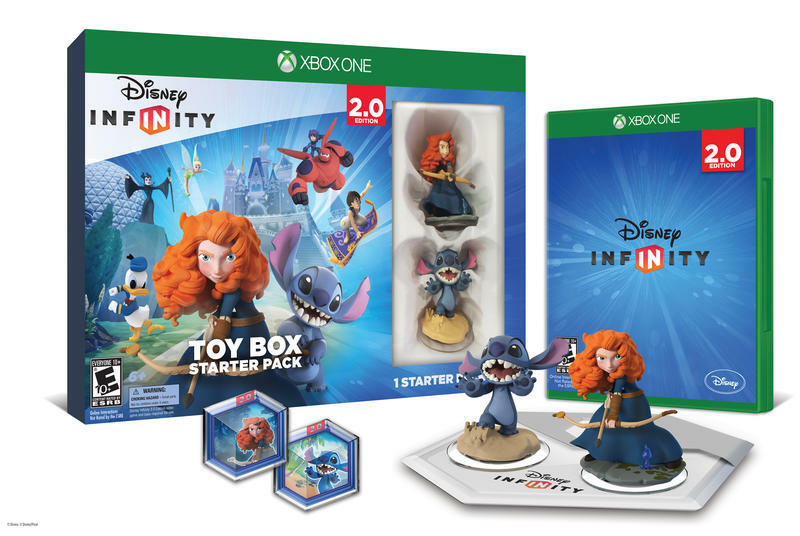 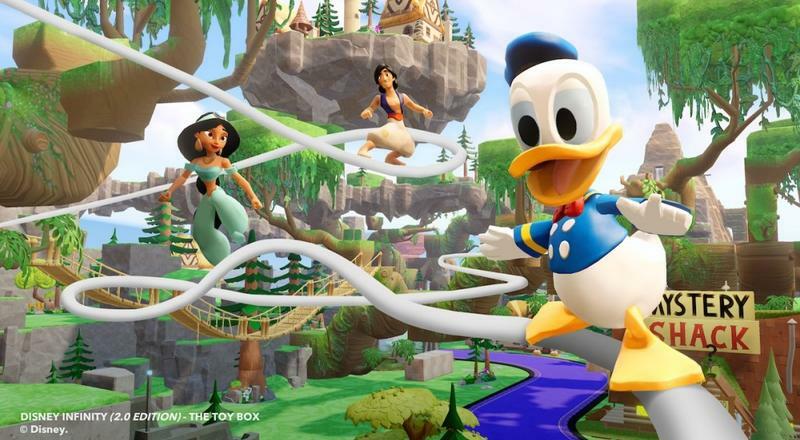 GLENDALE, Calif. – (January 29, 2015) – Disney Interactive today announced the launch of the free Disney Infinity: Toy Box 2.0 app for iPad and – for the first time – iPhone. 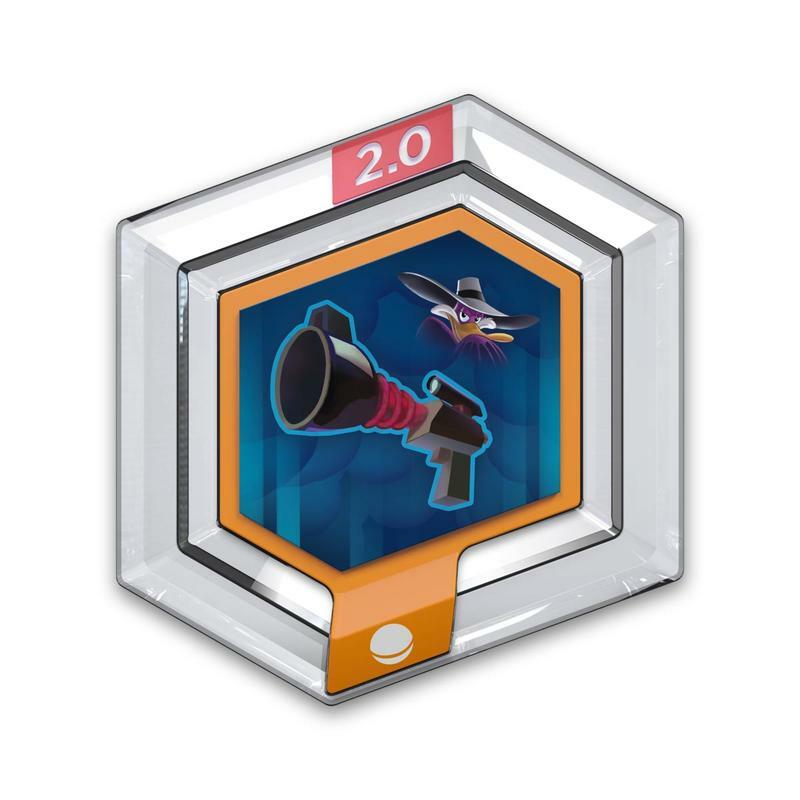 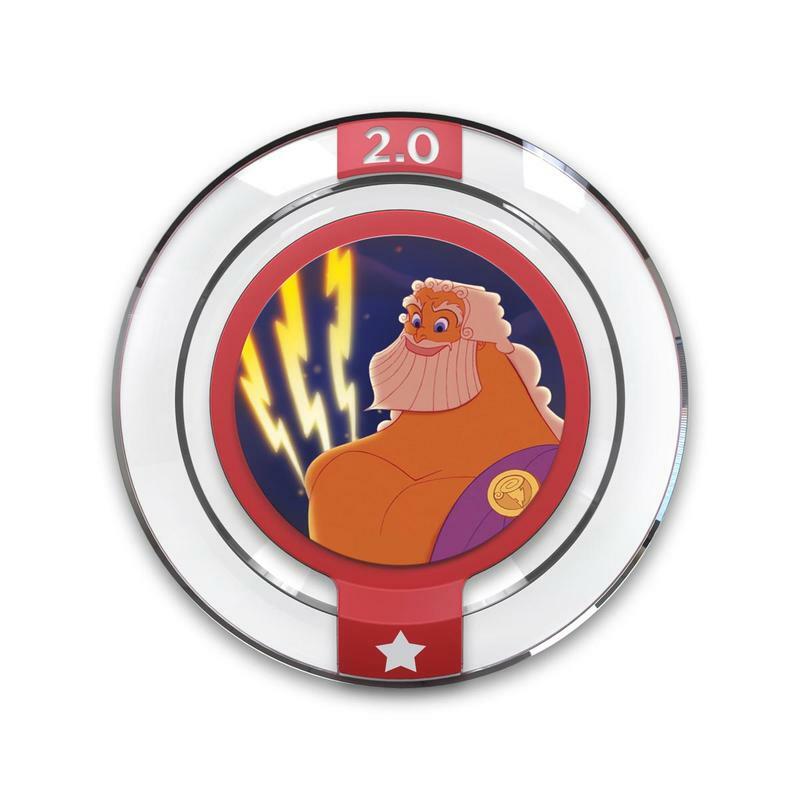 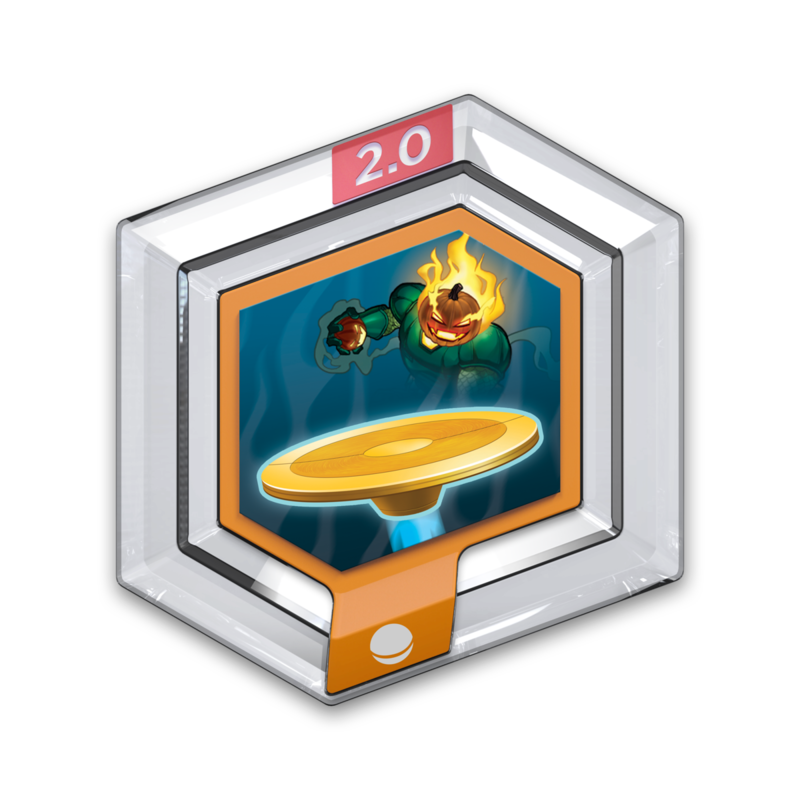 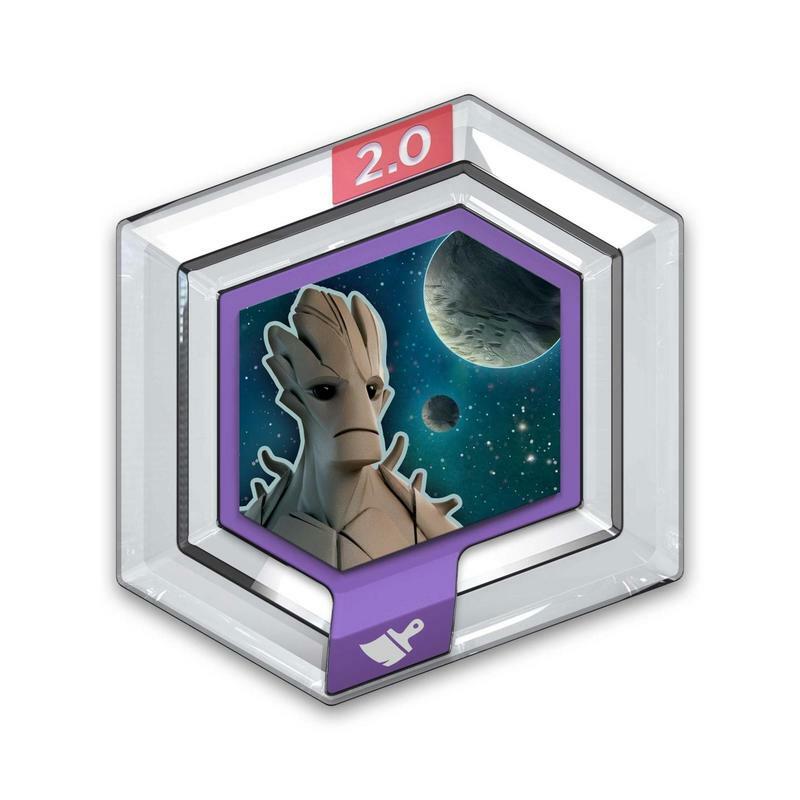 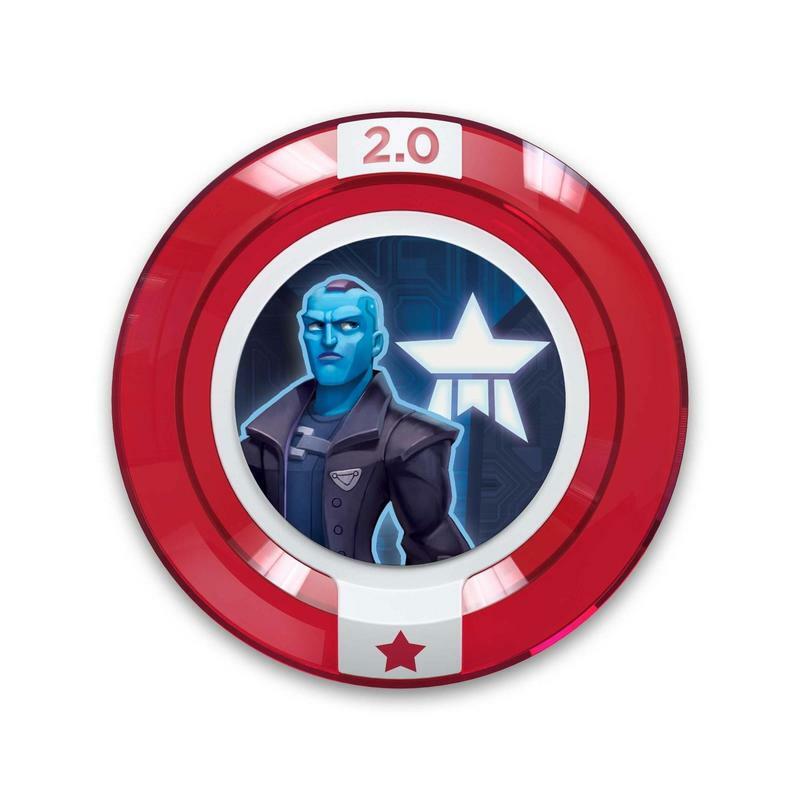 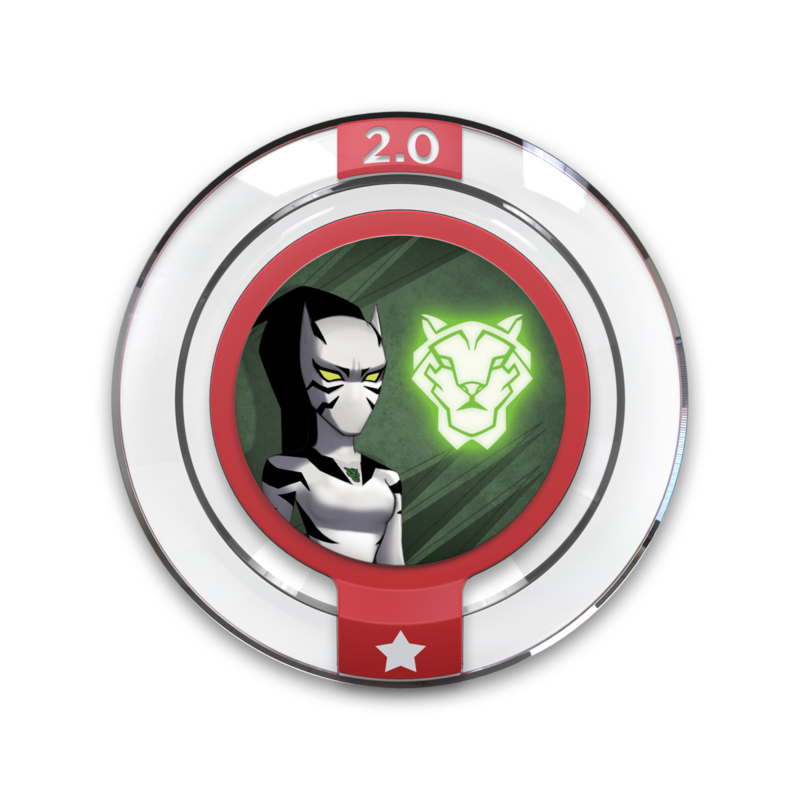 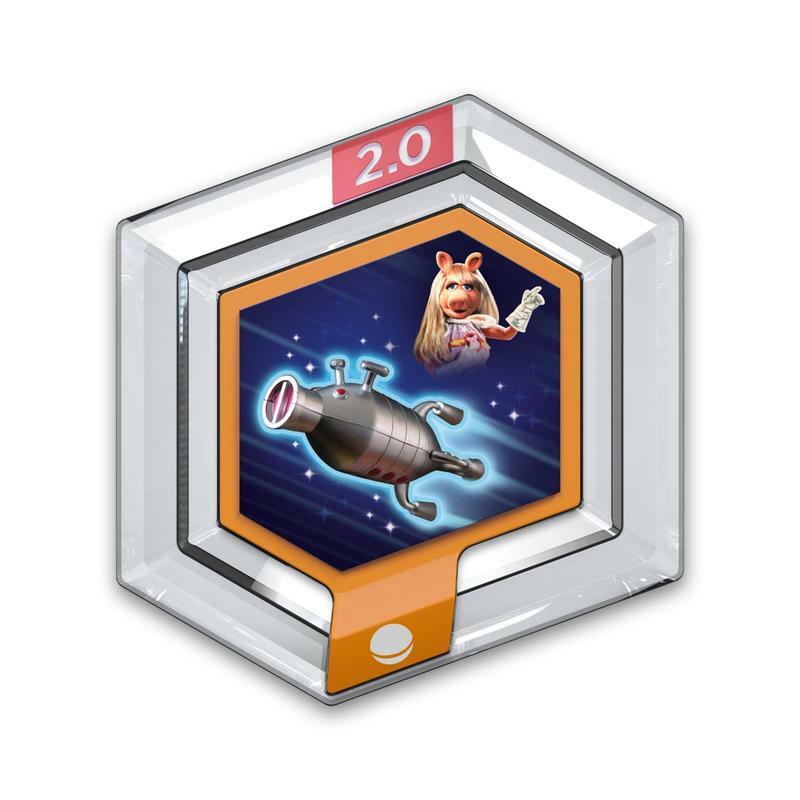 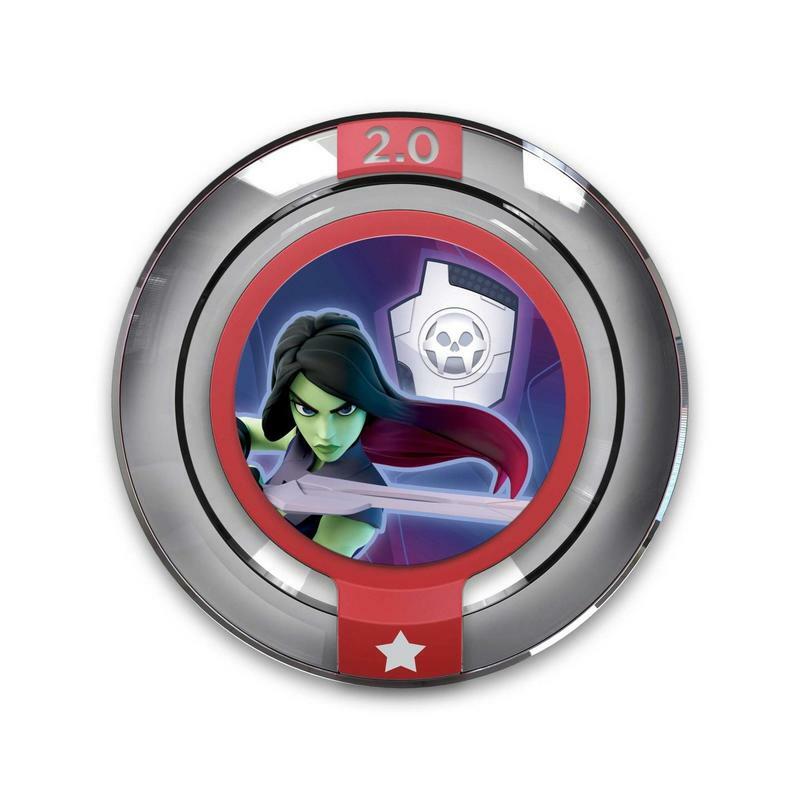 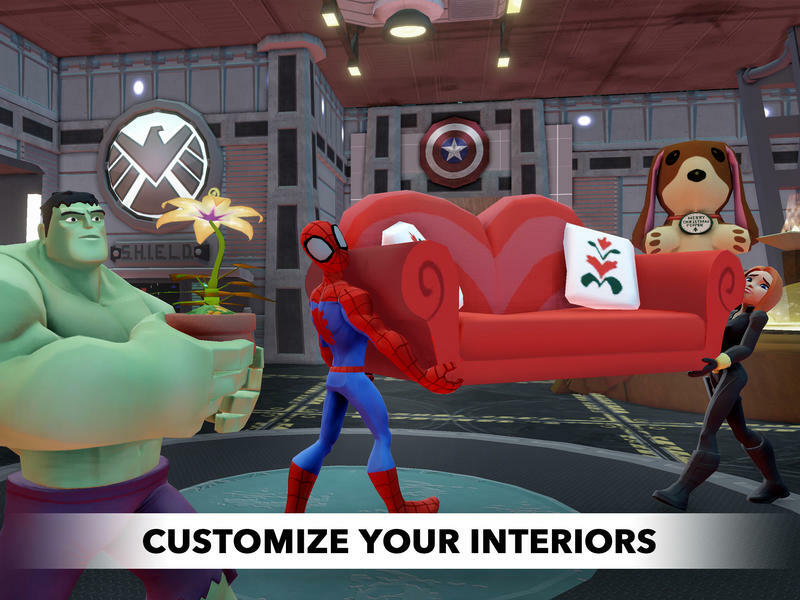 The app, which is a new addition to the Disney Infinity game universe, features all of the tools and enhanced features of Toy Box 2.0 from Disney Infinity (2.0 Edition), as well as all-new multiplayer functionality so mobile gamers can create one-of-a-kind Toy Boxes together using their favorite Marvel and Disney characters, vehicles, settings and items. 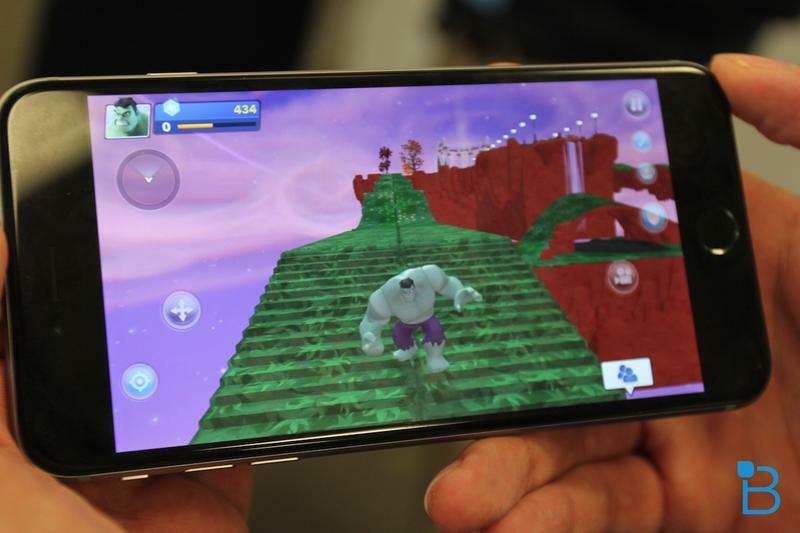 The game also utilizes the iOS 8 Metal graphics engine’s processing power to deliver a seamless play experience across console and iOS devices. 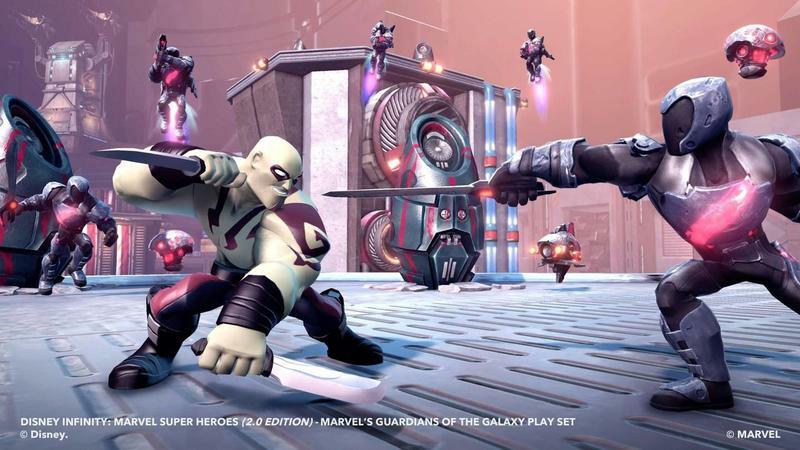 Optimized for Metal – Full Metal optimization provides higher quality graphics and gameplay performance to near-console quality on compatible iOS devices. 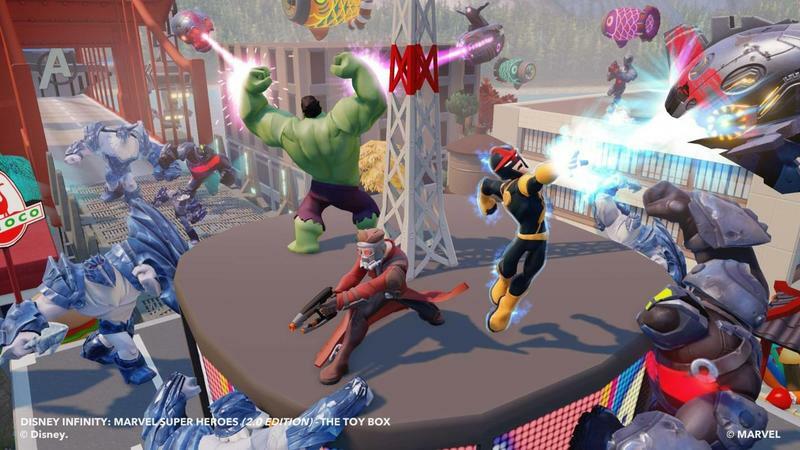 Multiplayer functionality – Players can now build and play simultaneously in a Toy Box on their mobile devices online with Wi-Fi connection. 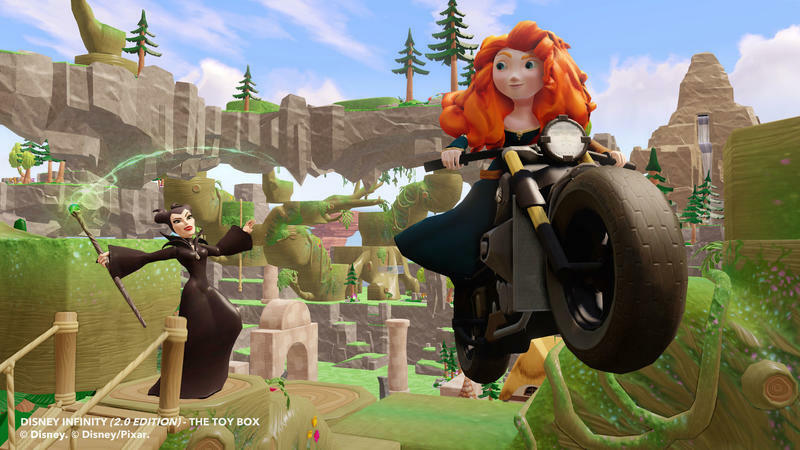 Disney Infinity: Toy Box 2.0 for iOS is available now as a free download from http://di.sn/6004Izzy. 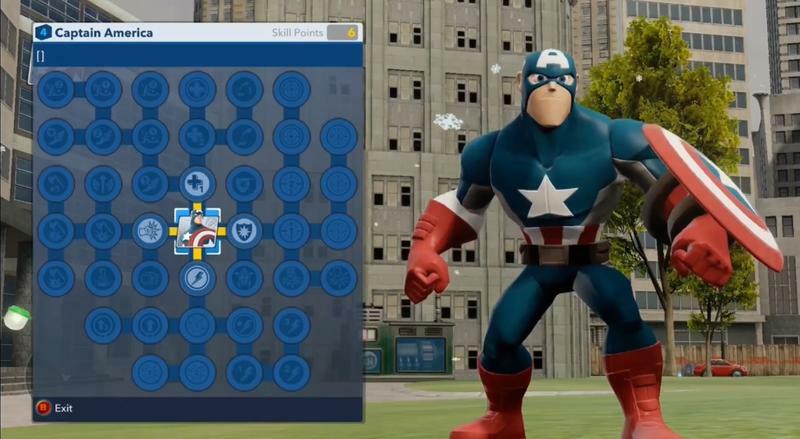 Three characters are always free to play at any one time and will rotate often. 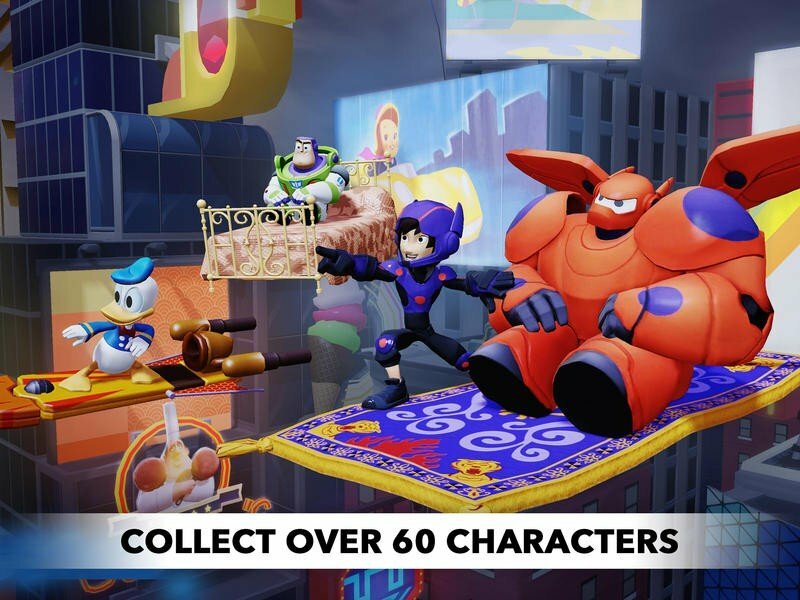 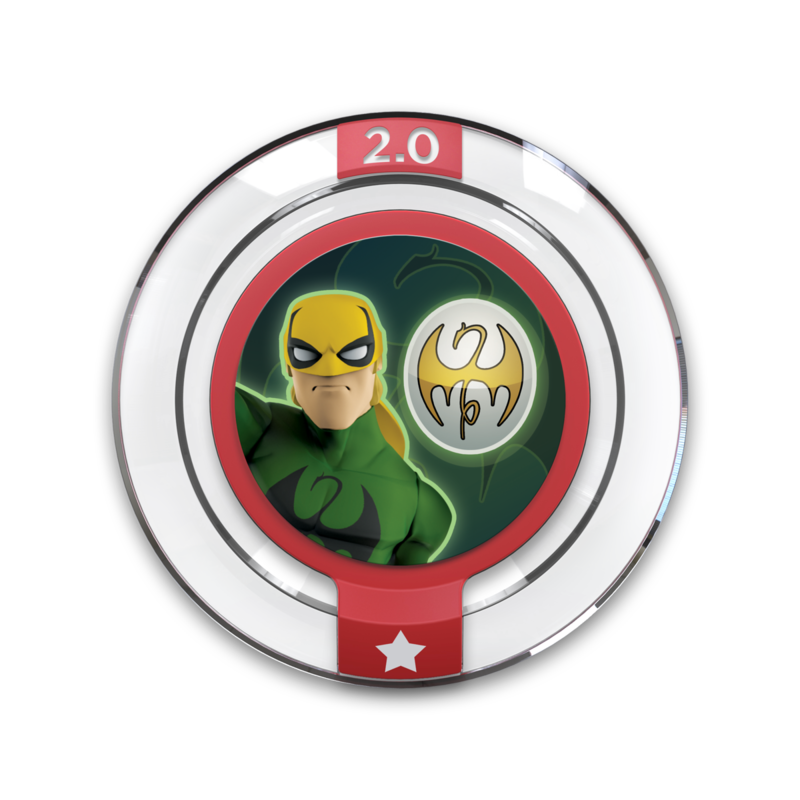 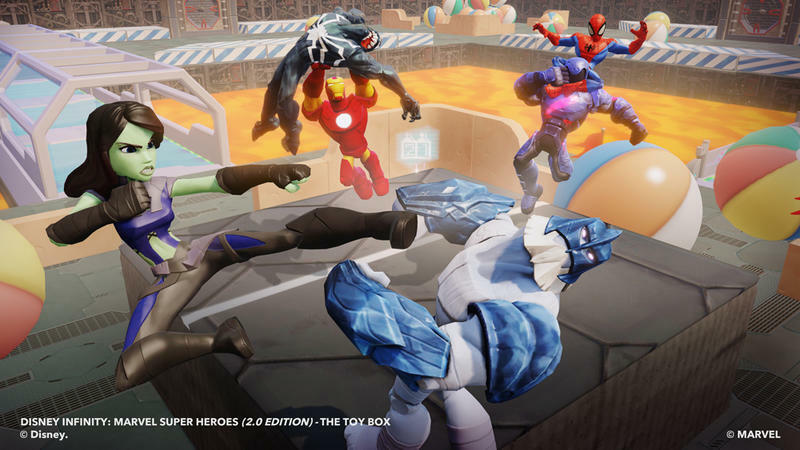 All of the characters from across the Disney Infinity universe, which includes Disney Infinity and Disney Infinity: Marvel Super Heroes, are playable in Disney Infinity: Toy Box 2.0 for iOS. 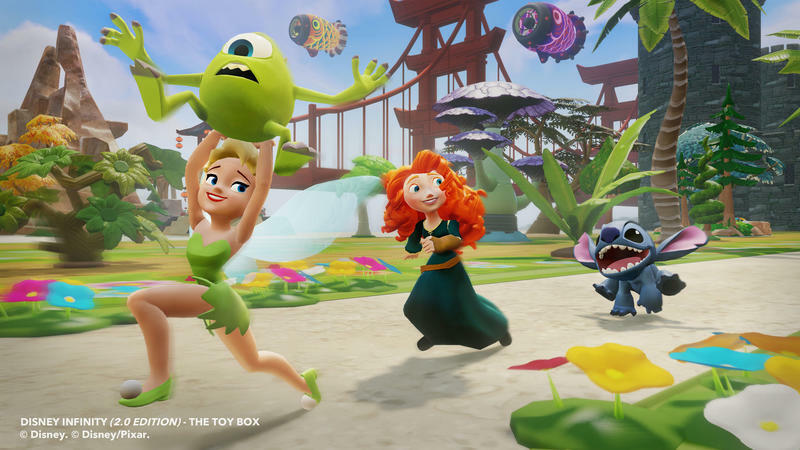 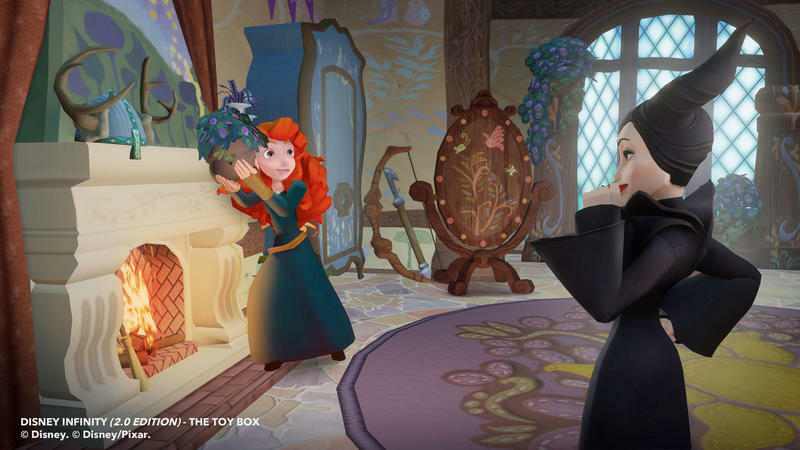 Purchases from Disney Infinity: Toy Box for iPad will carry forward into Disney Infinity: Toy Box 2.0 for iPhone and iPad with the player’s DisneyID. 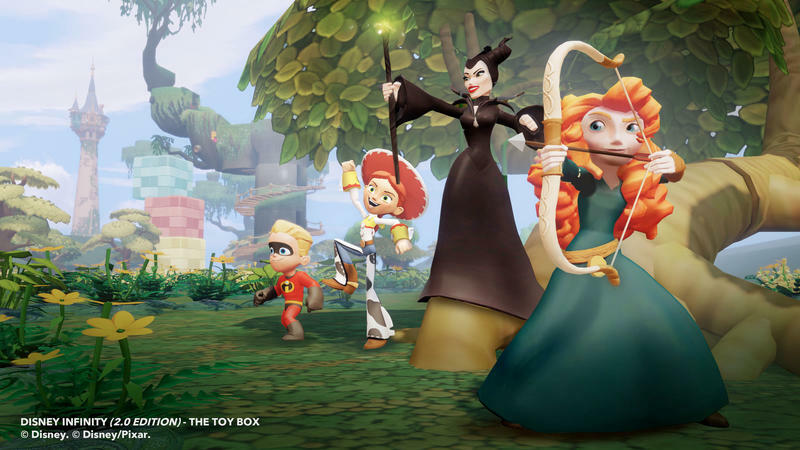 Disney Infinity is an interactive gaming platform where players have unprecedented freedom and endless opportunity to create stories and play experiences starring the beloved characters from across the worlds of Disney. 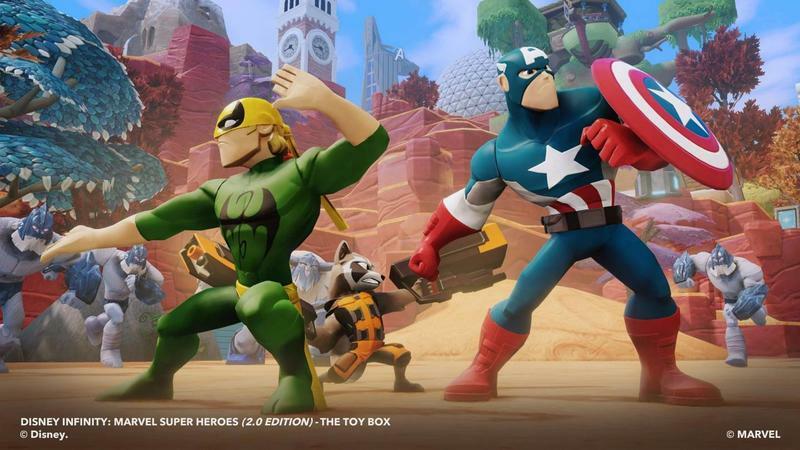 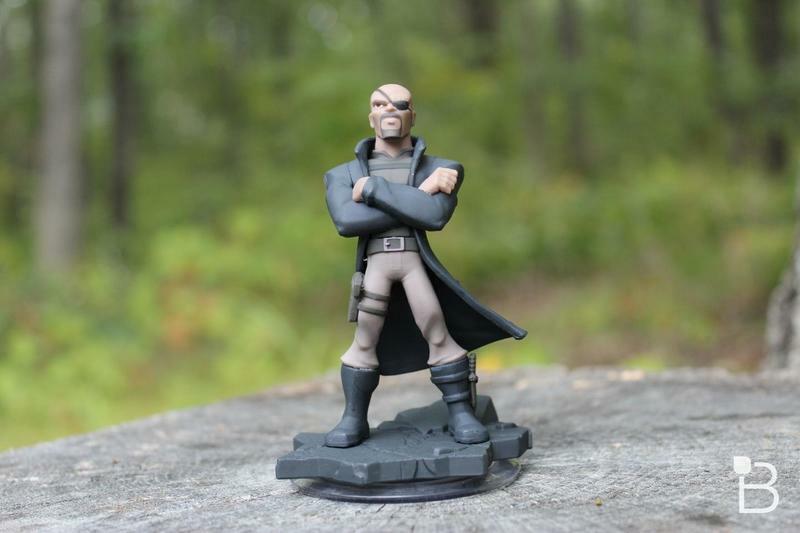 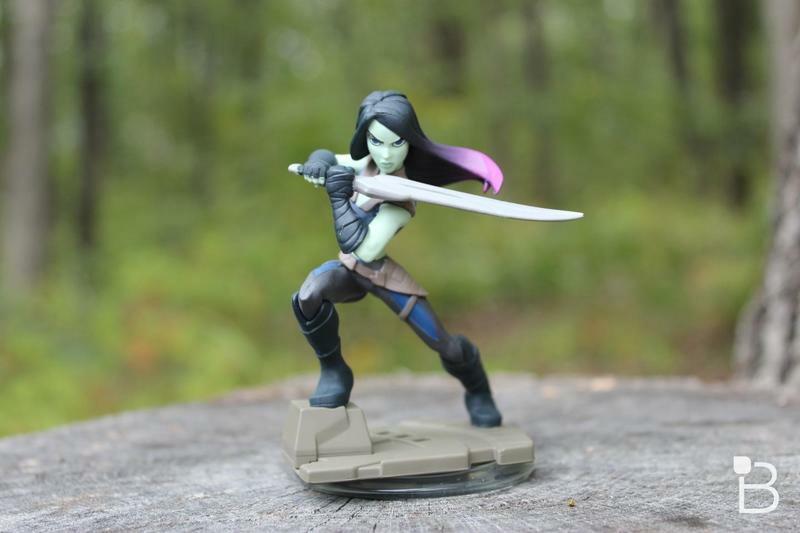 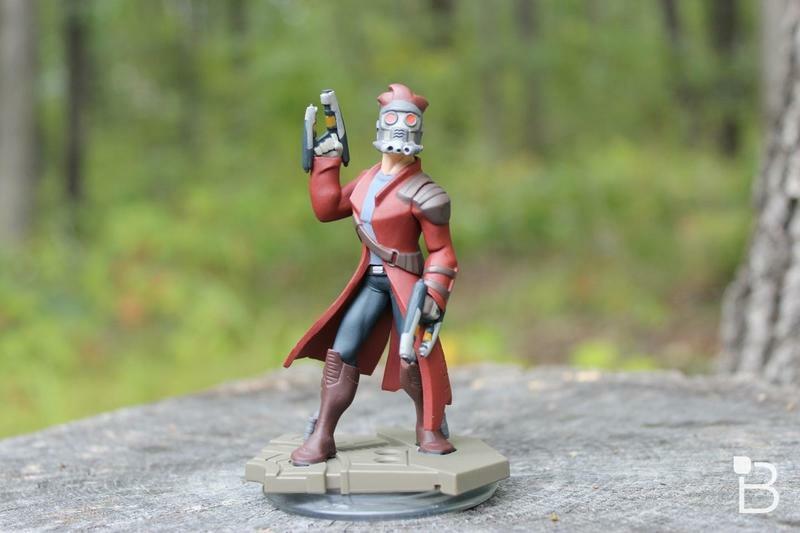 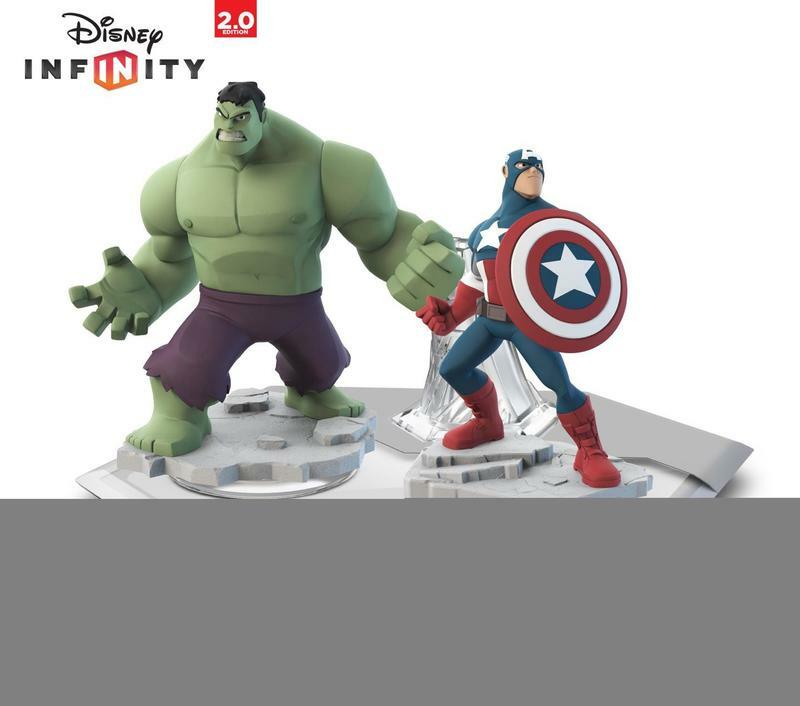 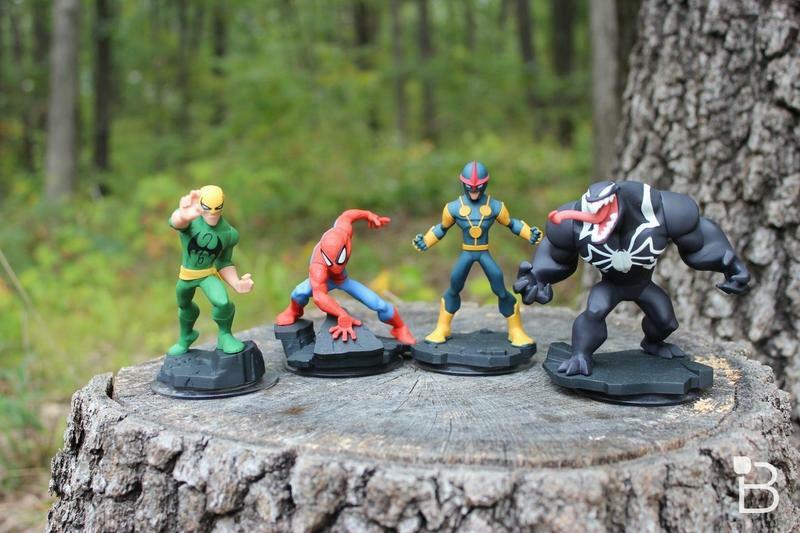 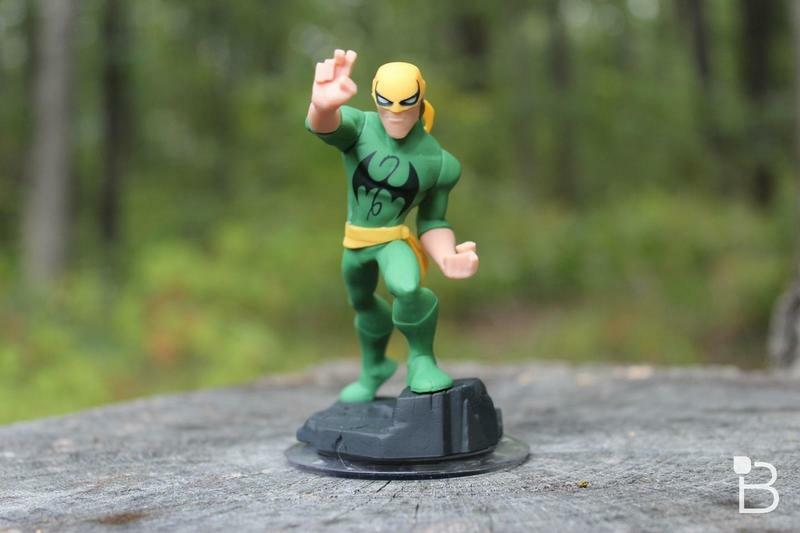 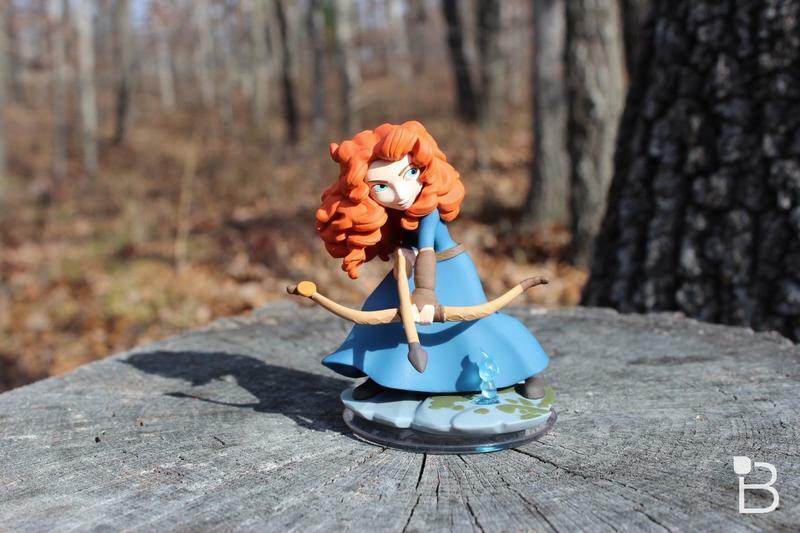 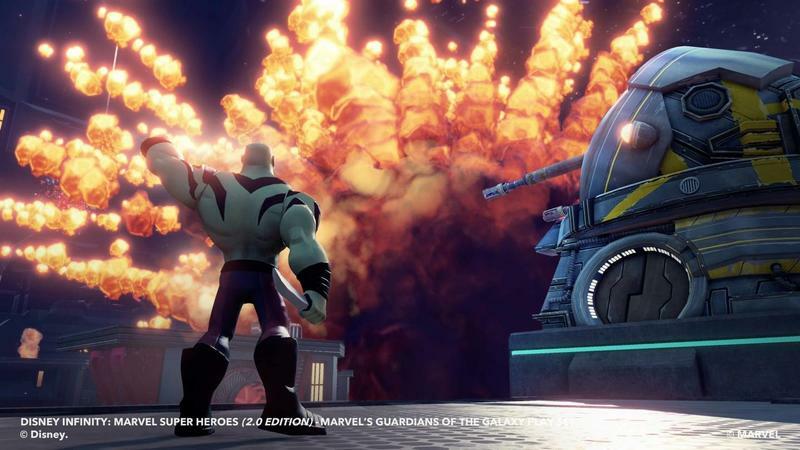 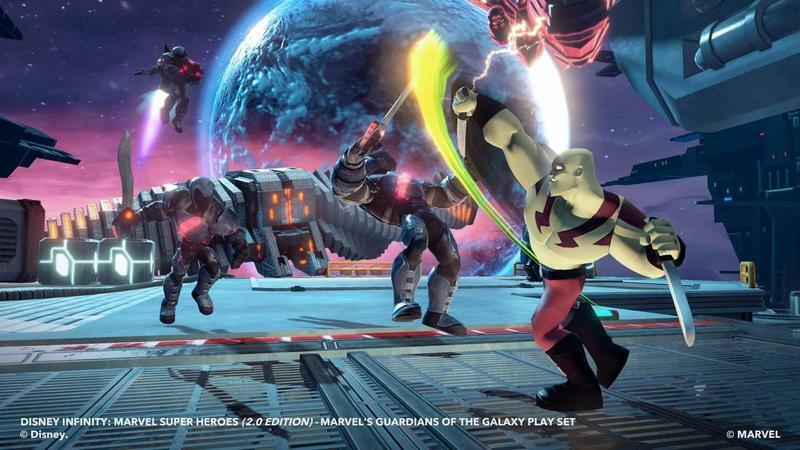 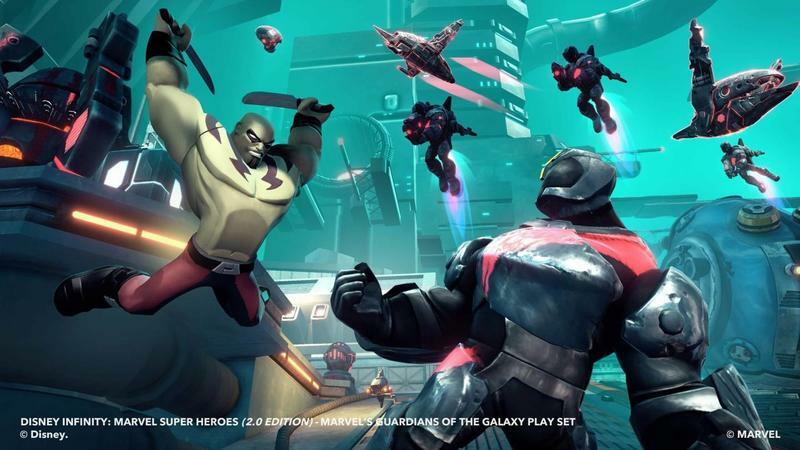 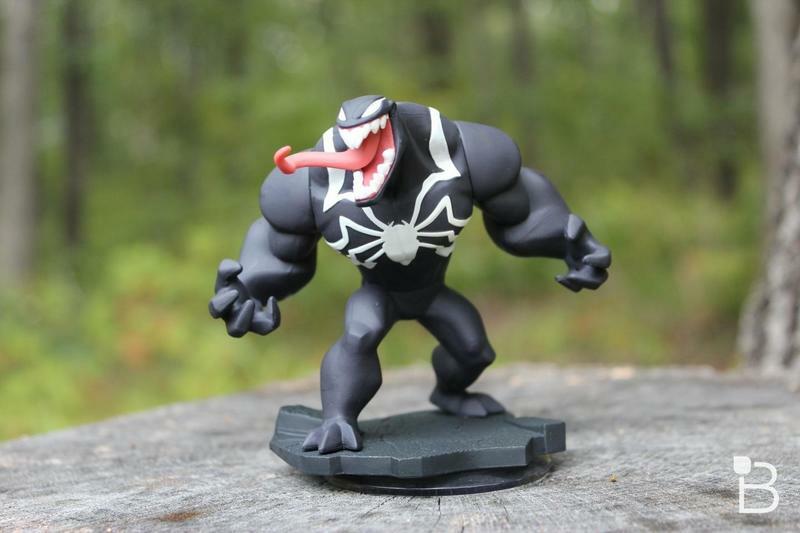 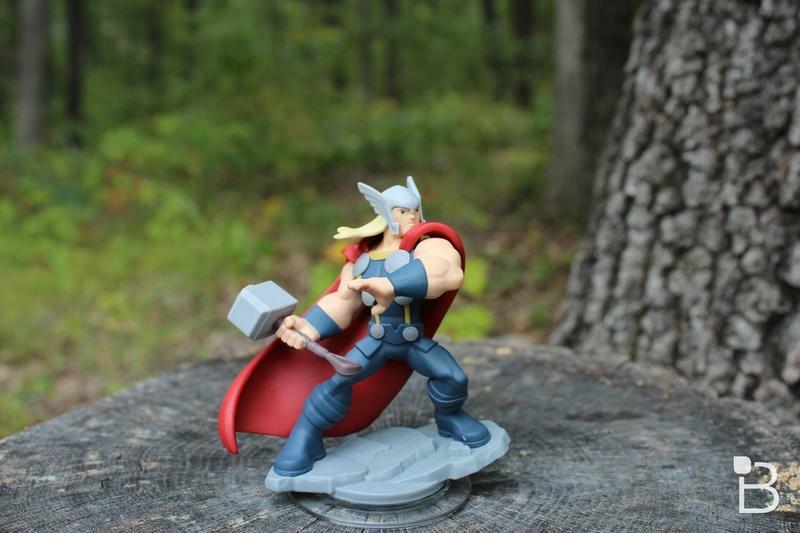 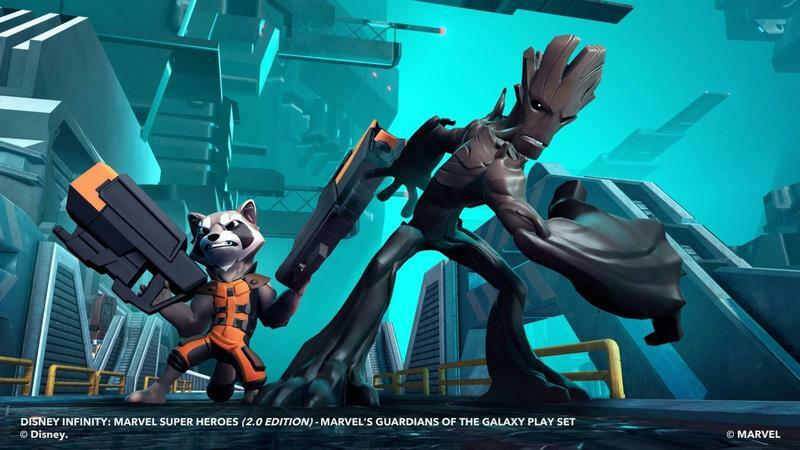 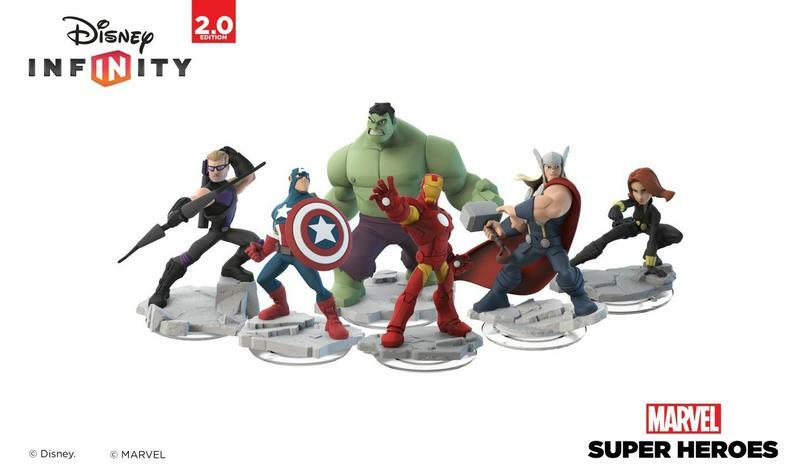 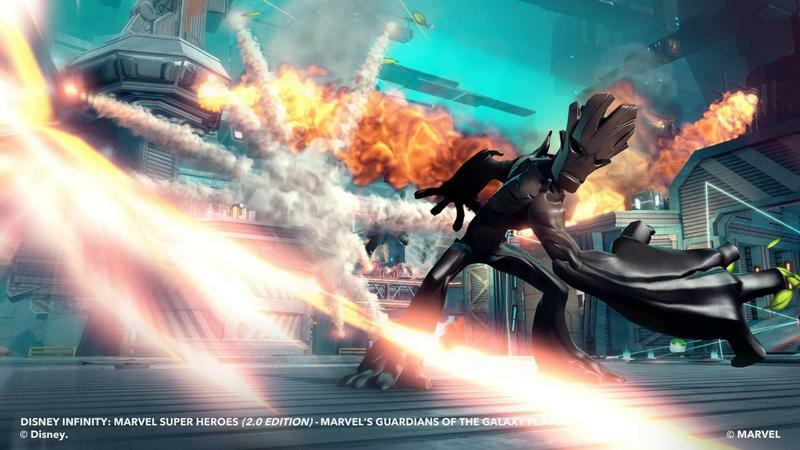 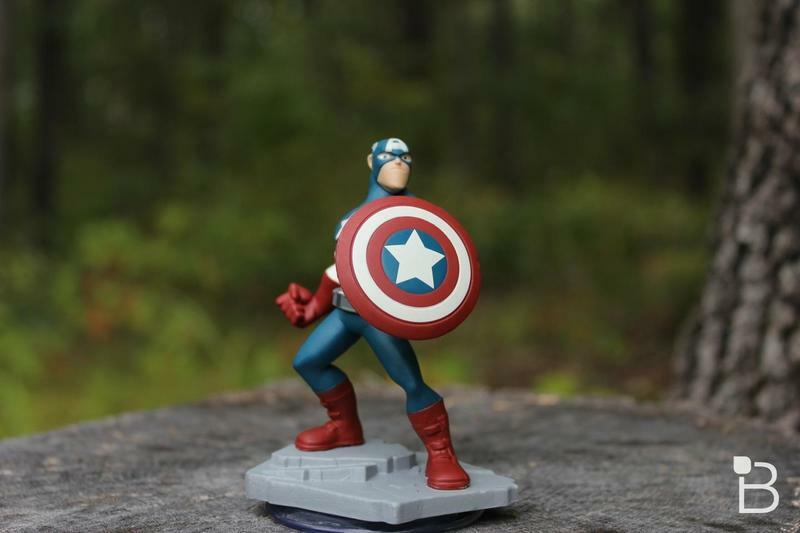 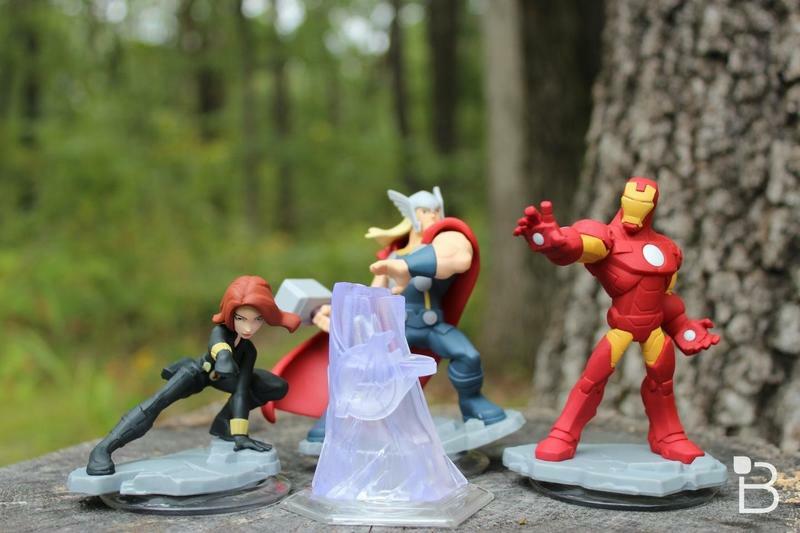 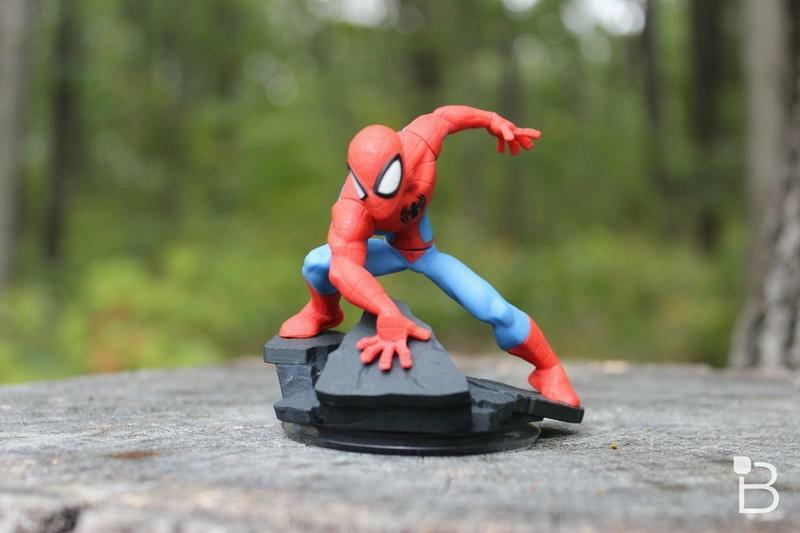 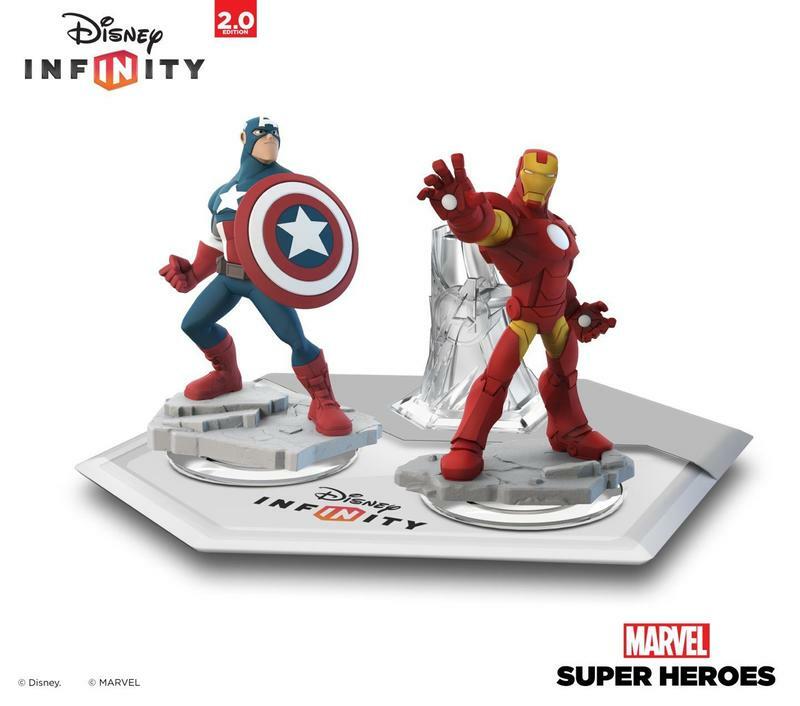 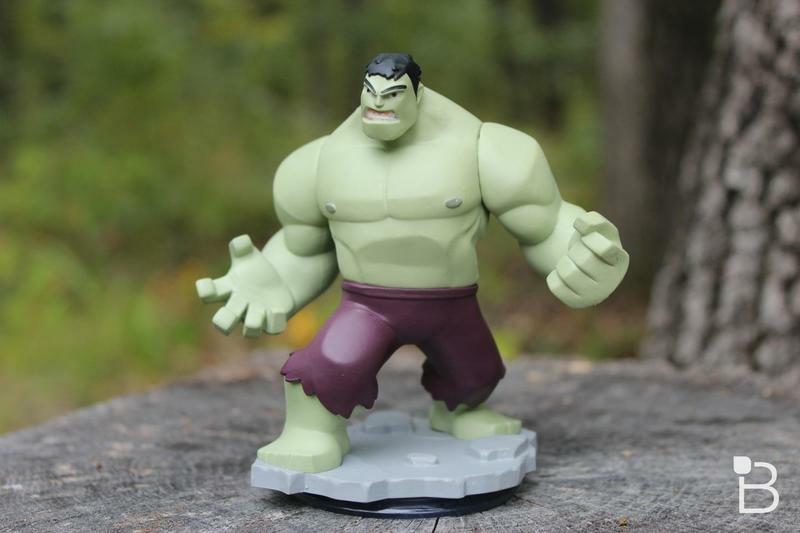 Building on the success of Disney Infinity, Disney Interactive launched Disney Infinity: Marvel Super Heroes in August. 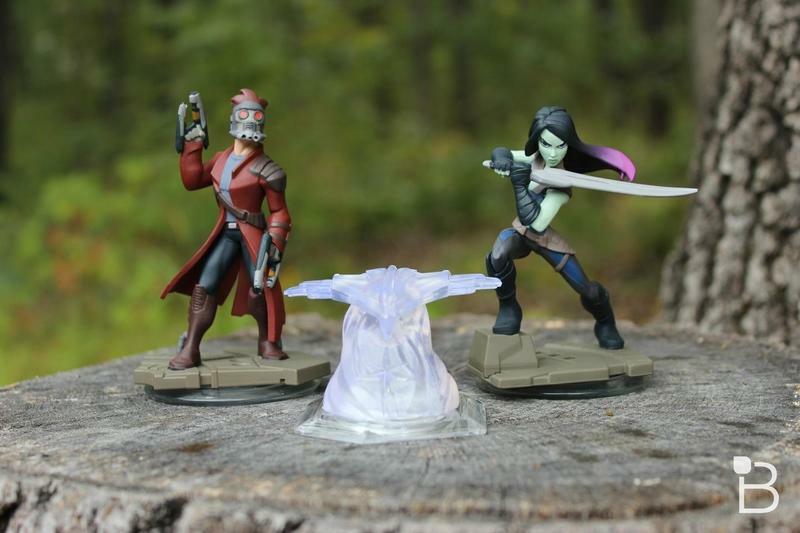 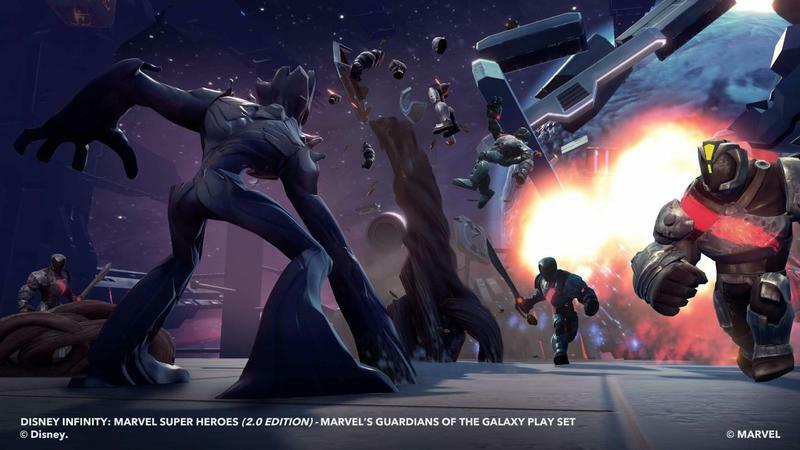 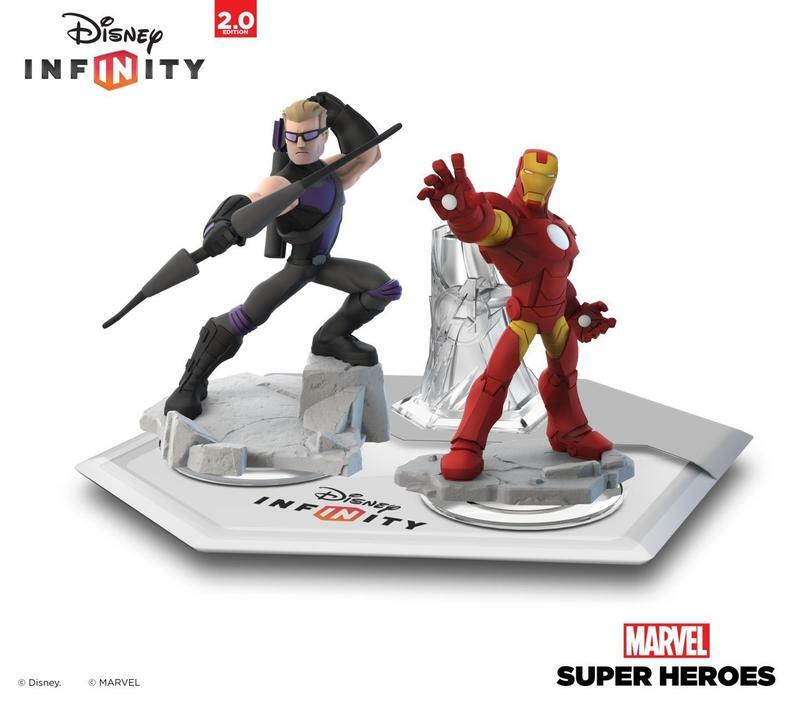 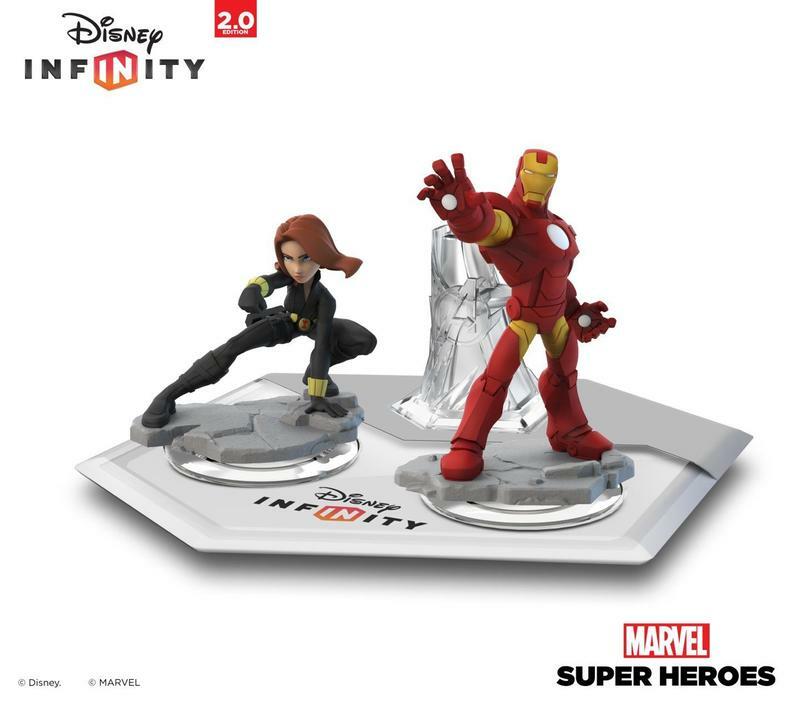 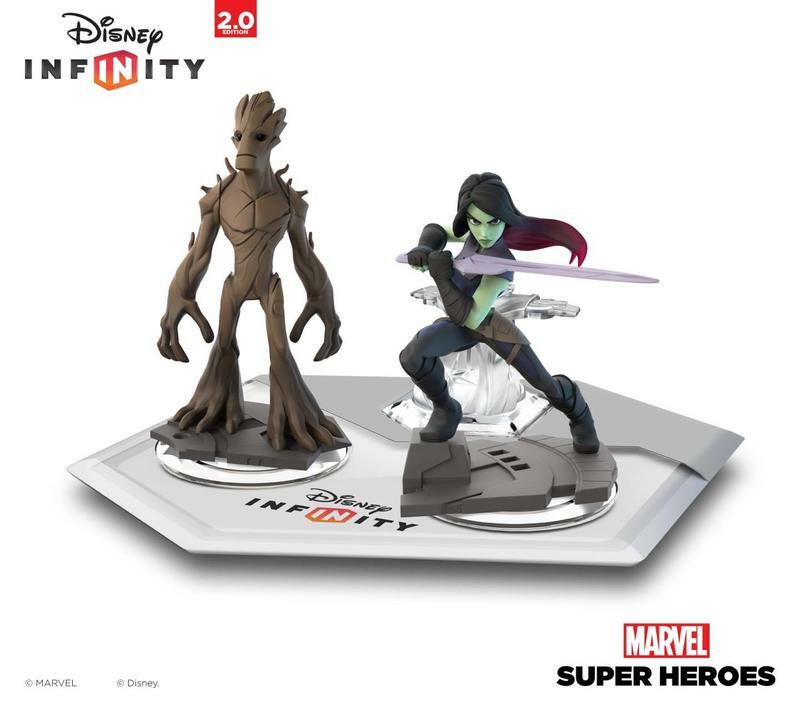 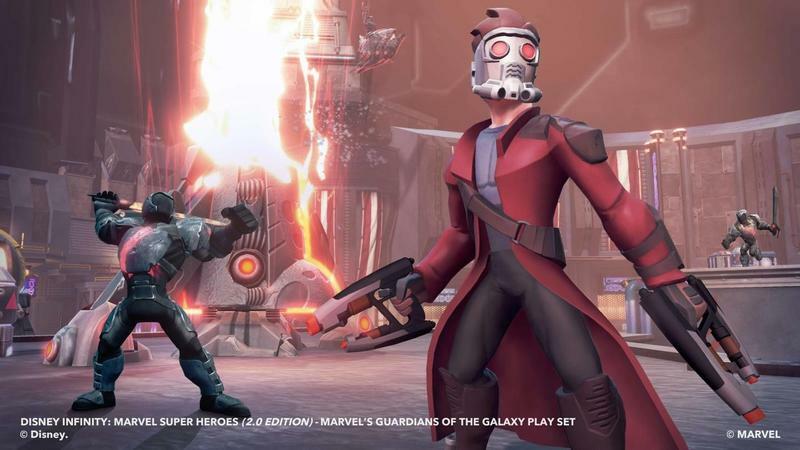 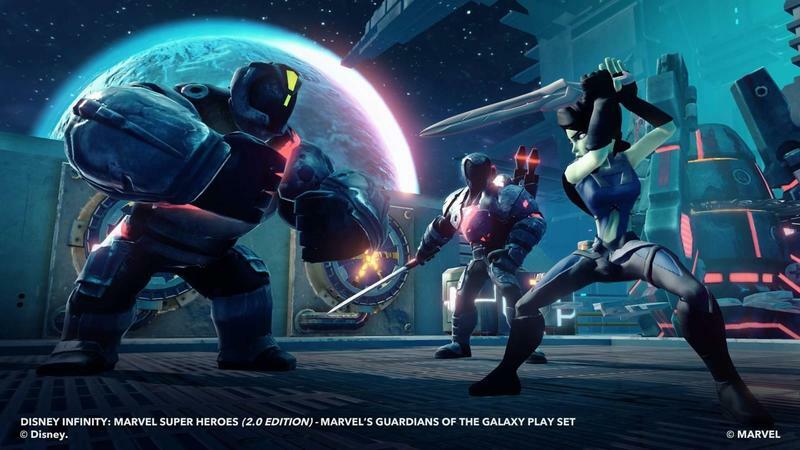 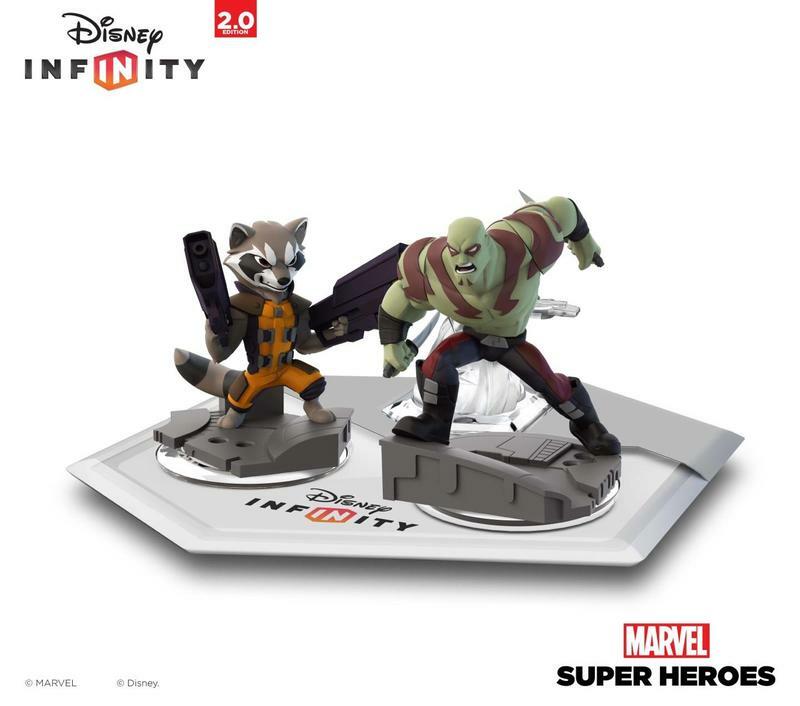 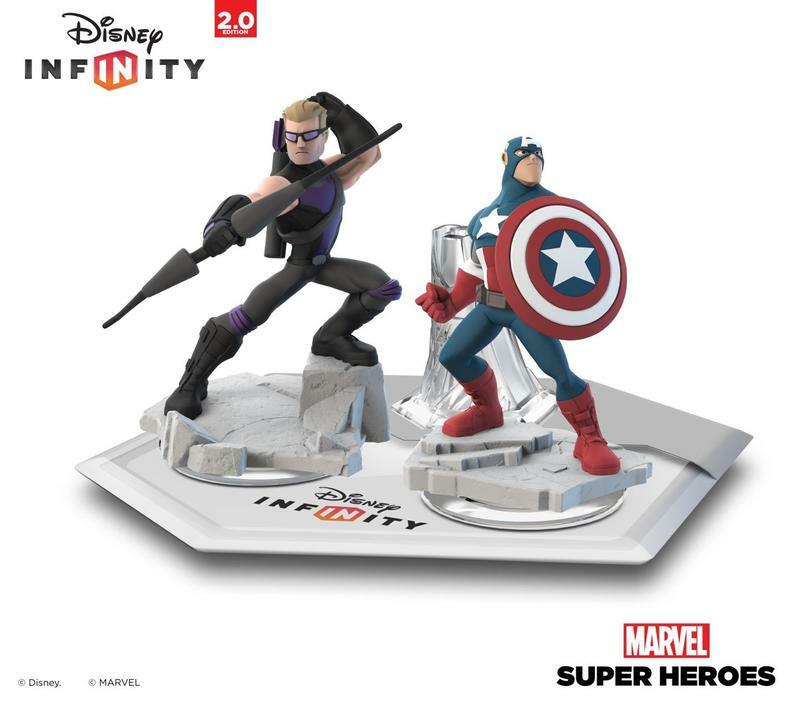 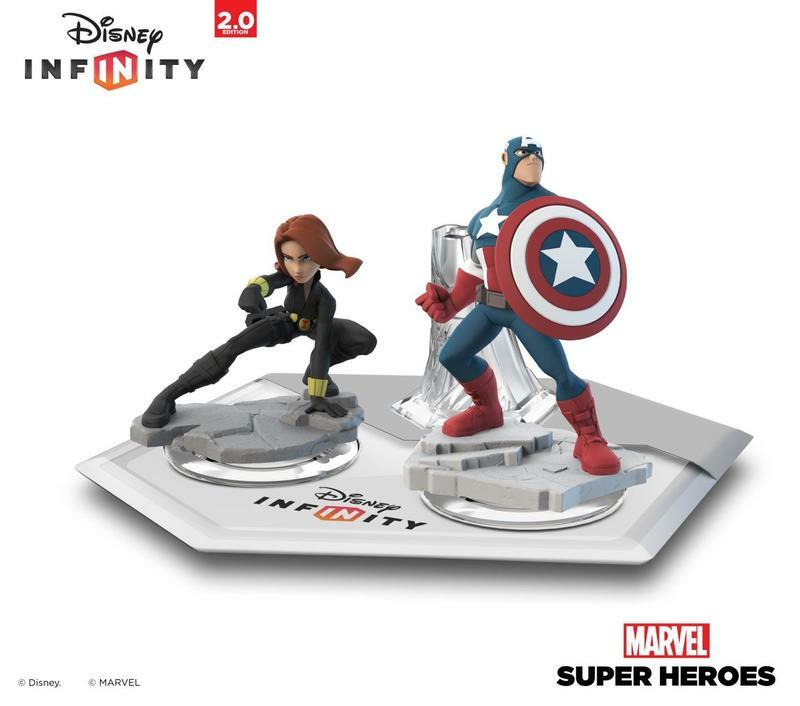 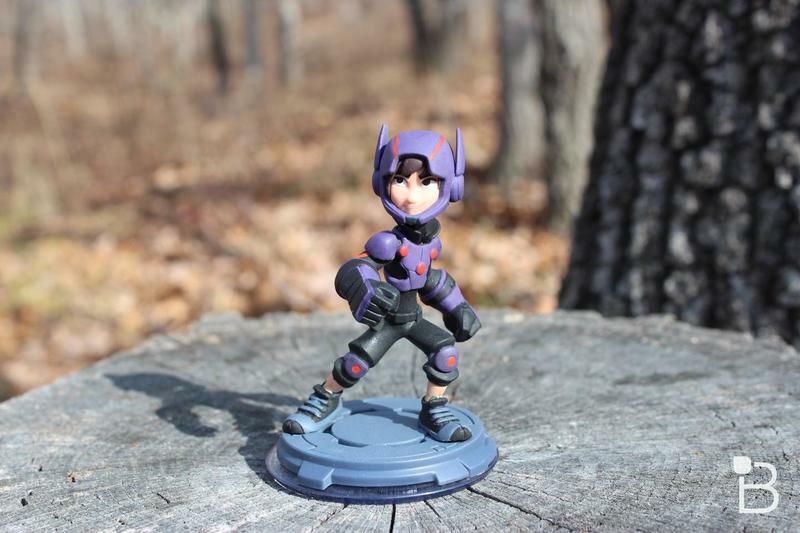 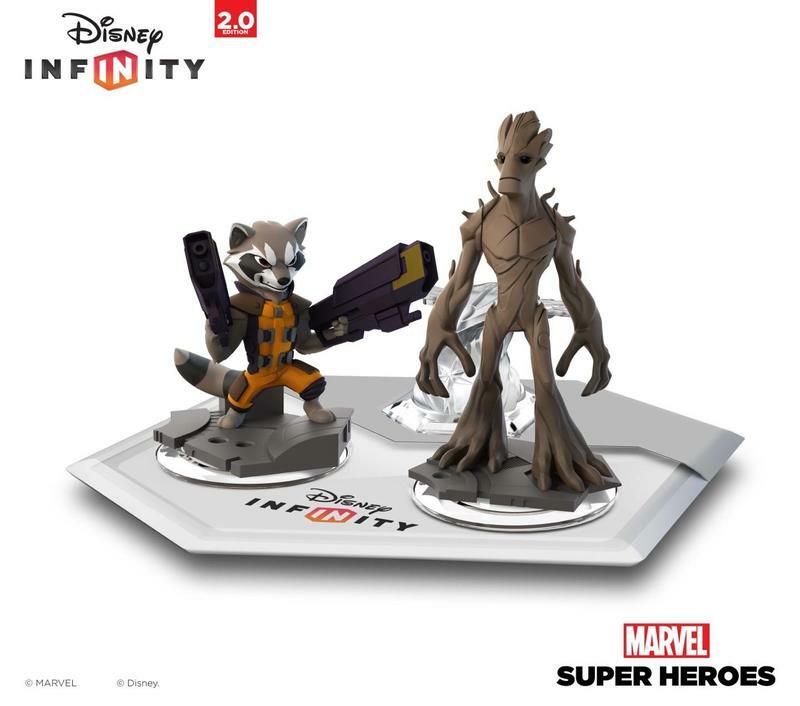 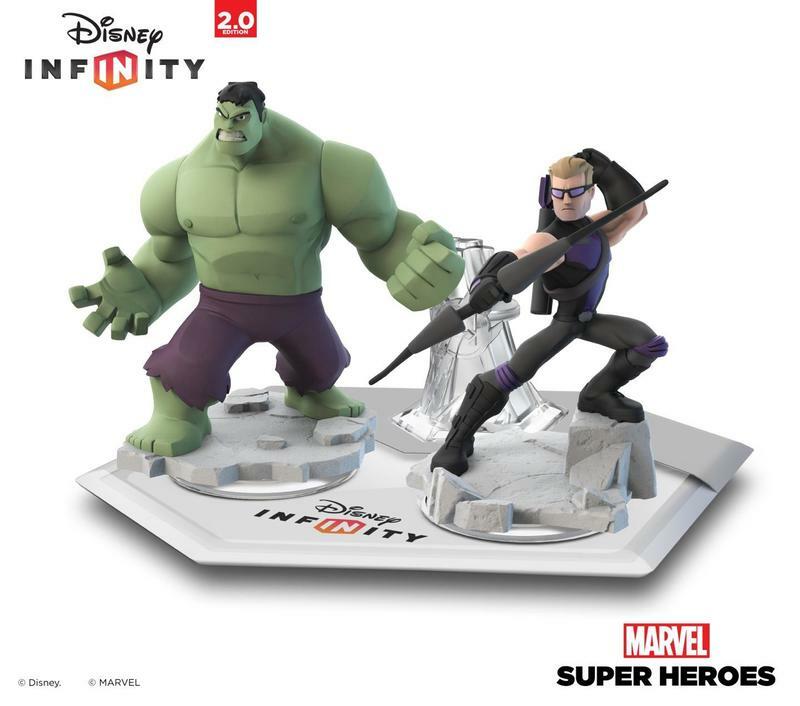 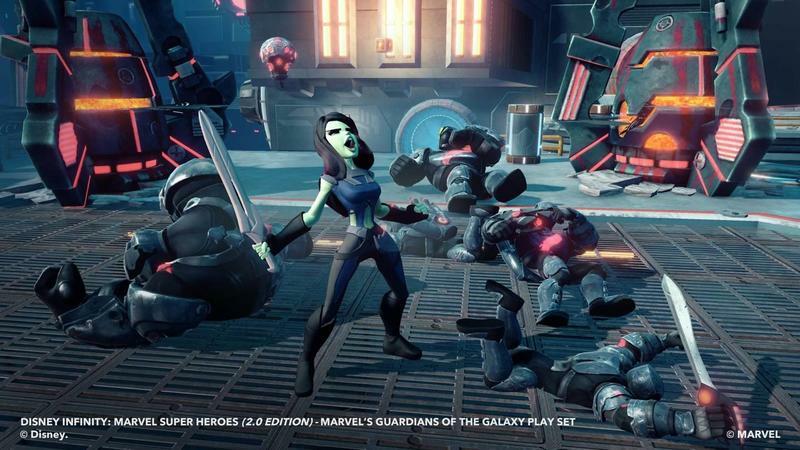 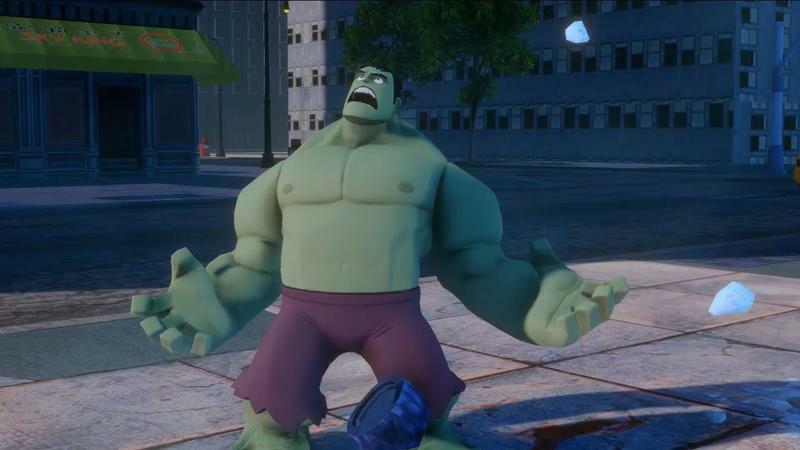 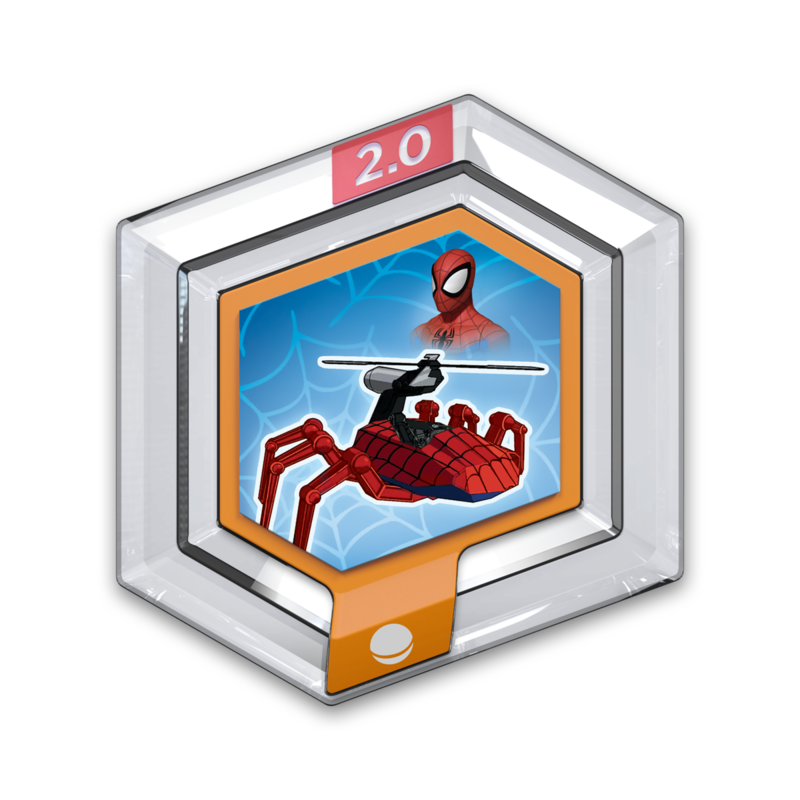 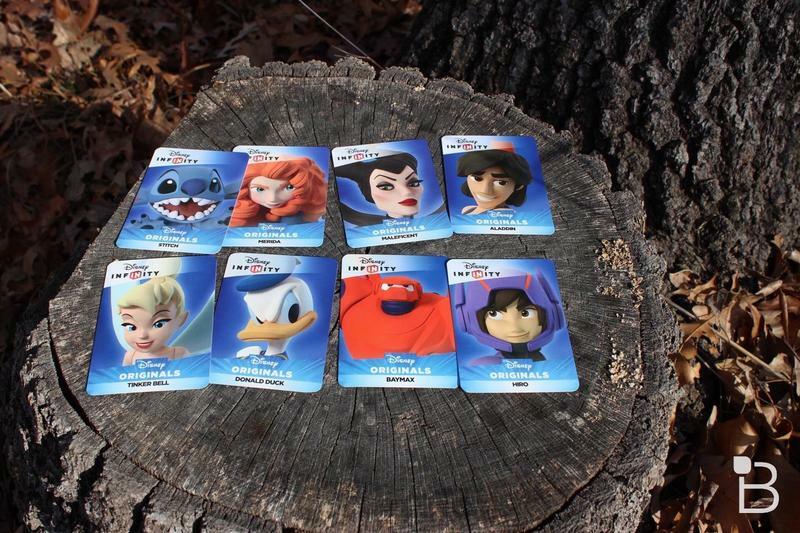 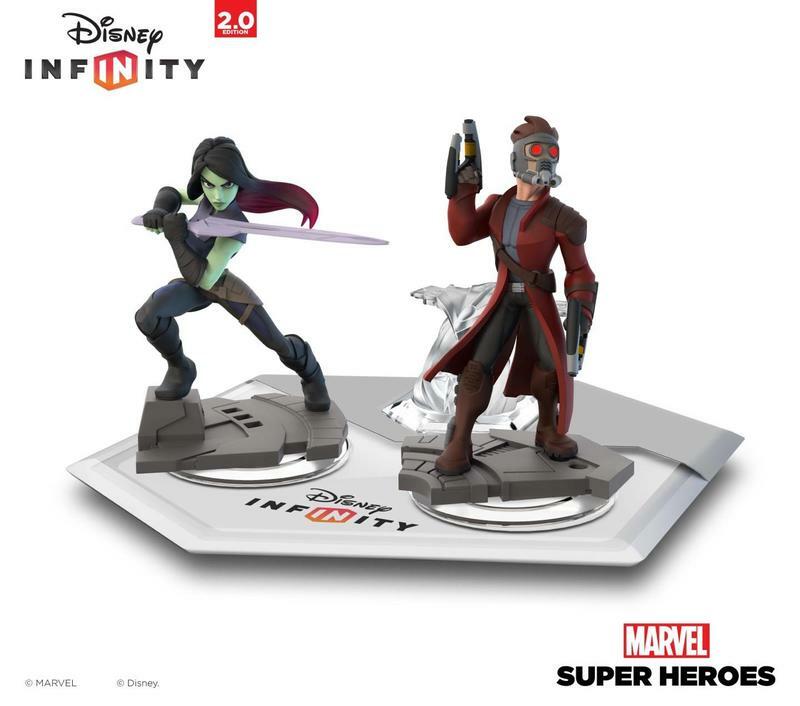 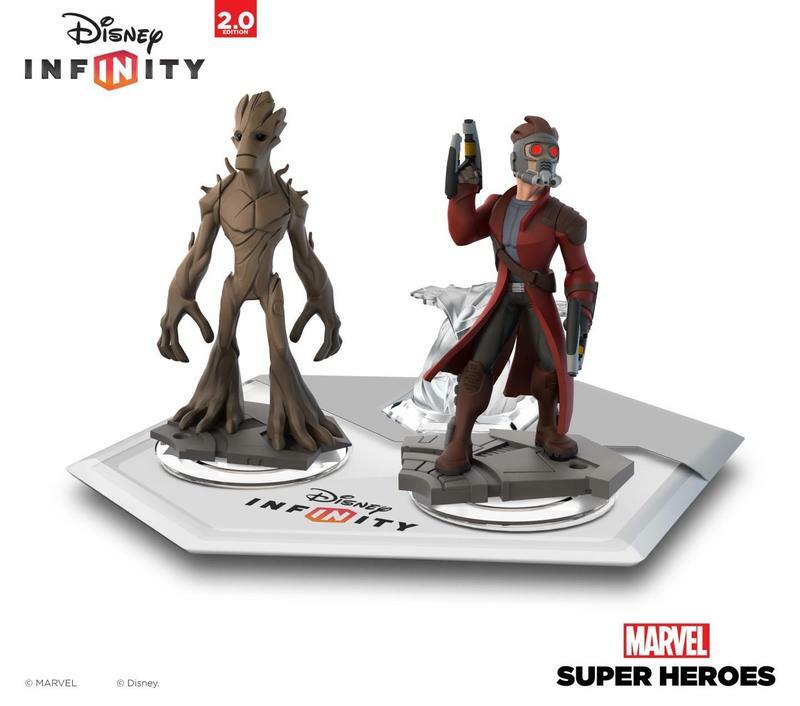 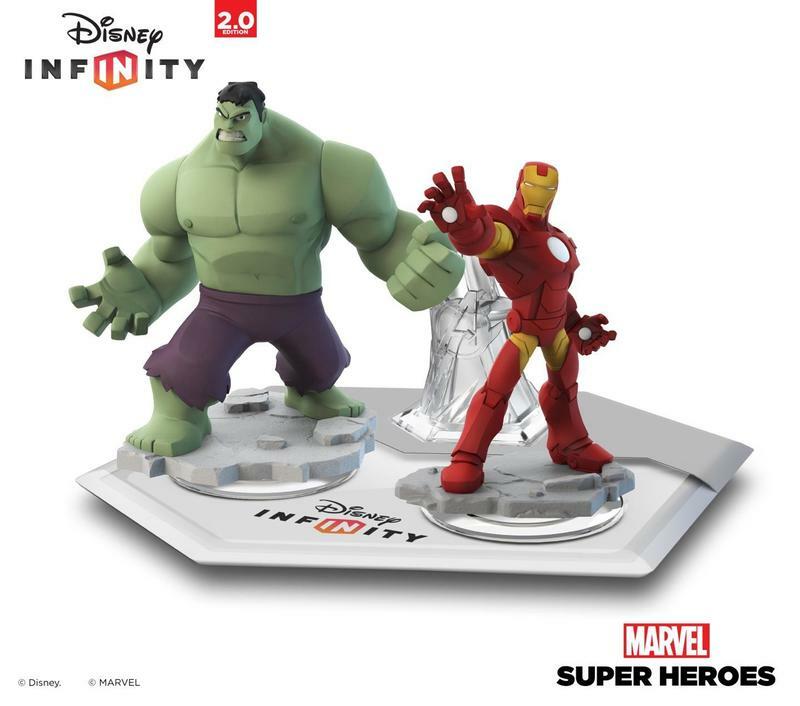 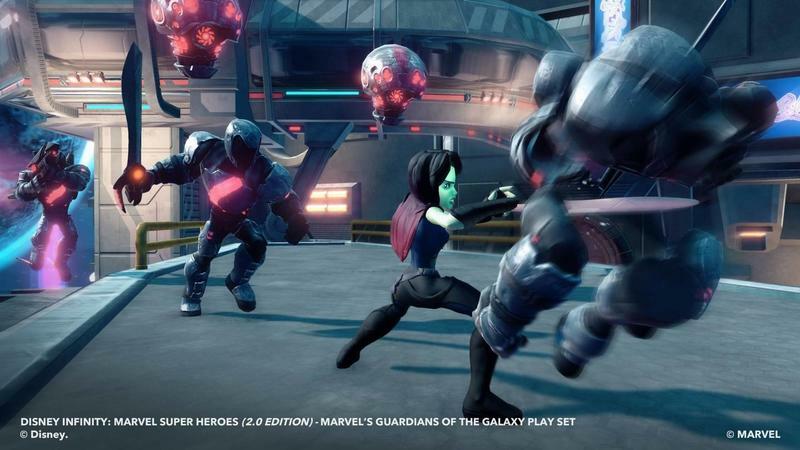 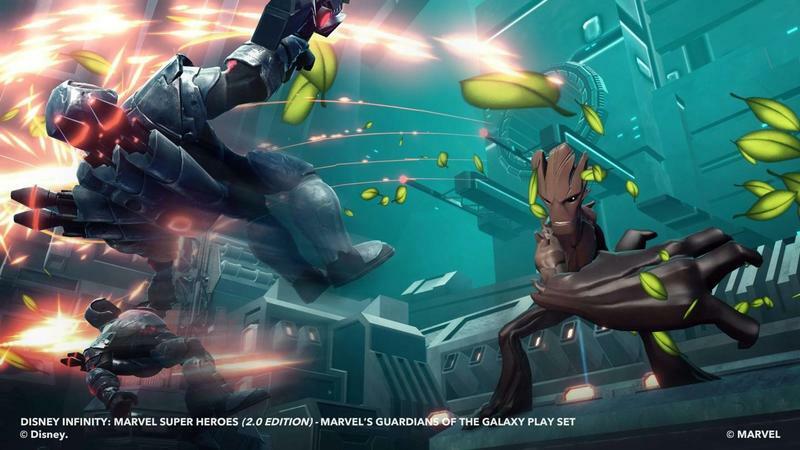 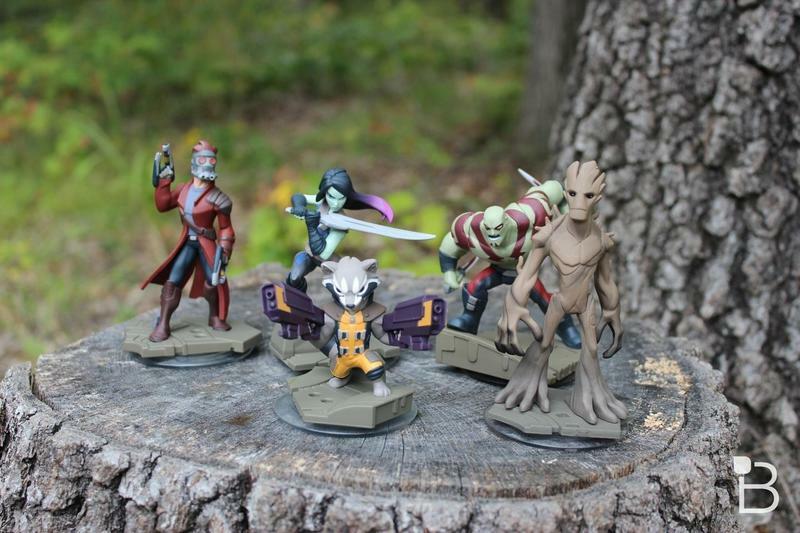 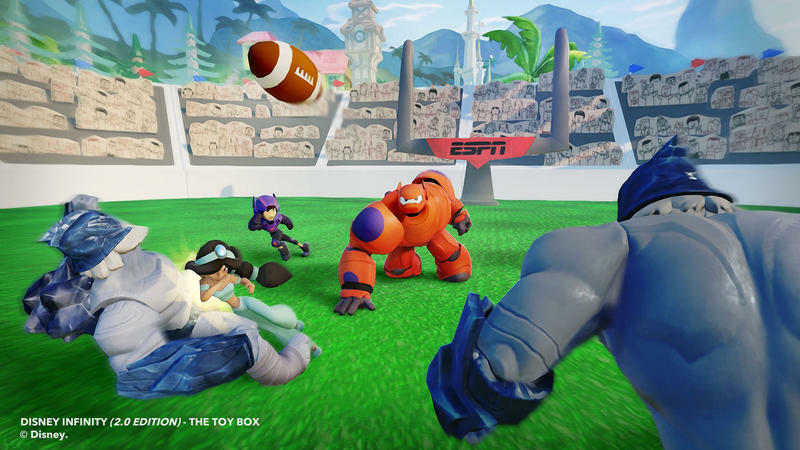 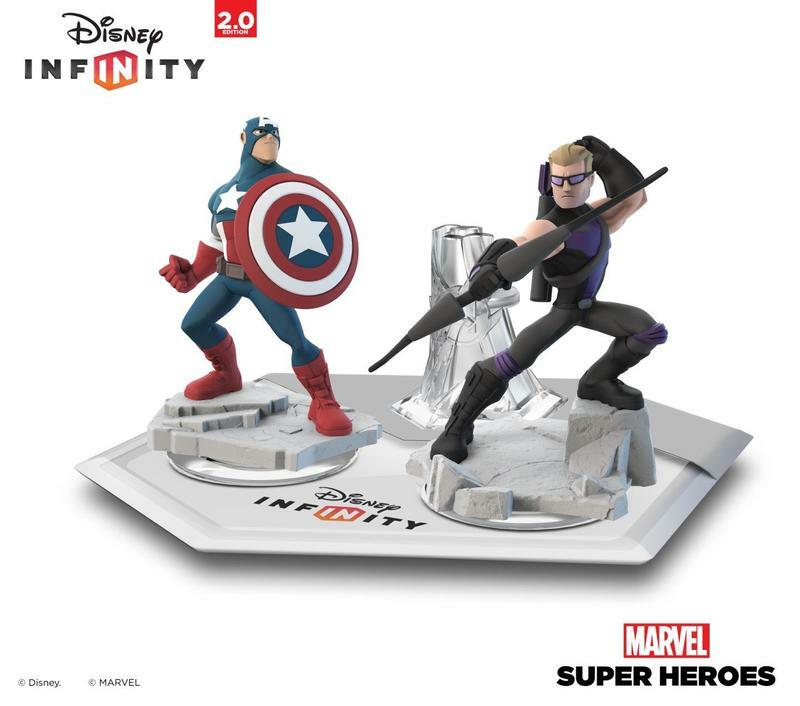 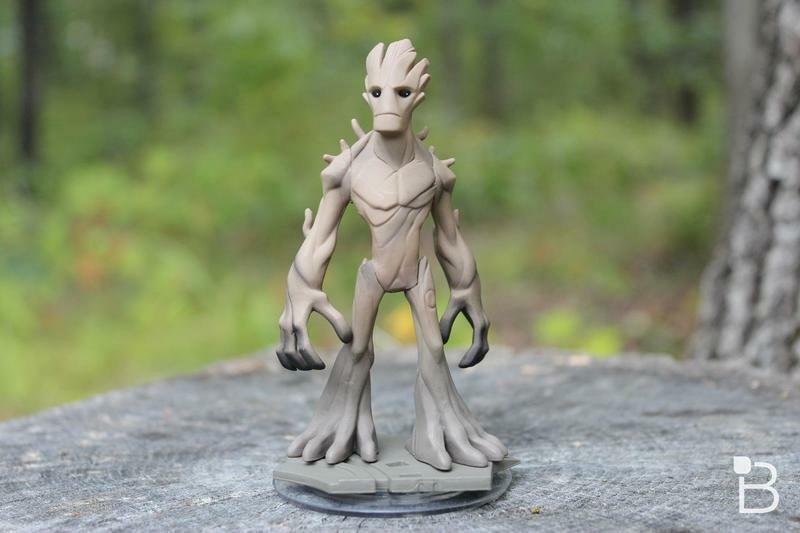 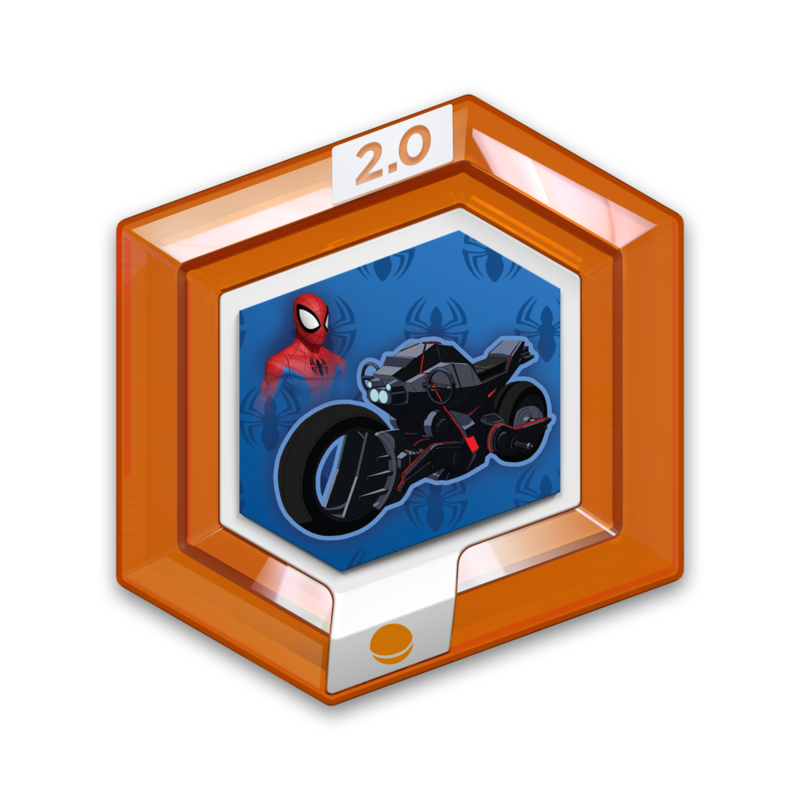 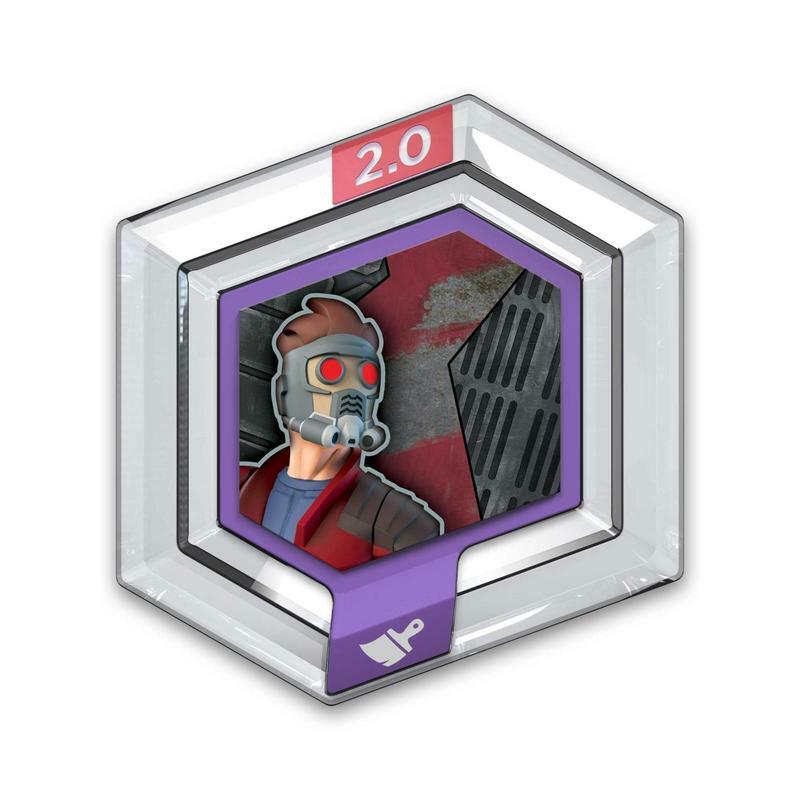 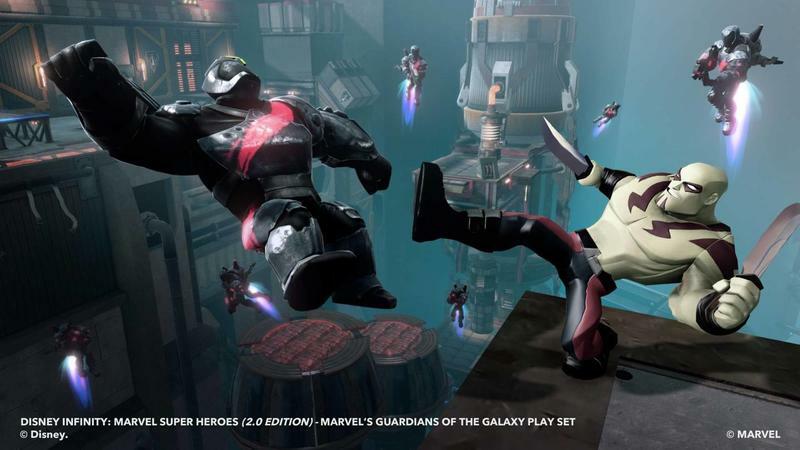 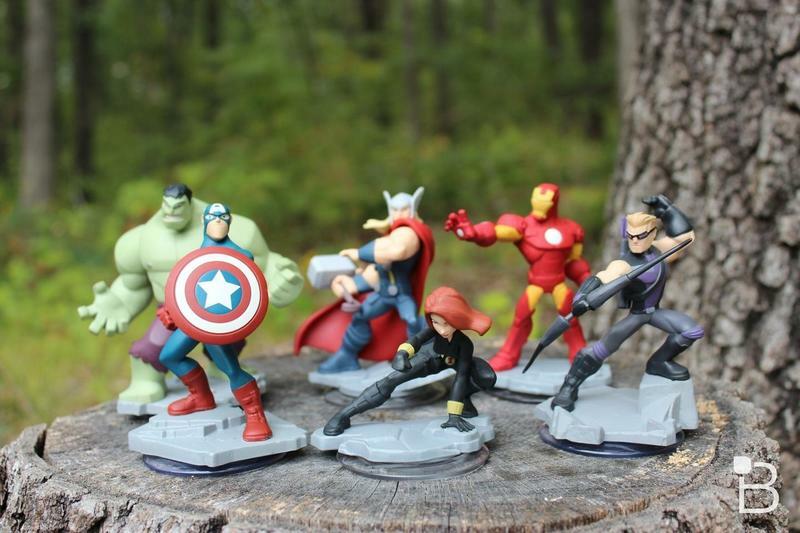 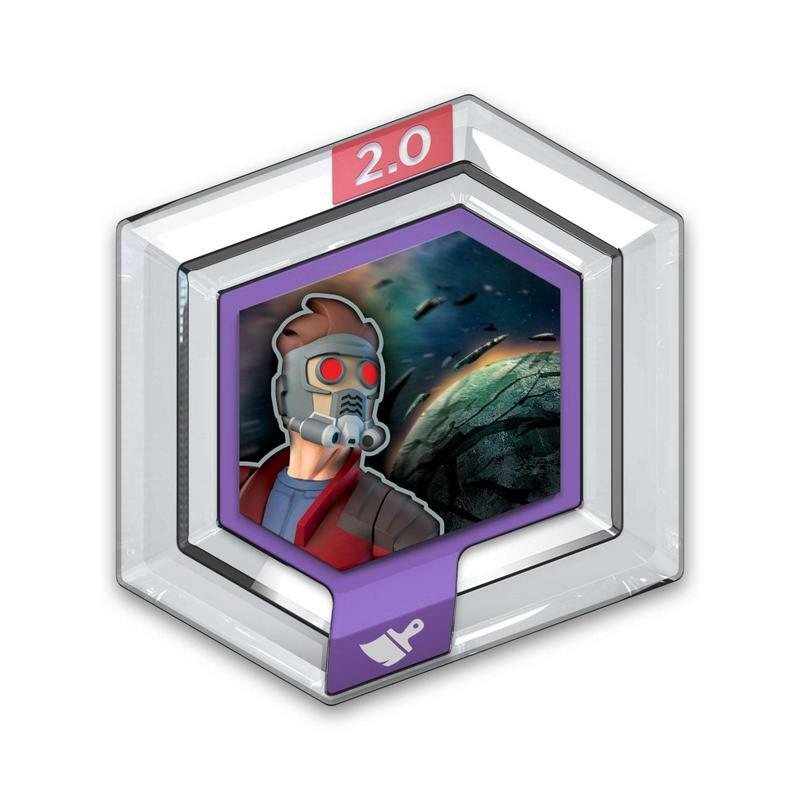 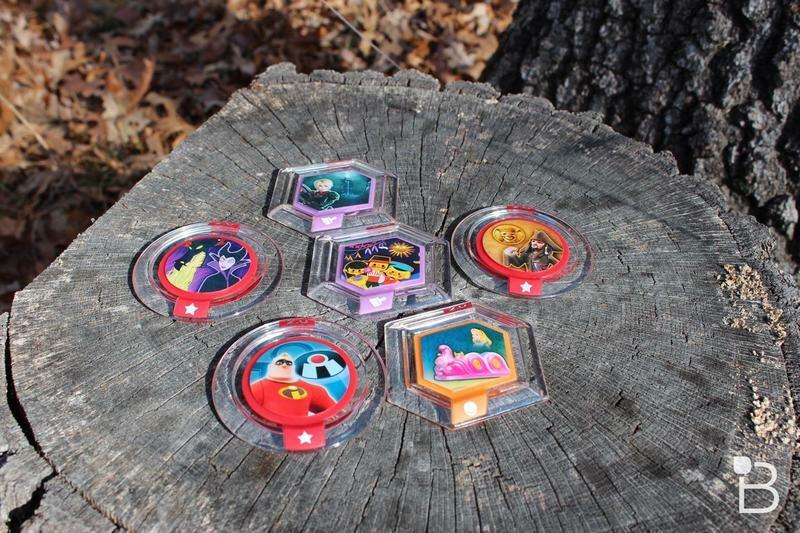 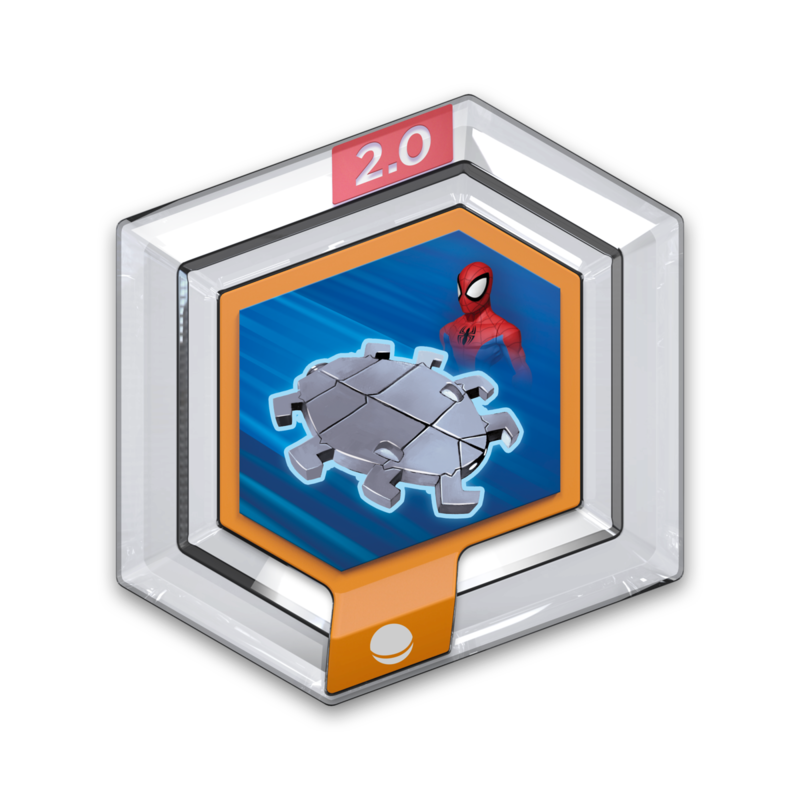 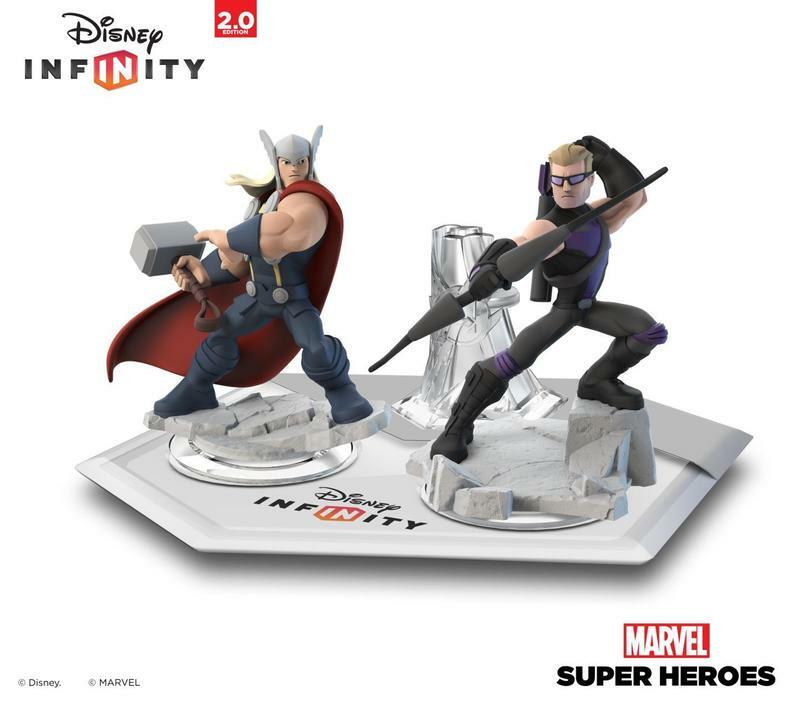 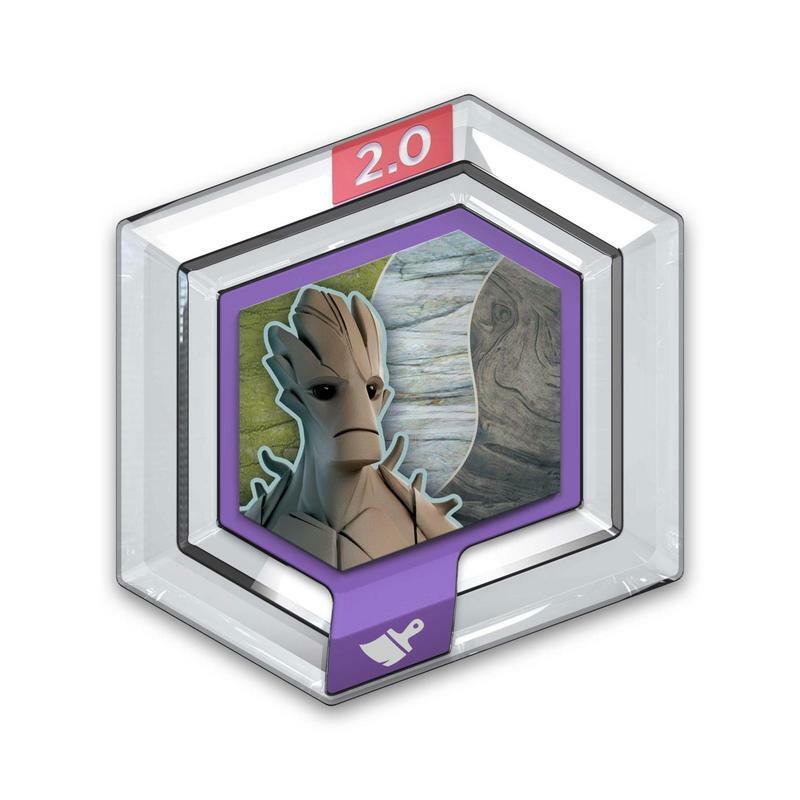 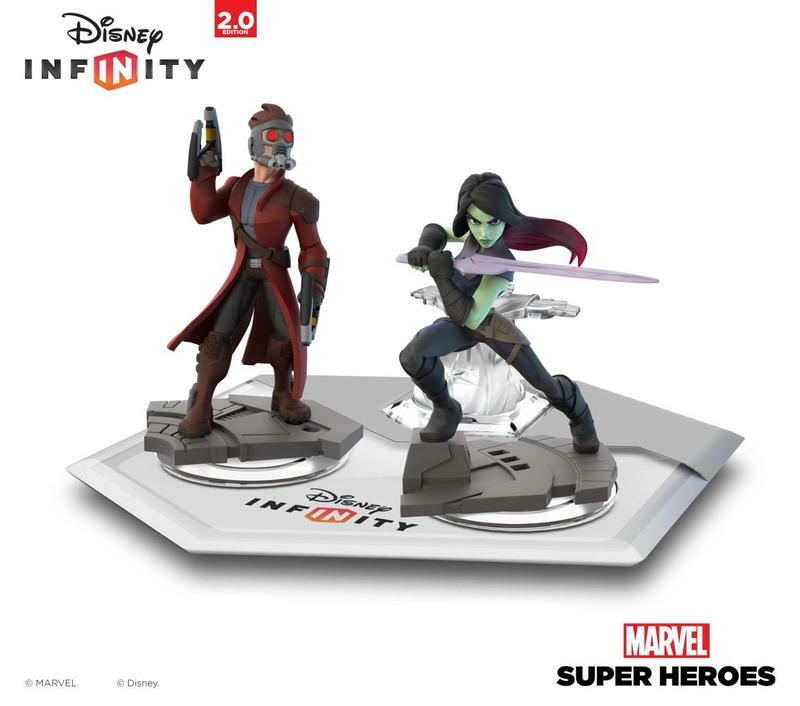 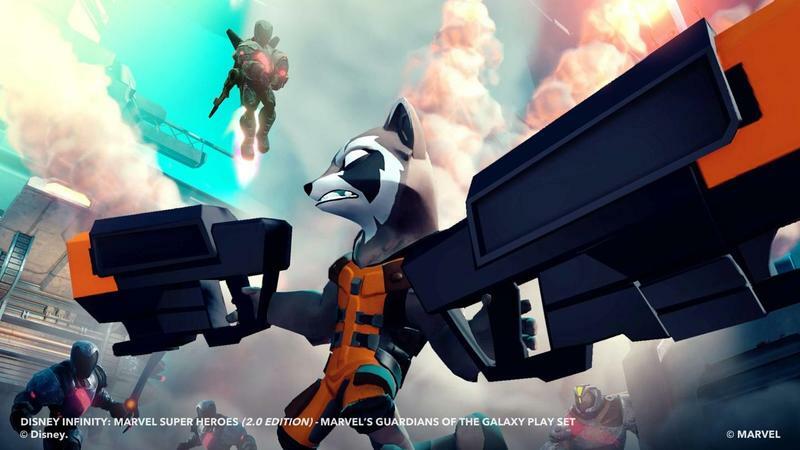 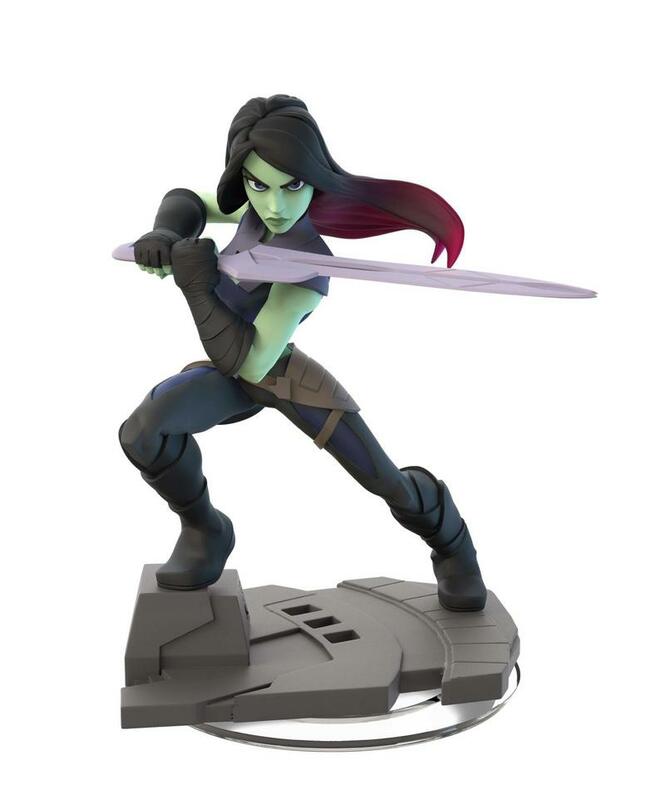 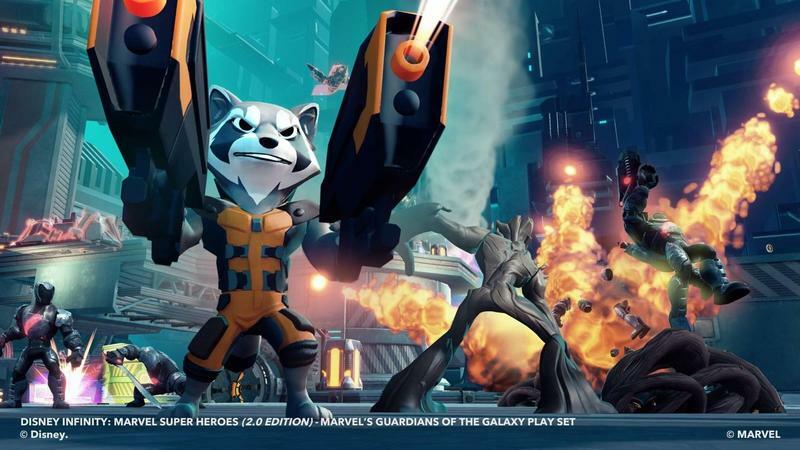 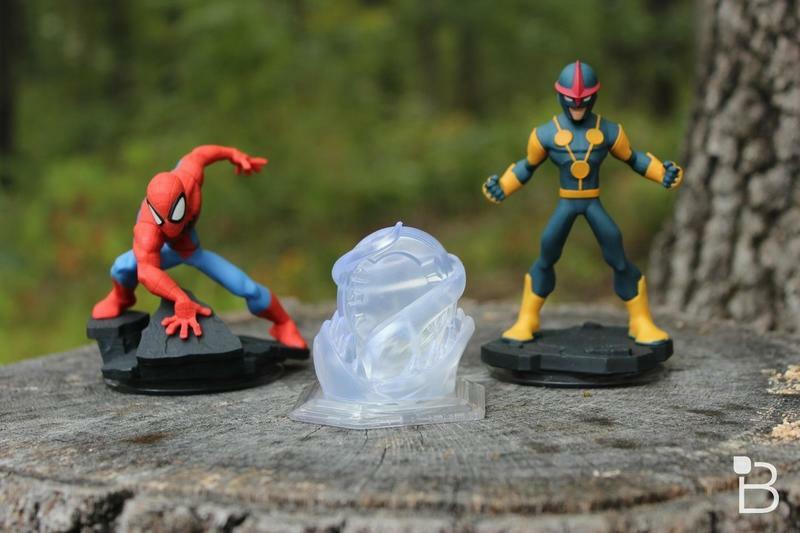 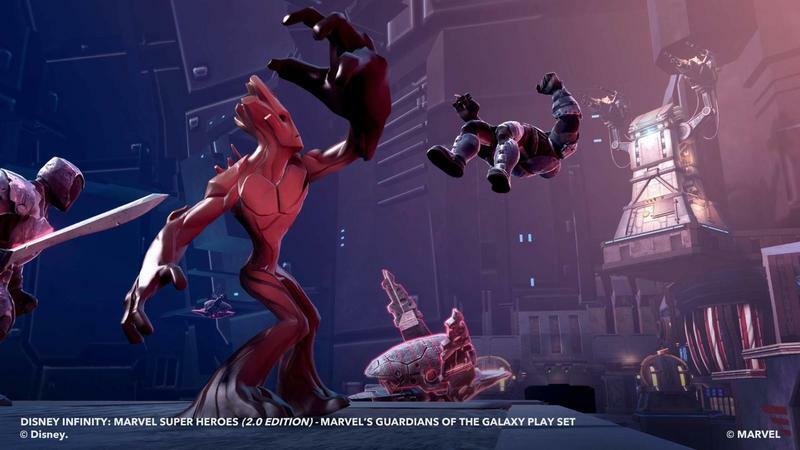 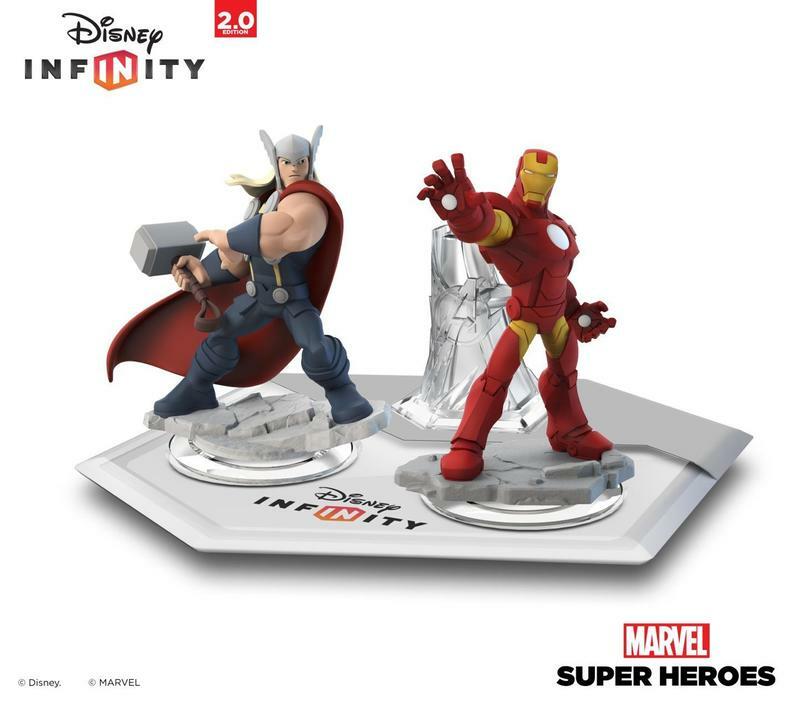 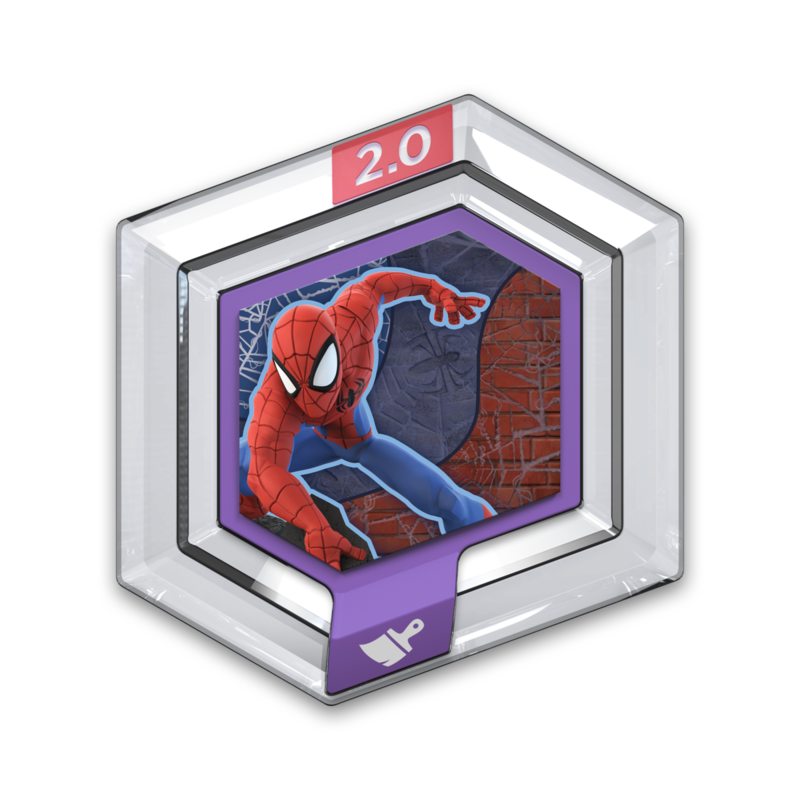 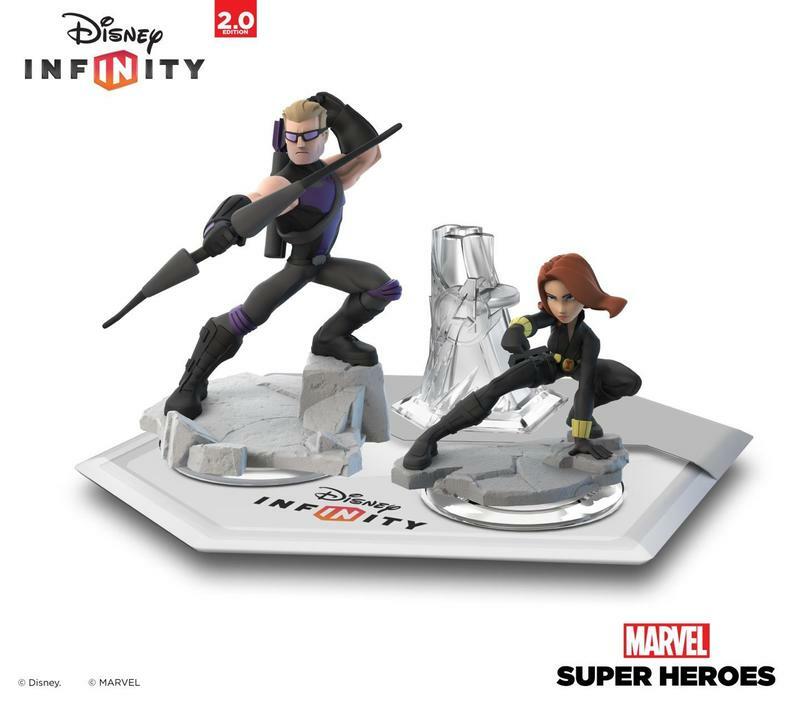 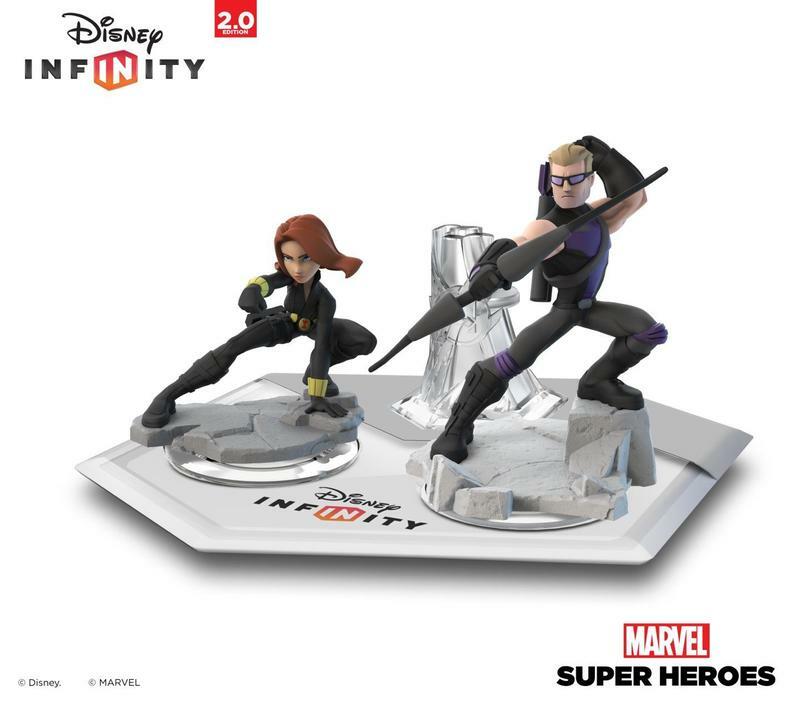 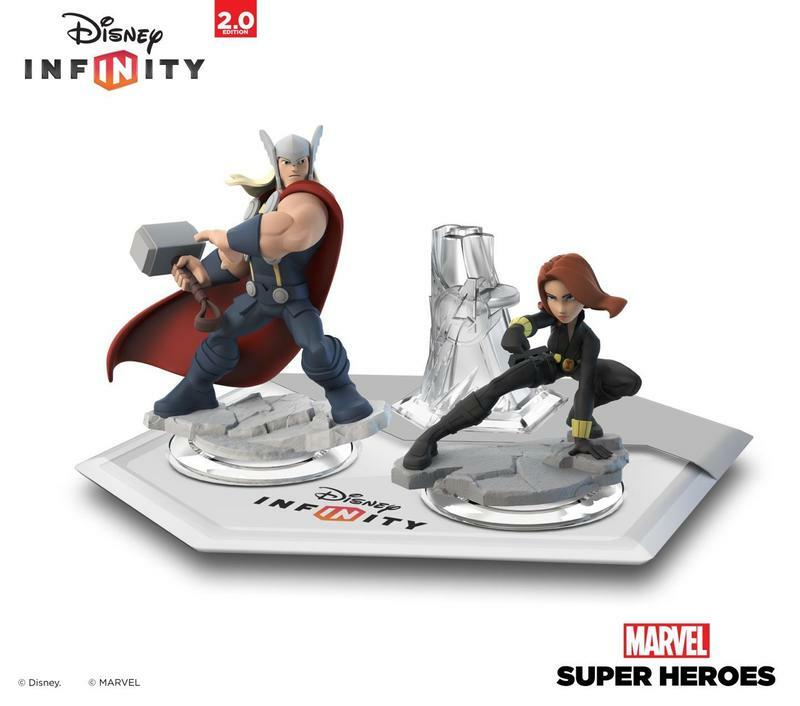 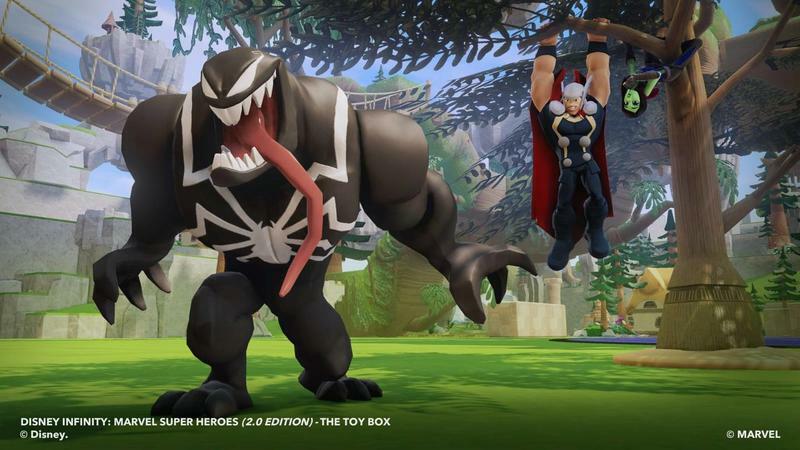 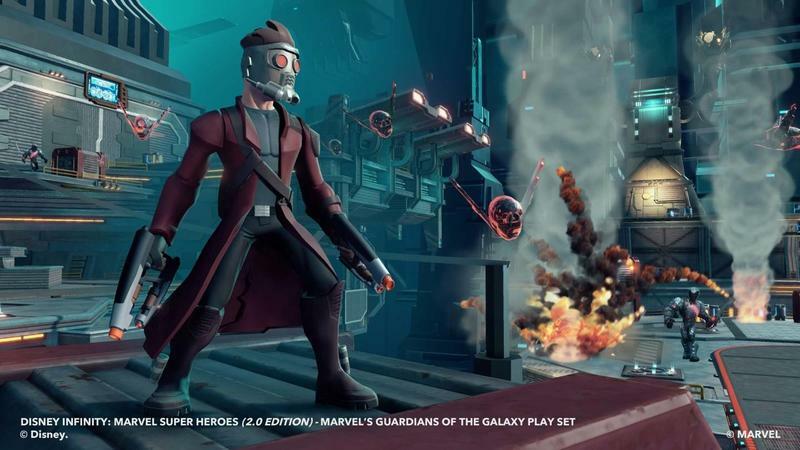 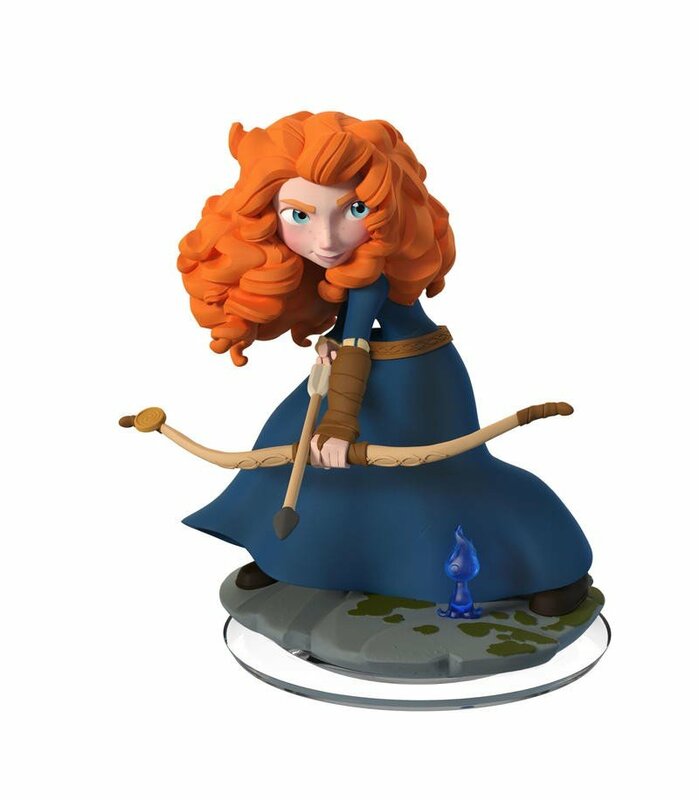 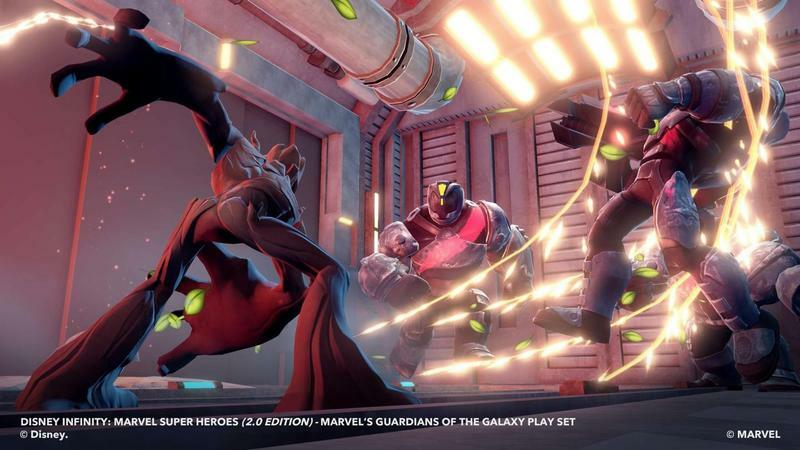 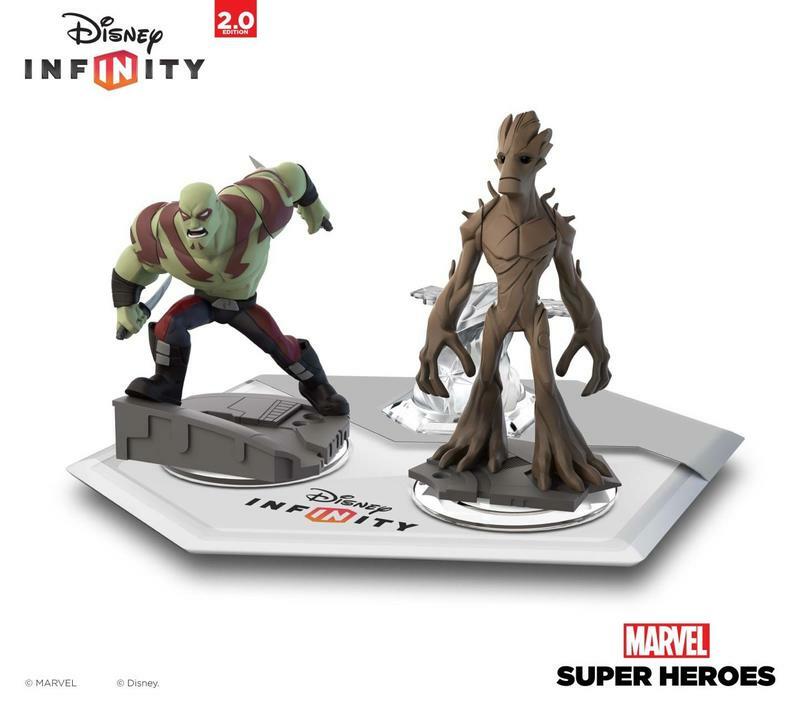 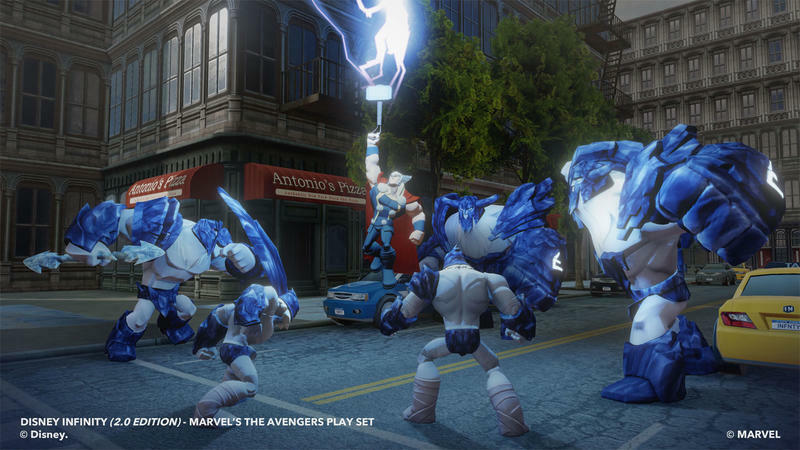 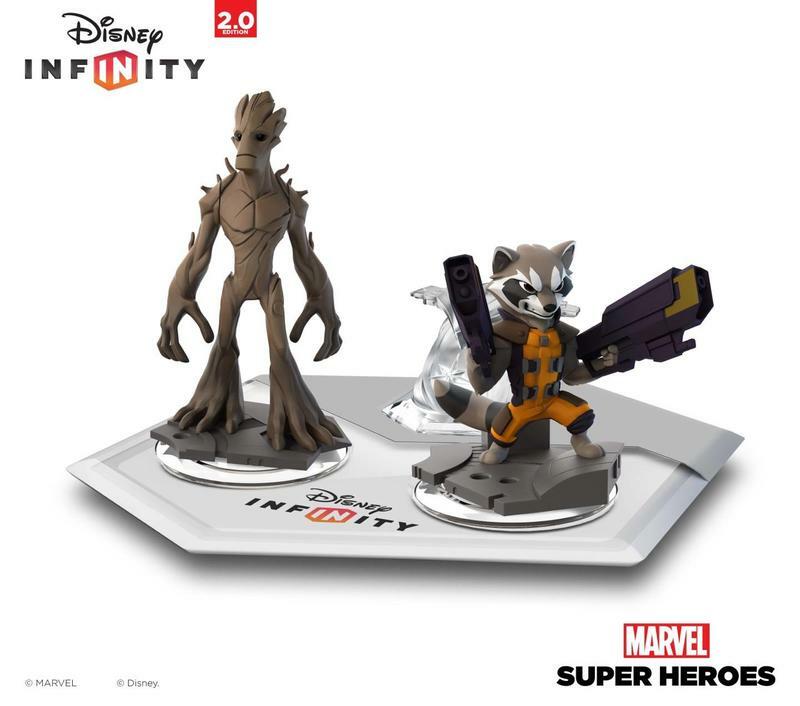 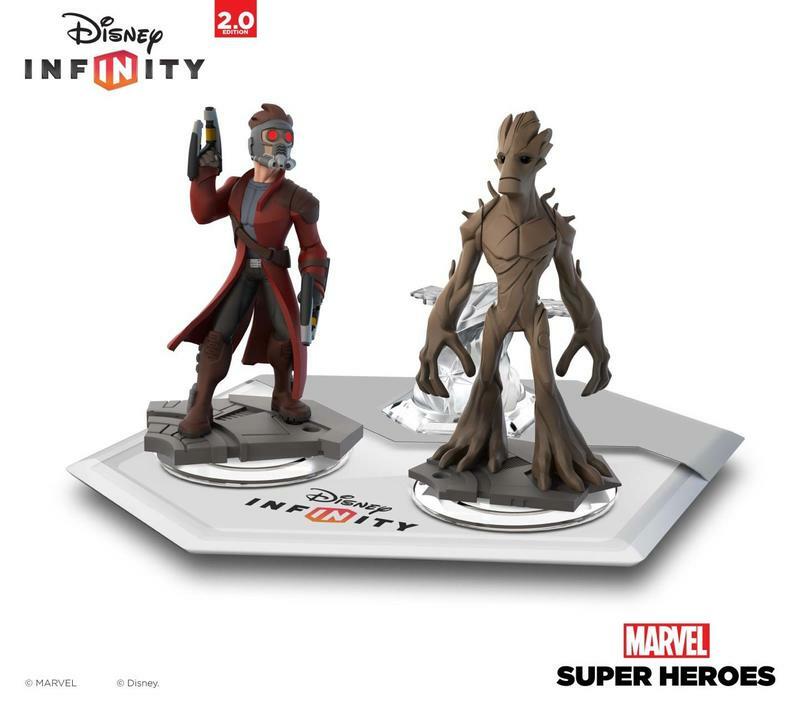 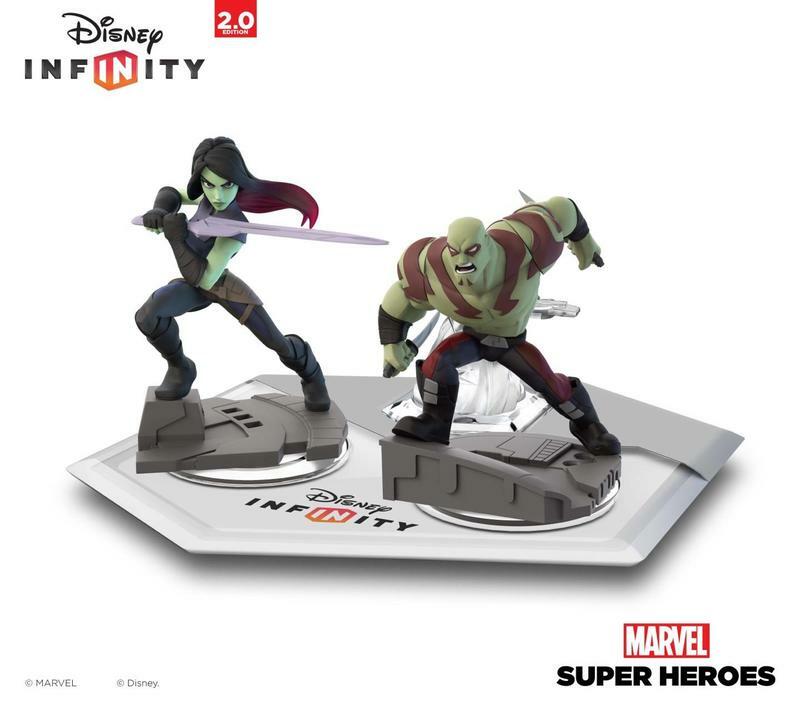 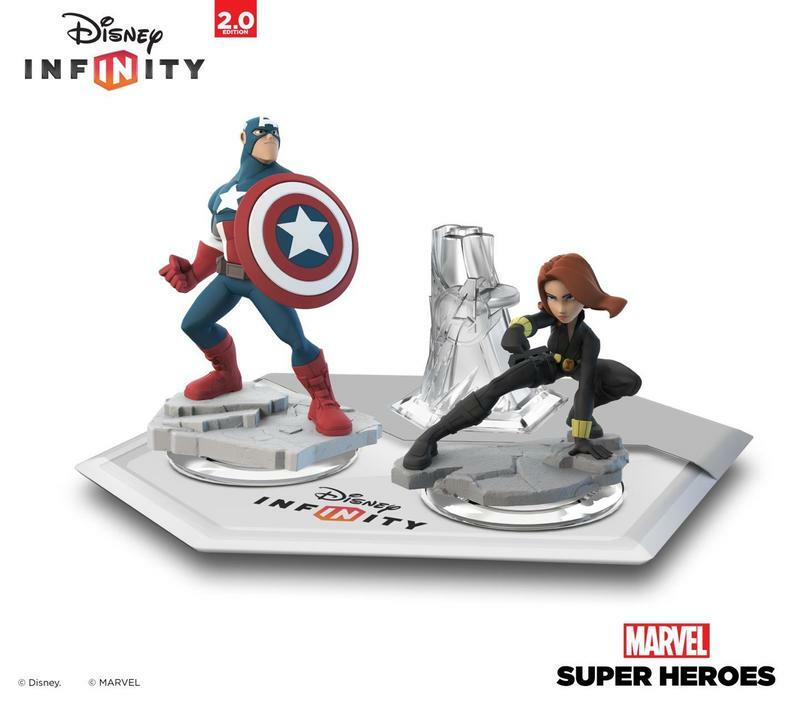 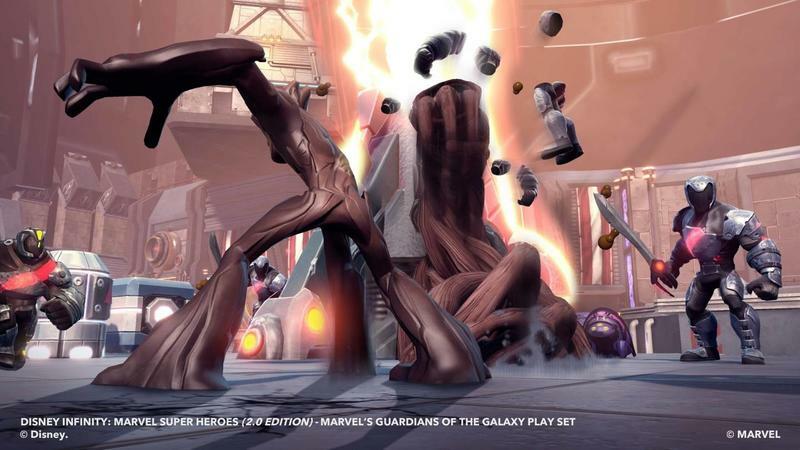 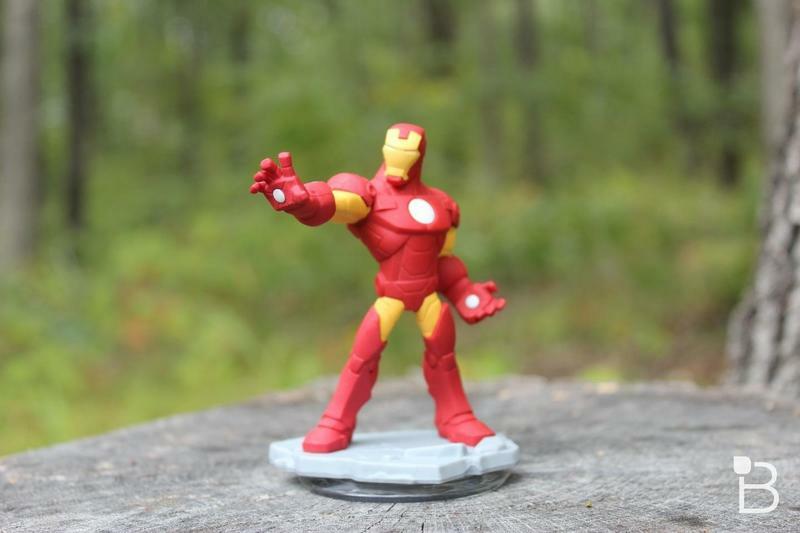 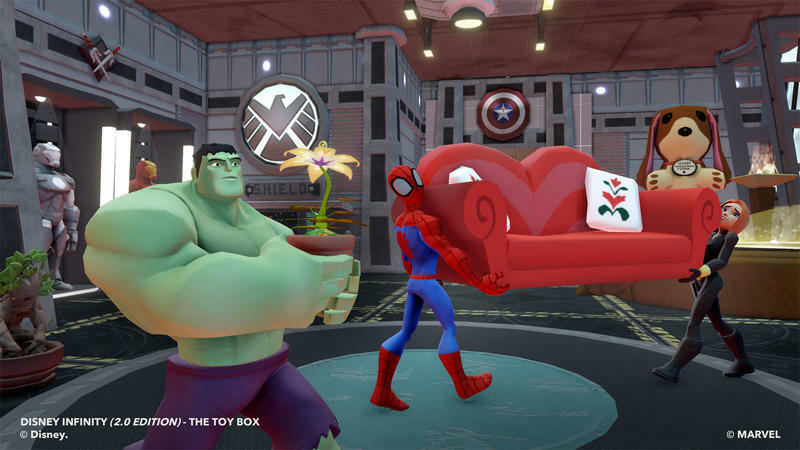 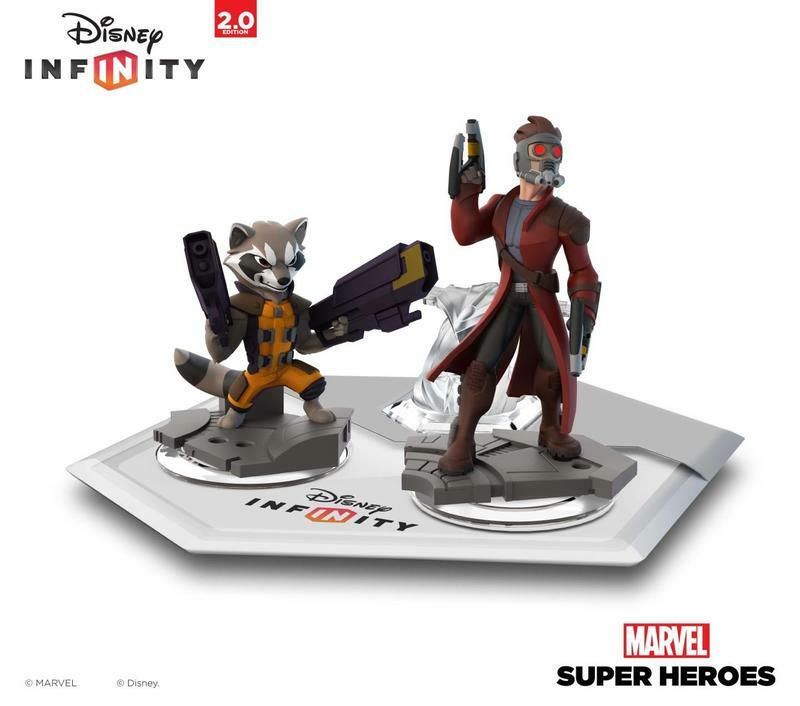 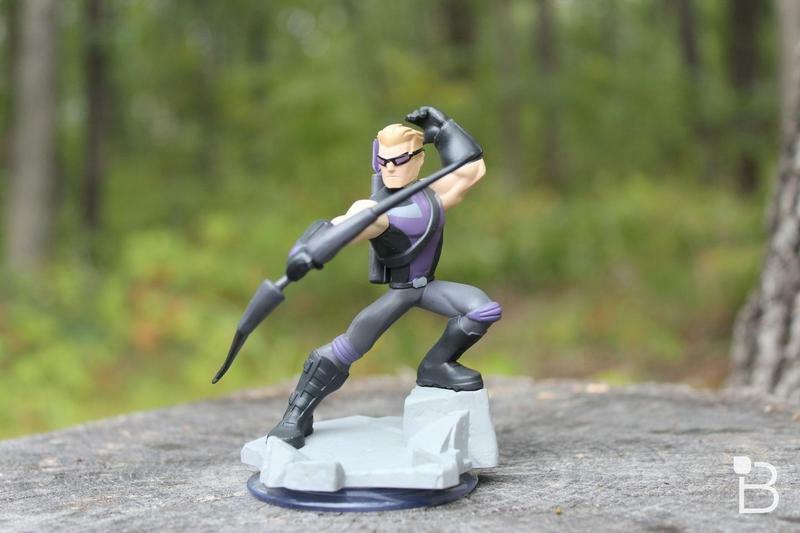 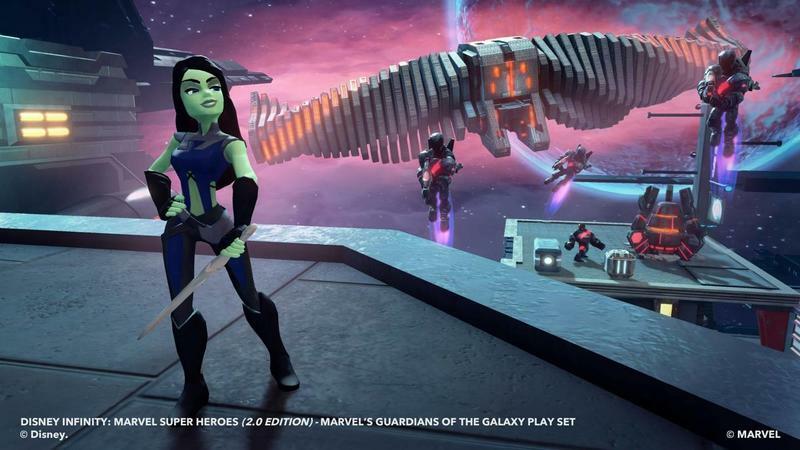 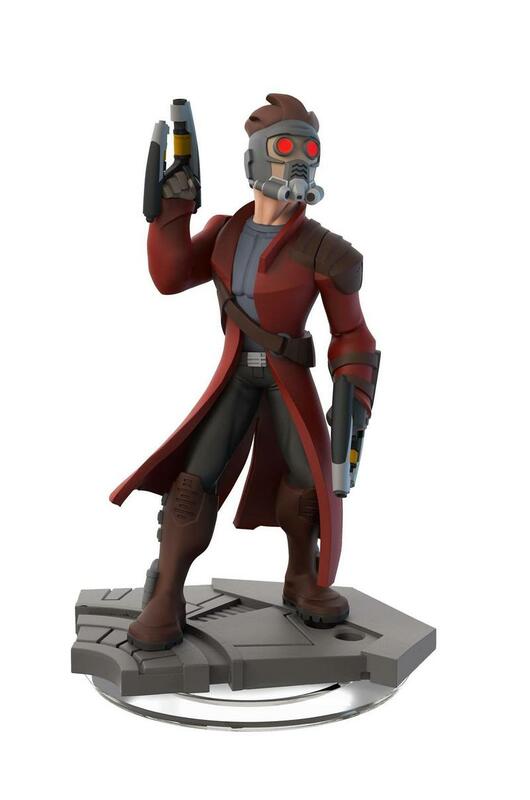 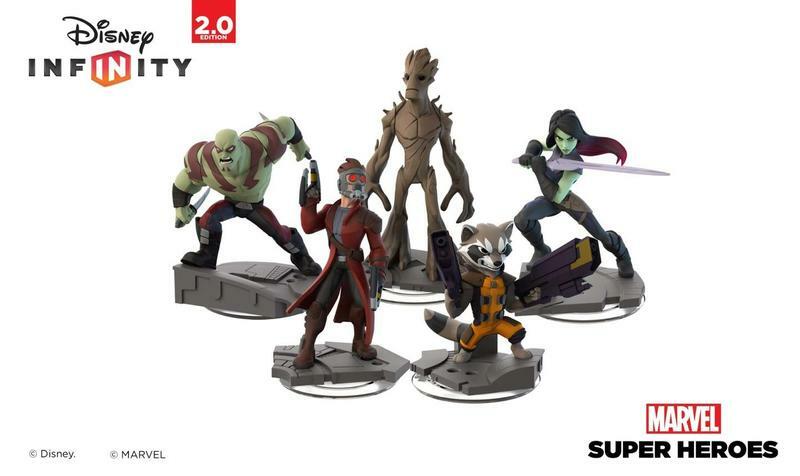 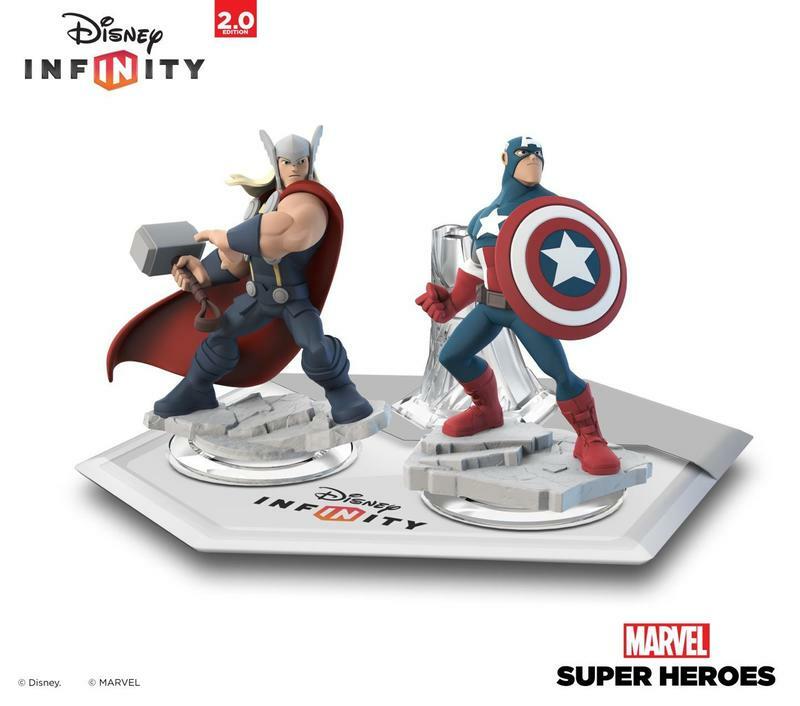 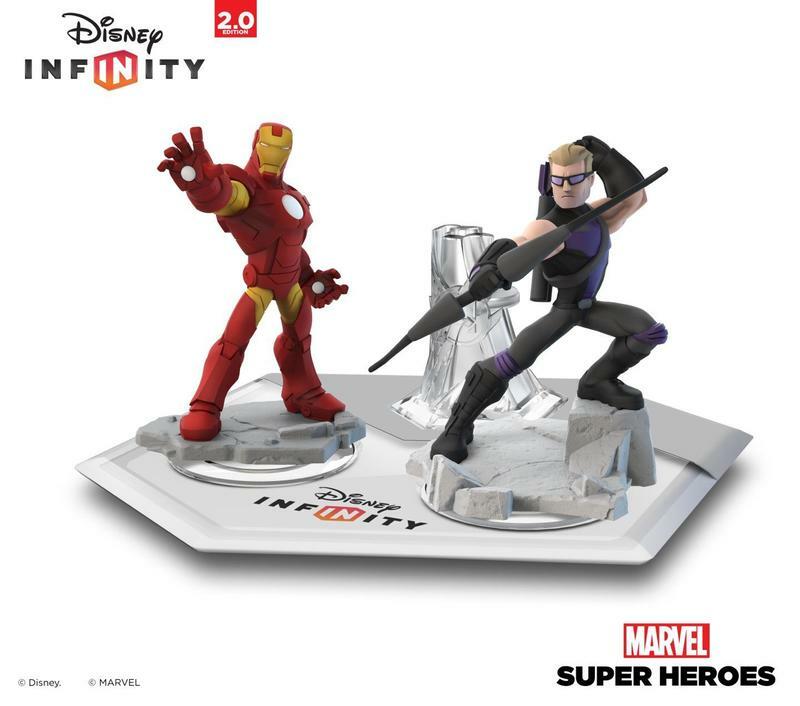 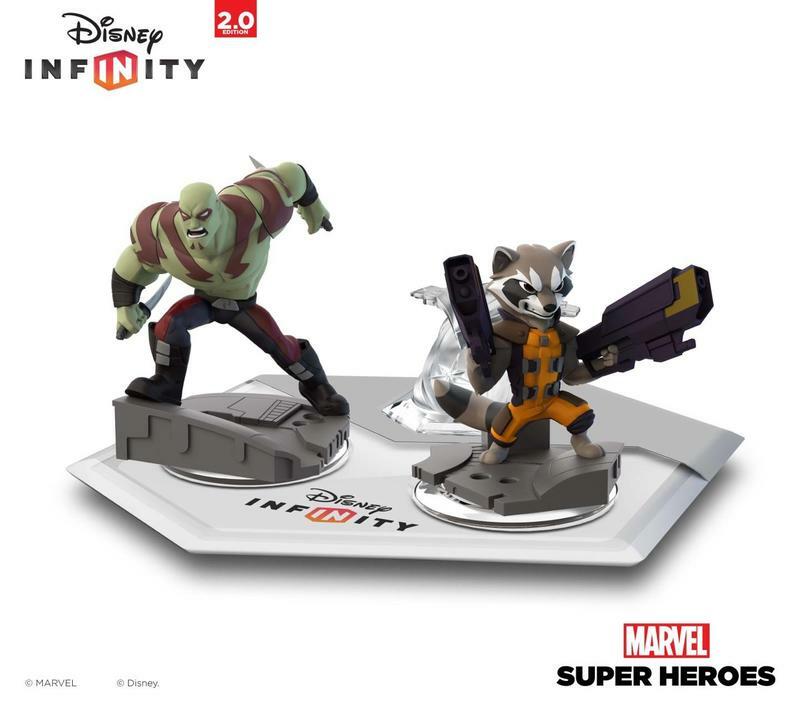 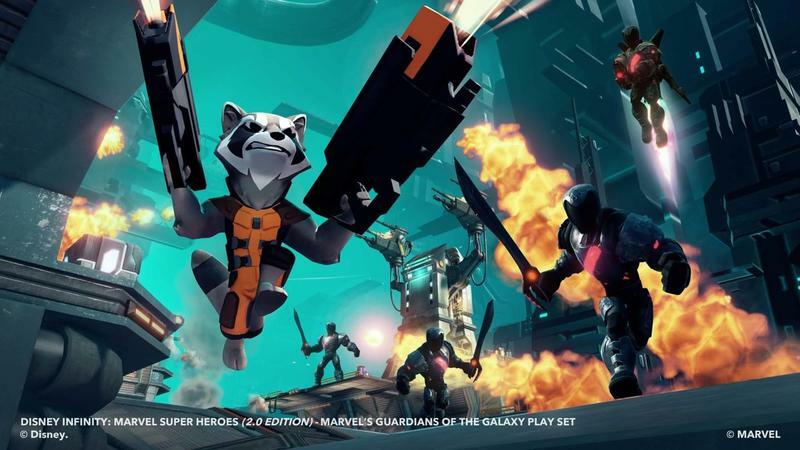 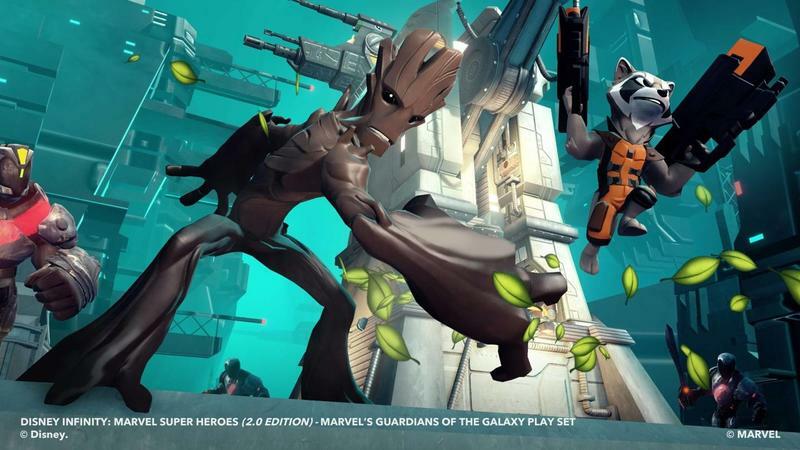 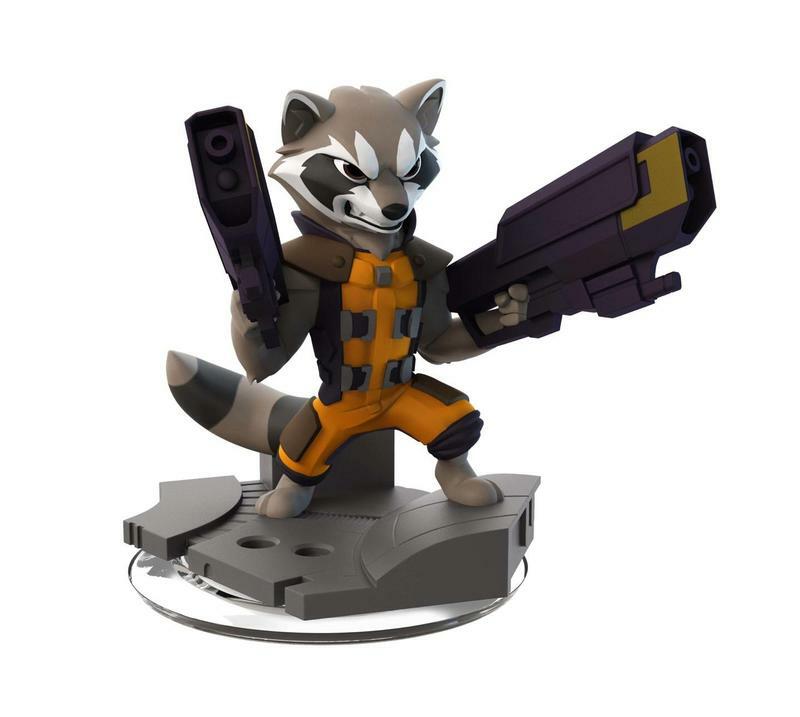 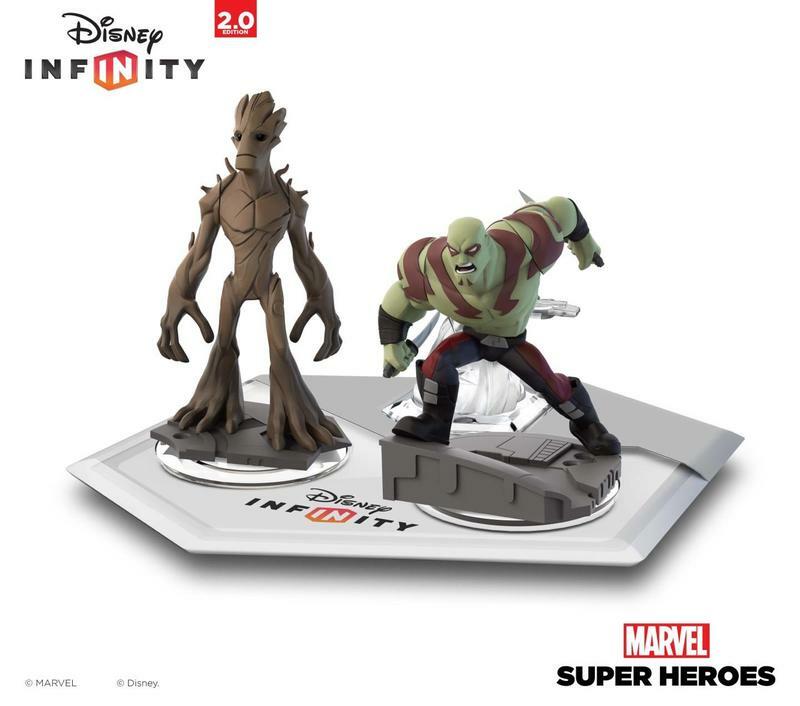 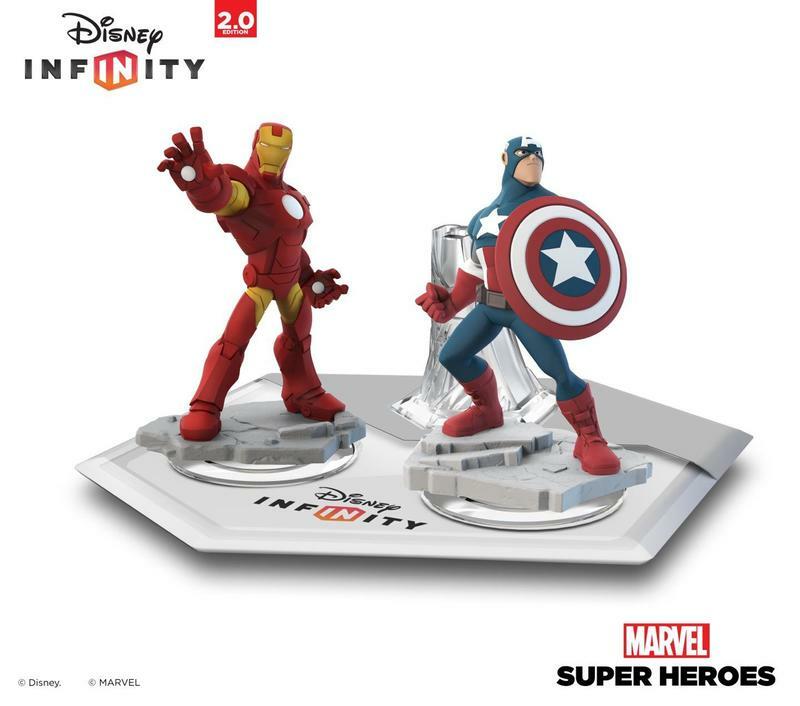 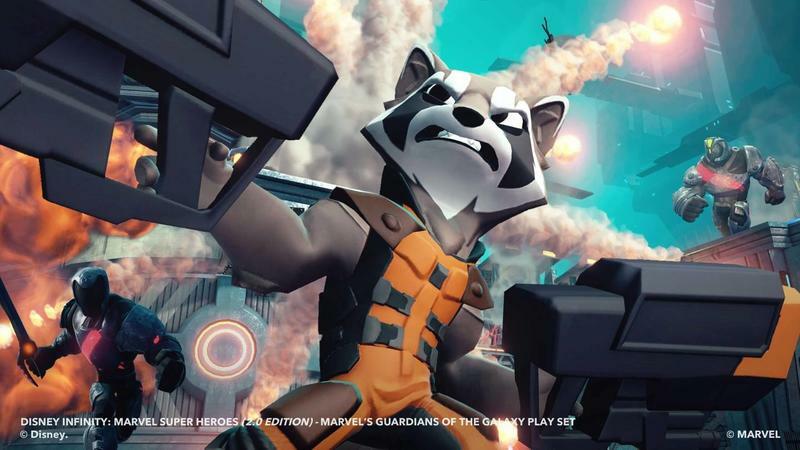 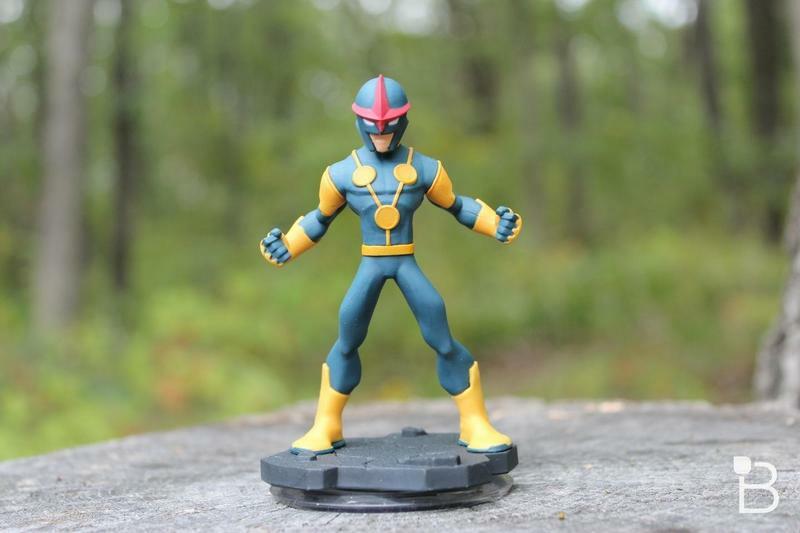 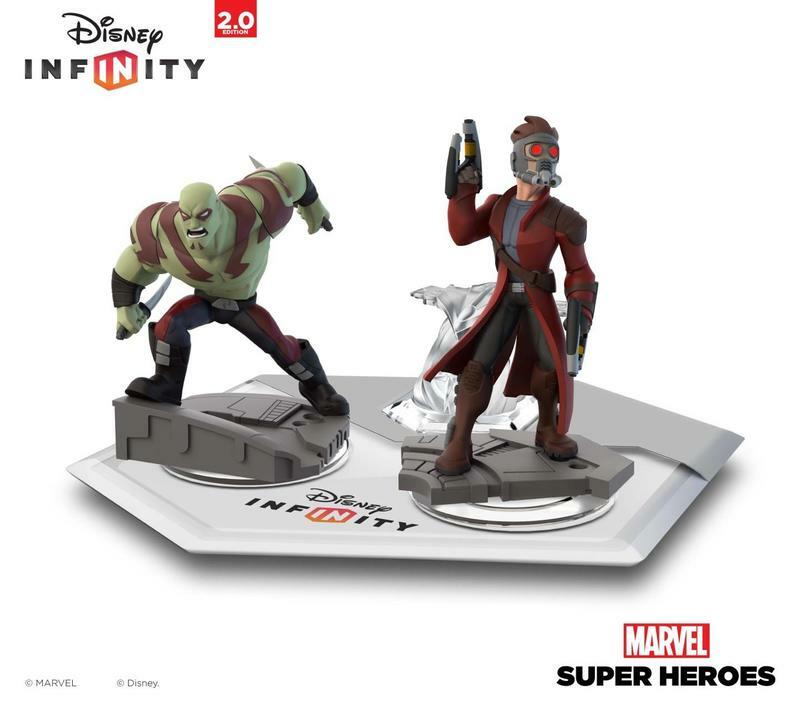 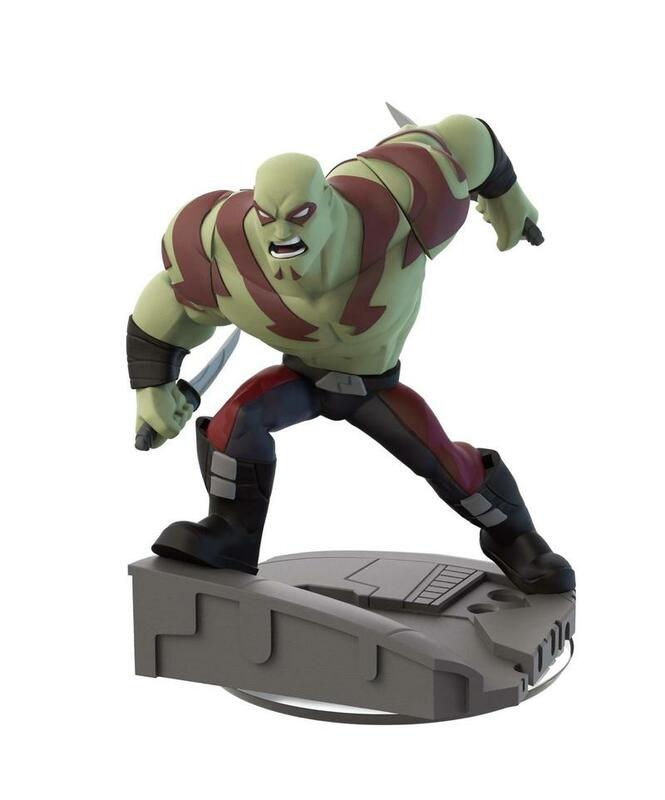 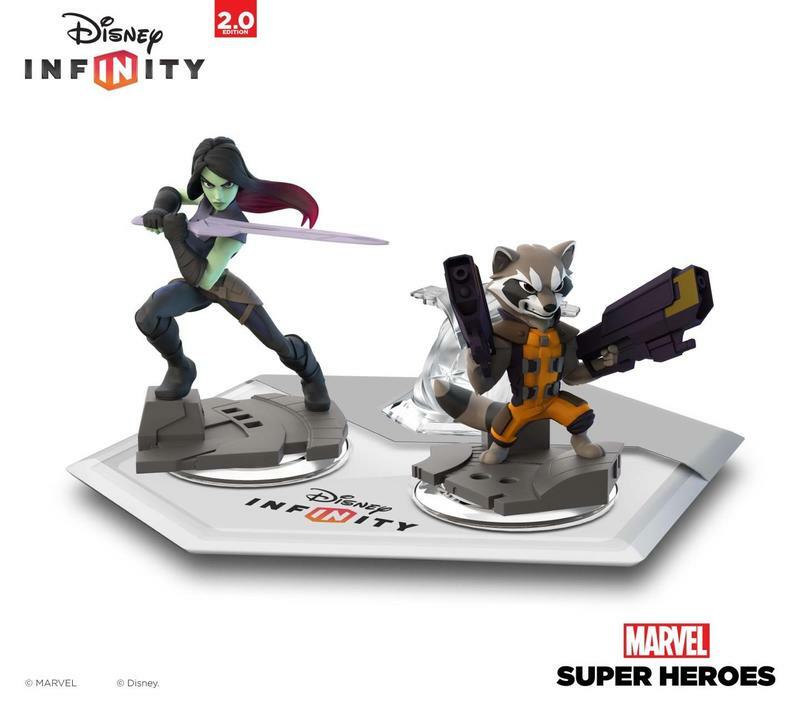 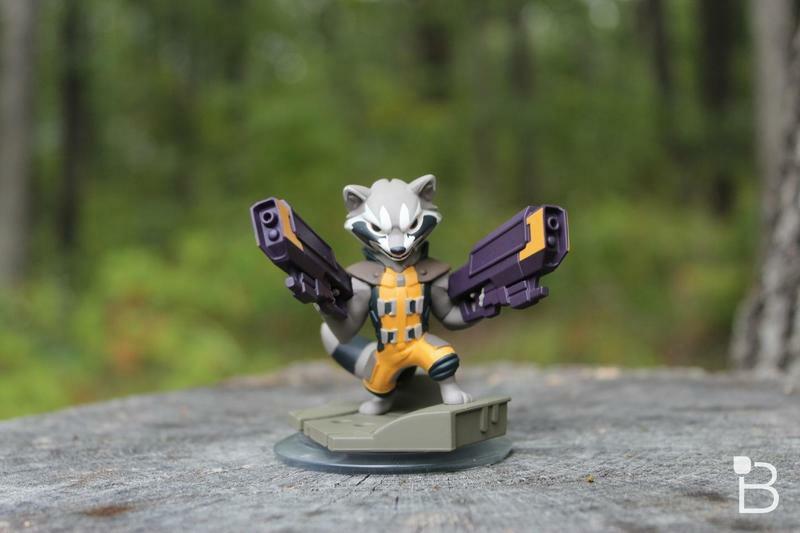 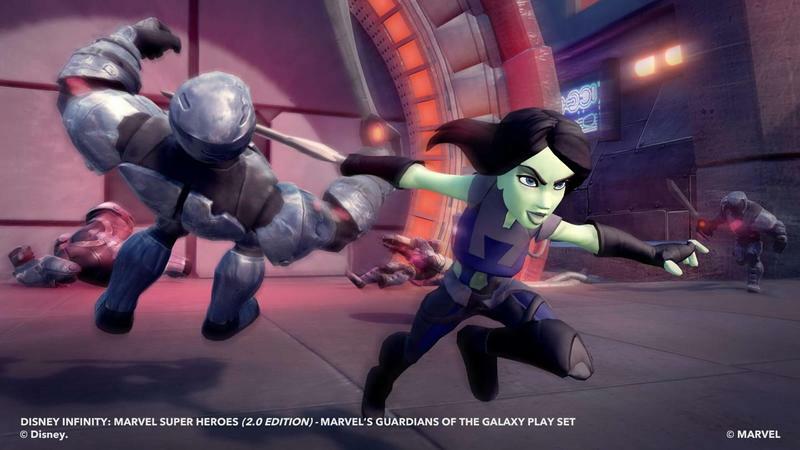 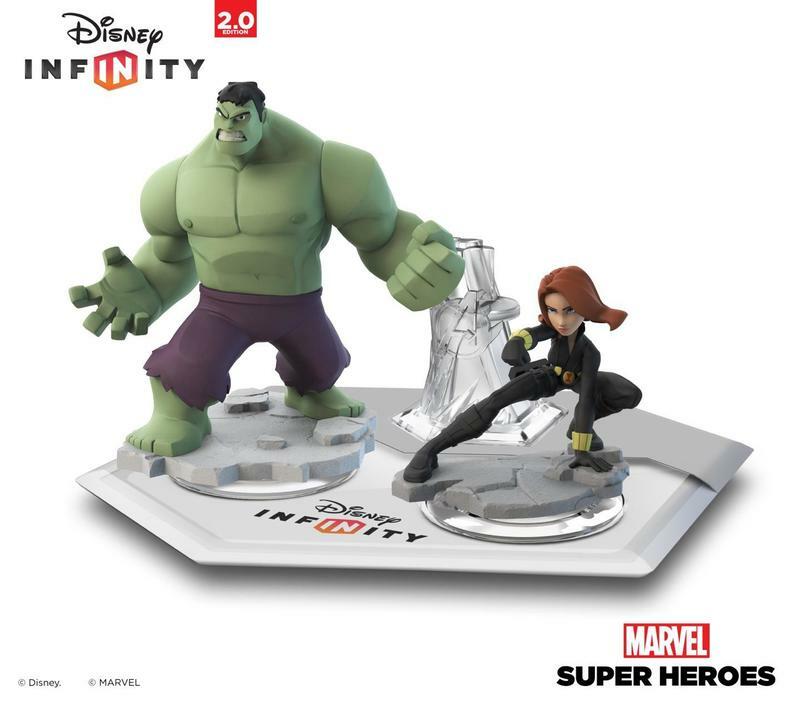 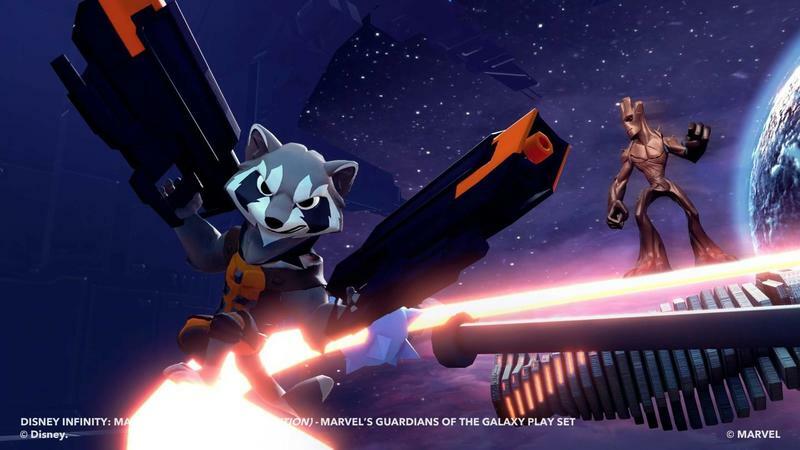 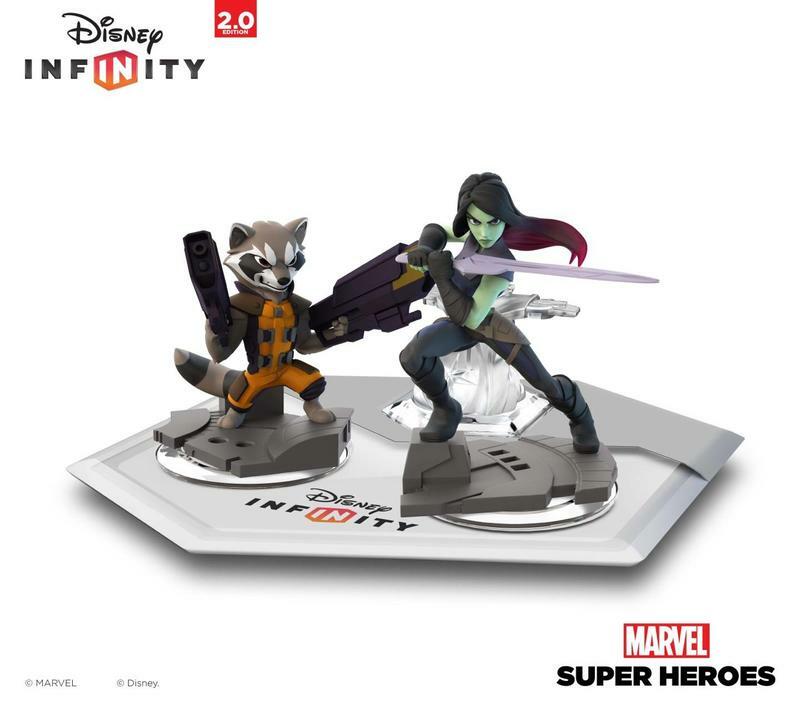 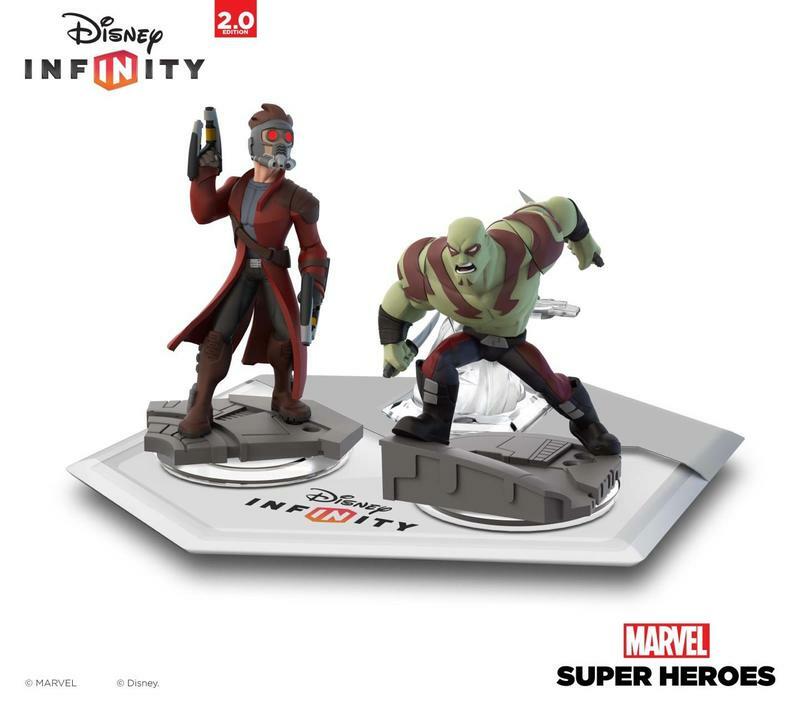 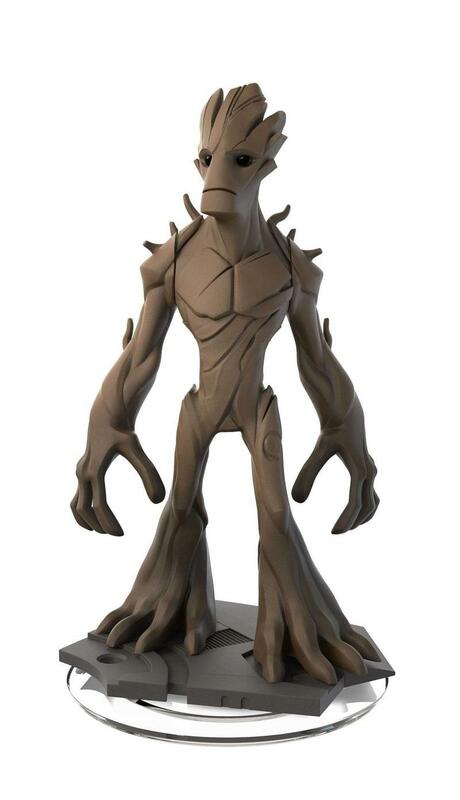 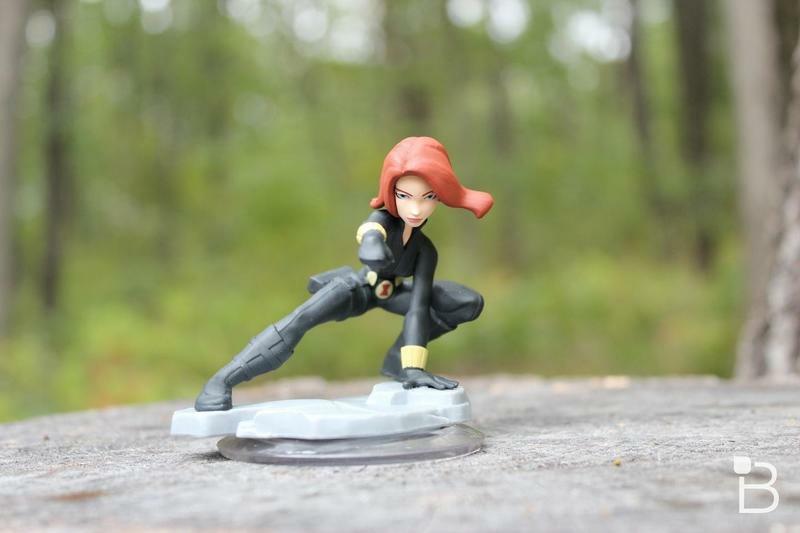 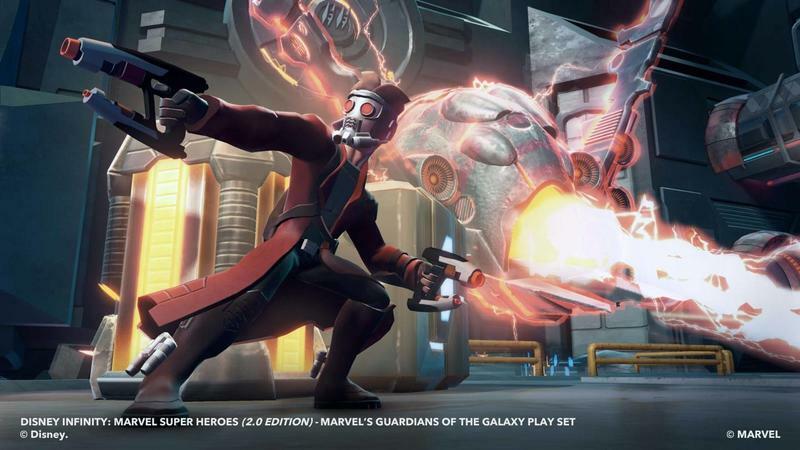 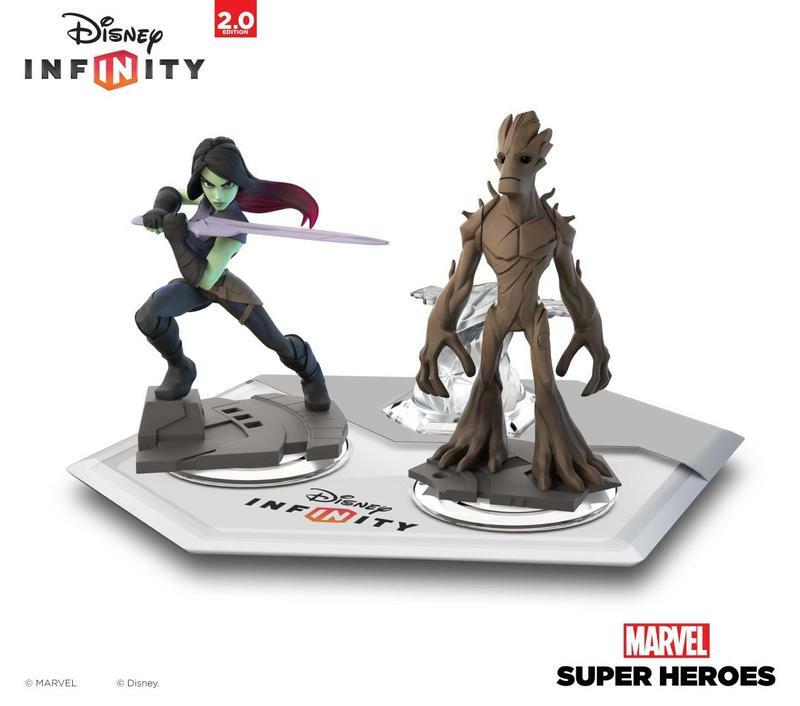 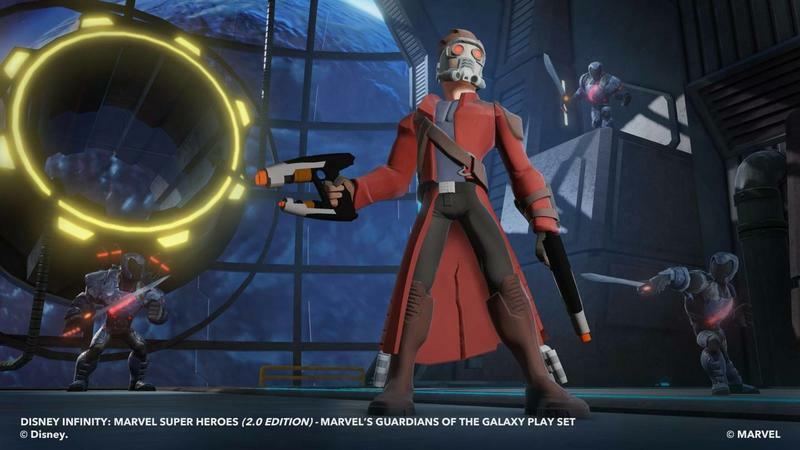 In the all-new game, players use real-world interactive figures to activate original storylines (Play Sets) in the virtual game worlds of popular Marvel franchises and create new adventures with other Disney Infinity characters in the Toy Box mode. 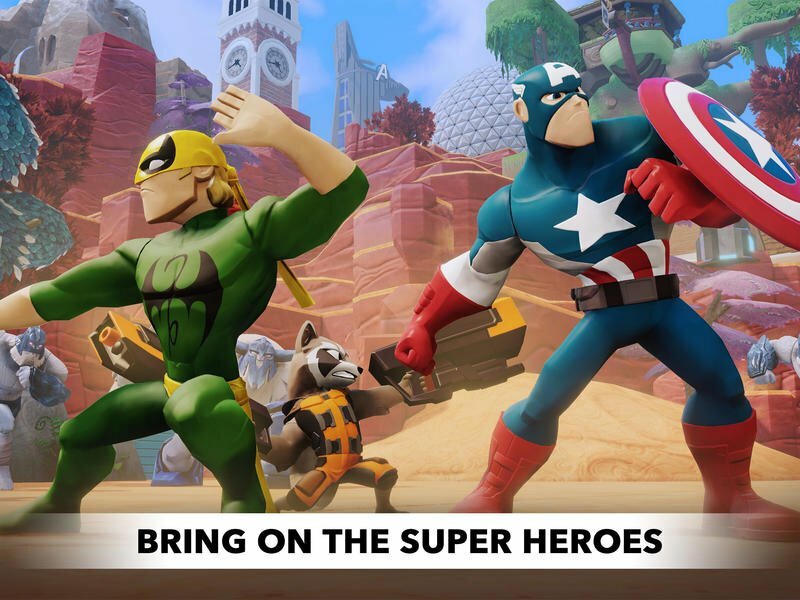 Disney Infinity: Marvel Super Heroes is available now for PlayStation 4, PlayStation 3, Xbox One, Xbox360, Wii-U and PC platforms. 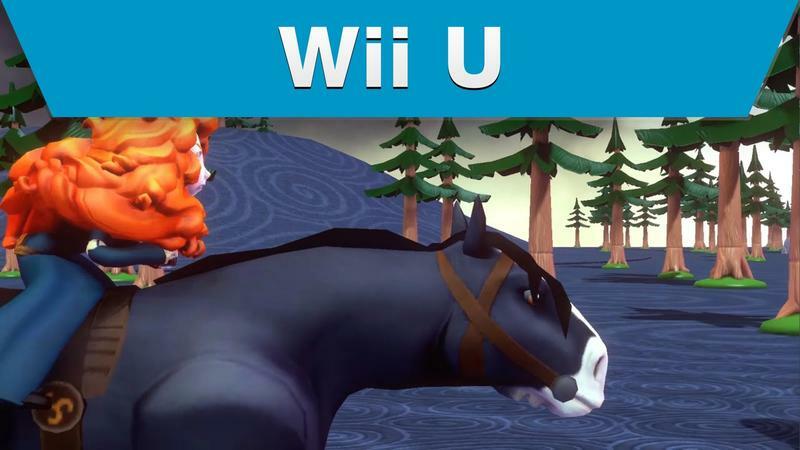 The game has been rated E-10+ by the ESRB. 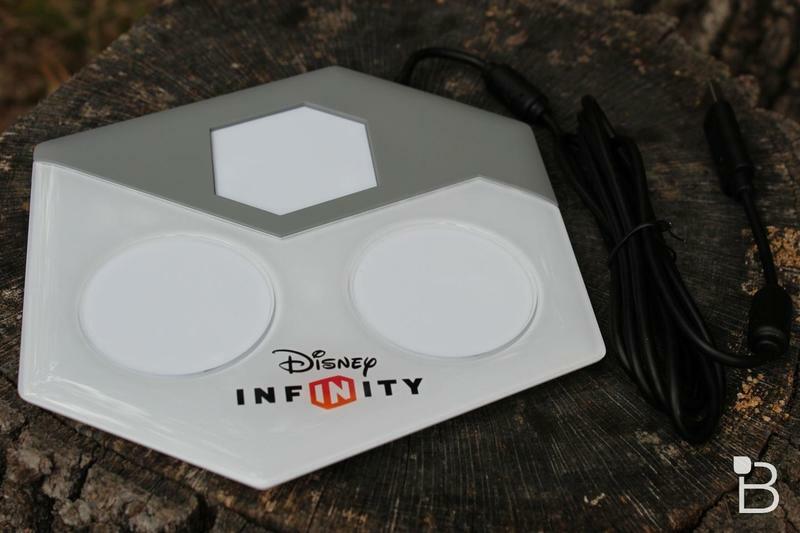 For more information, visit Disney.com/Infinity.